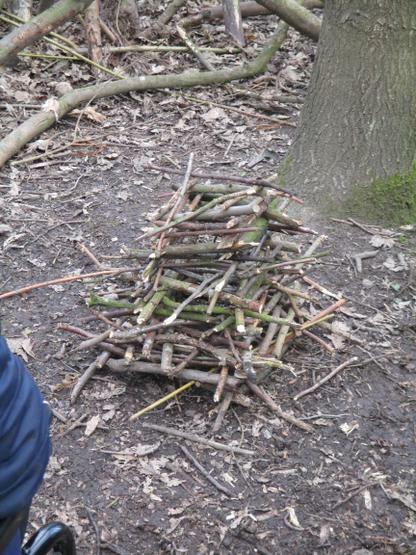 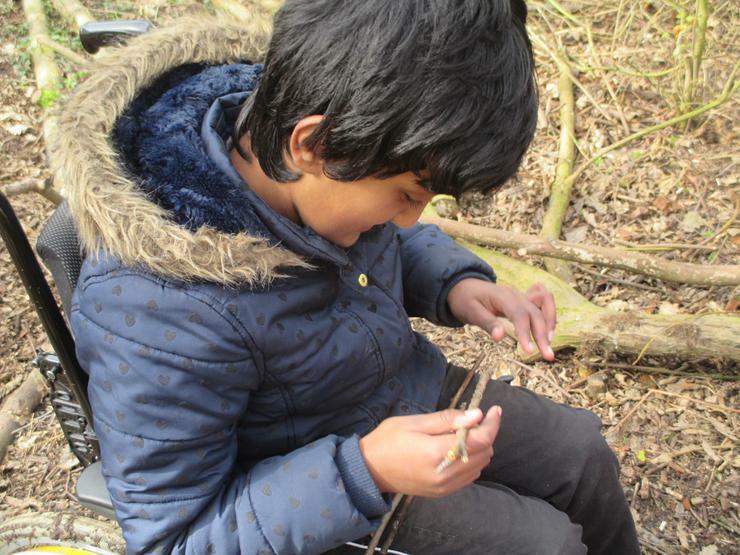 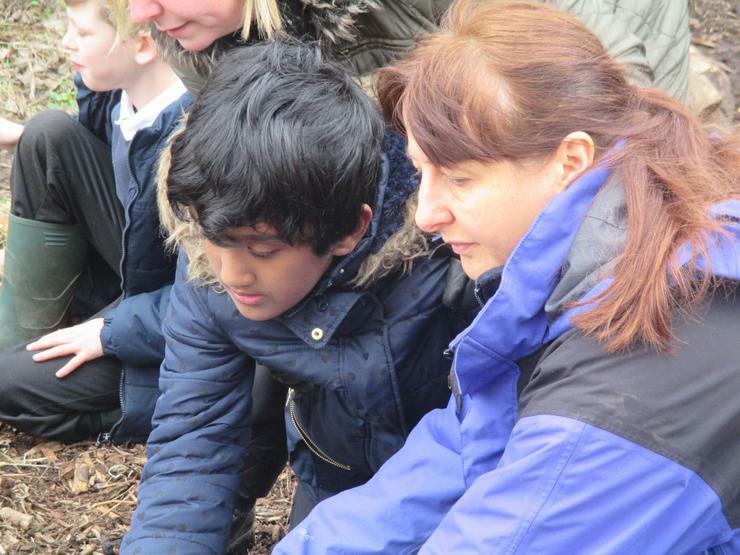 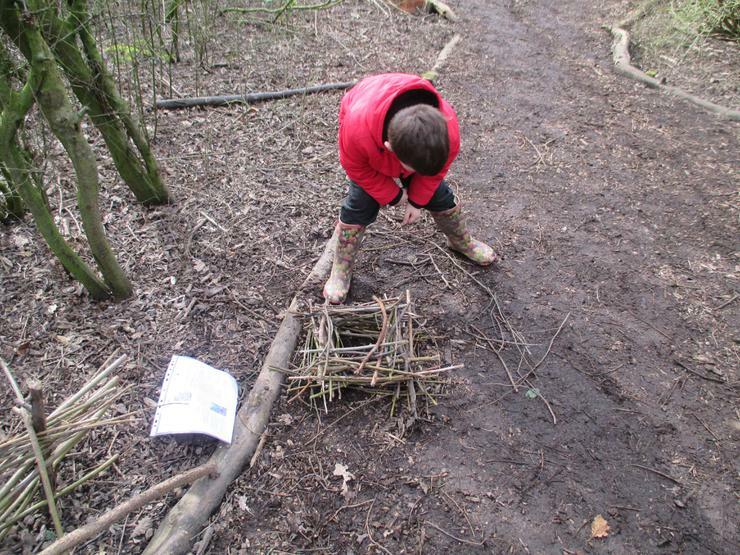 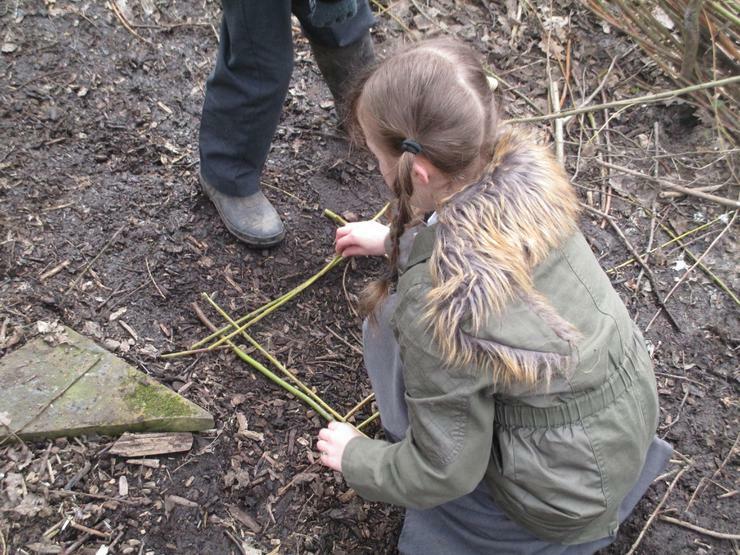 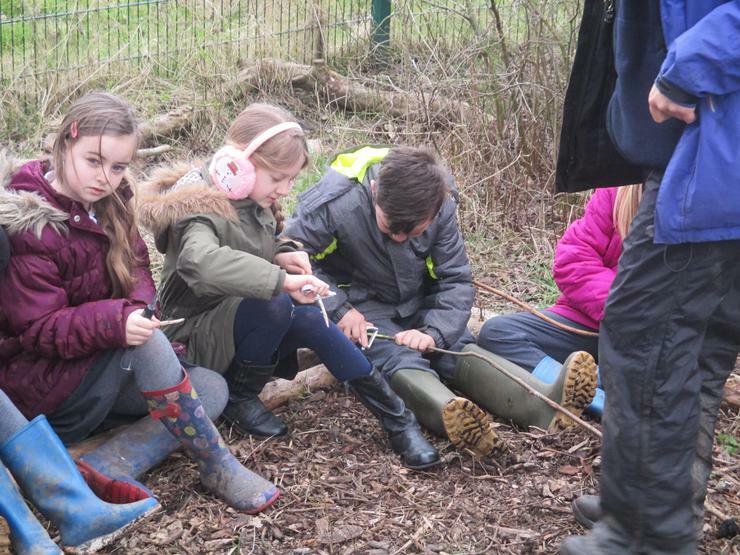 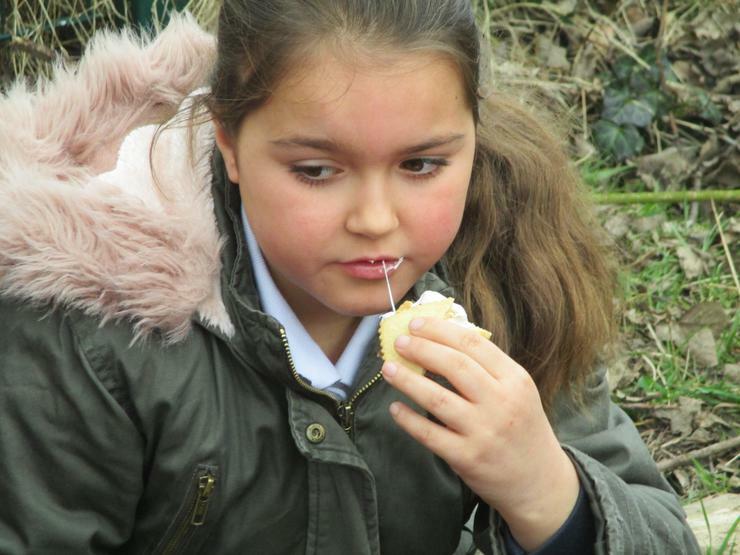 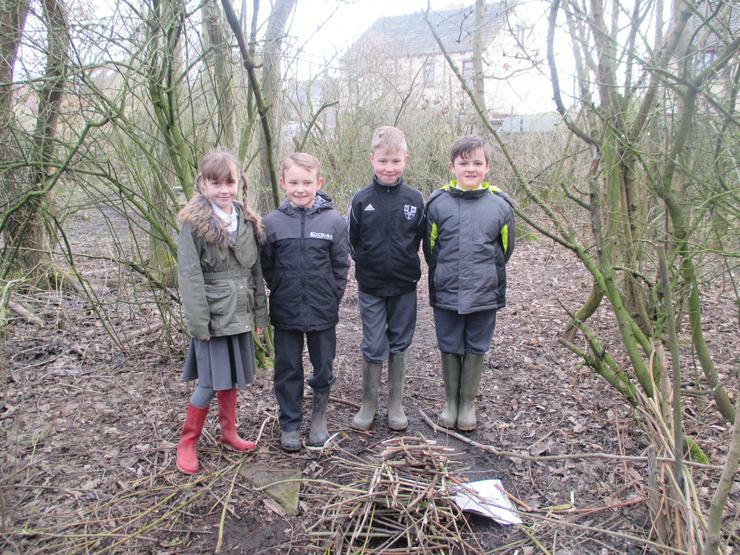 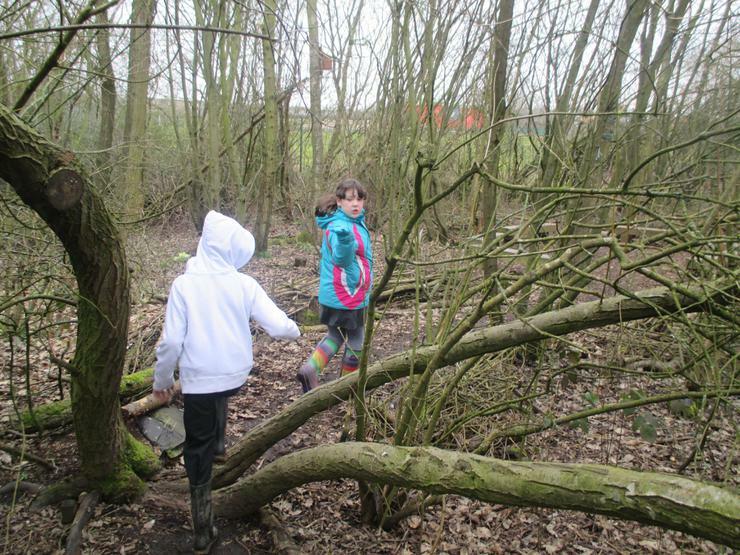 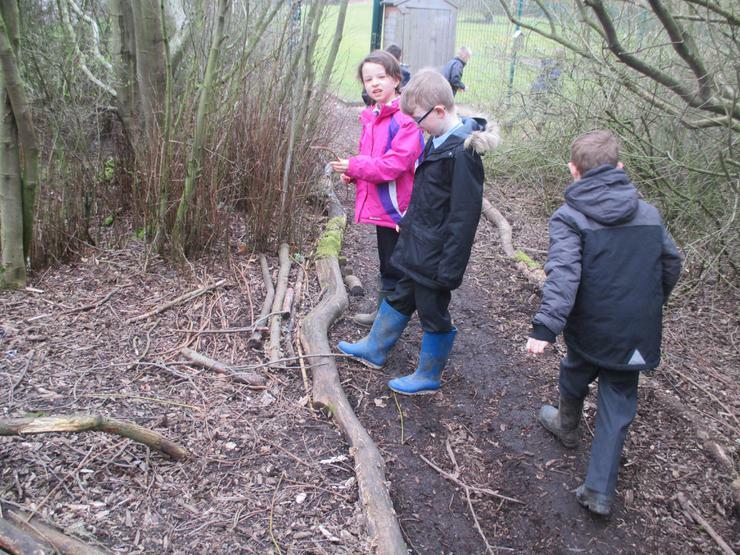 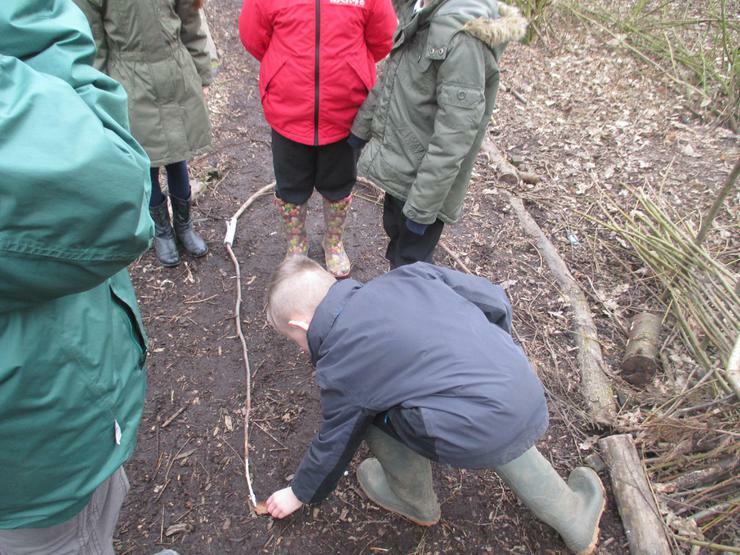 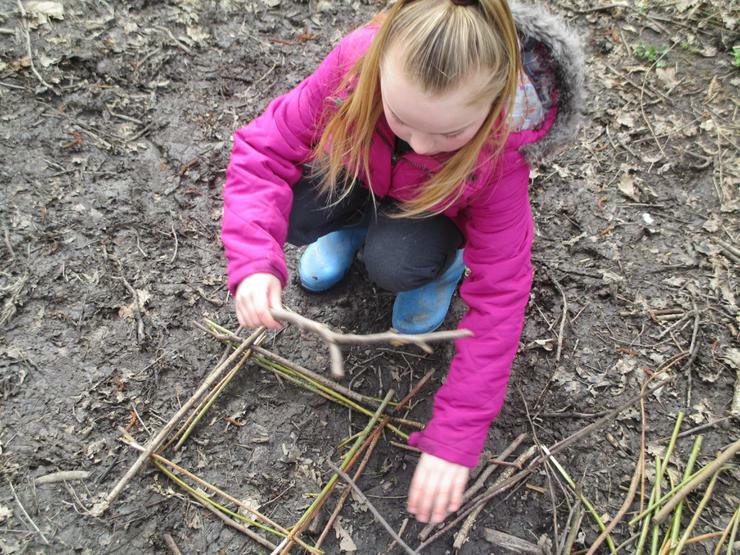 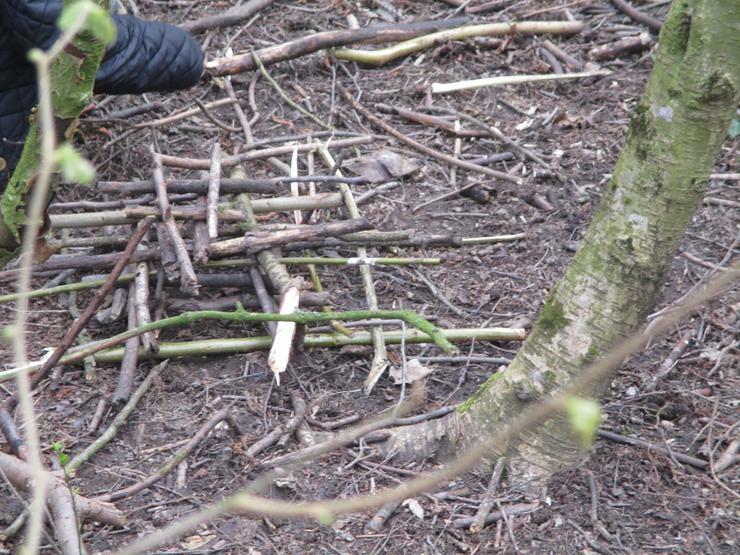 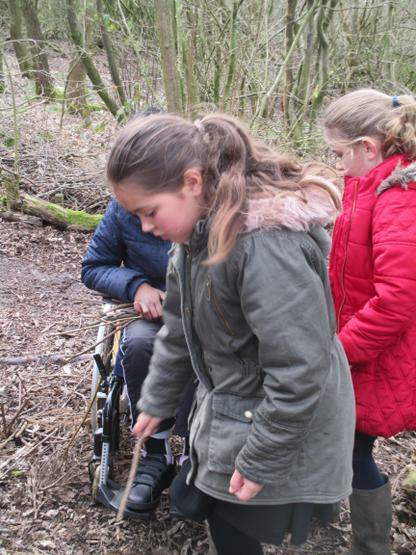 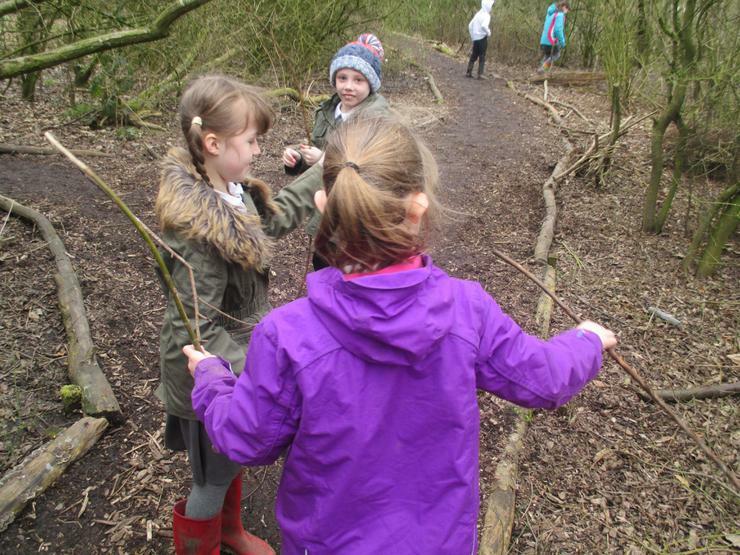 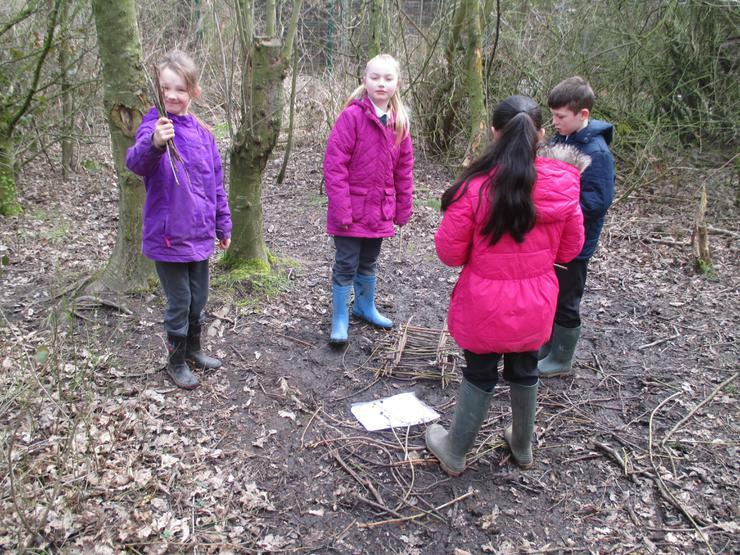 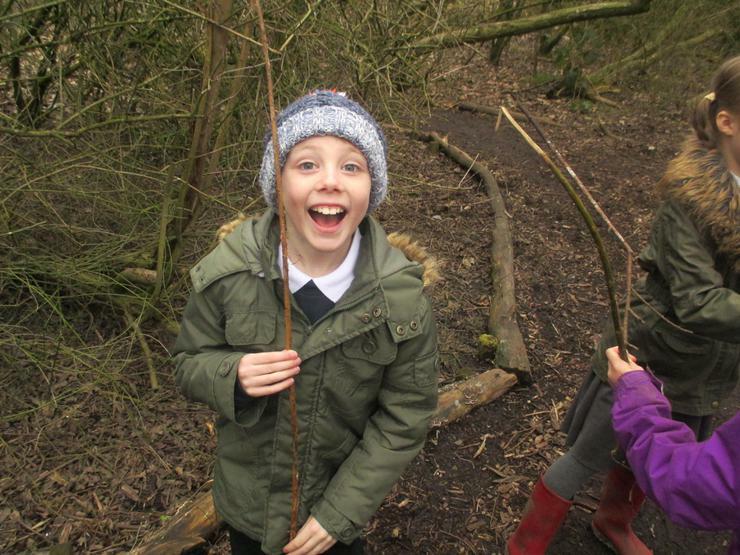 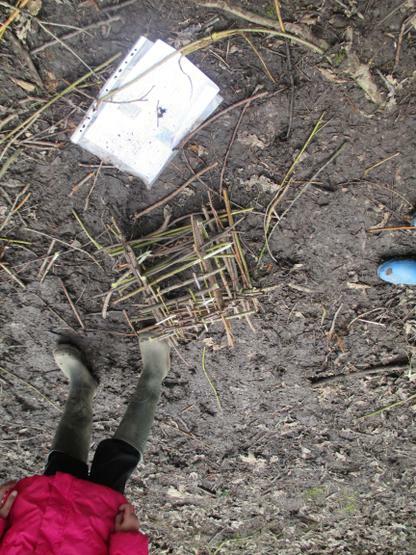 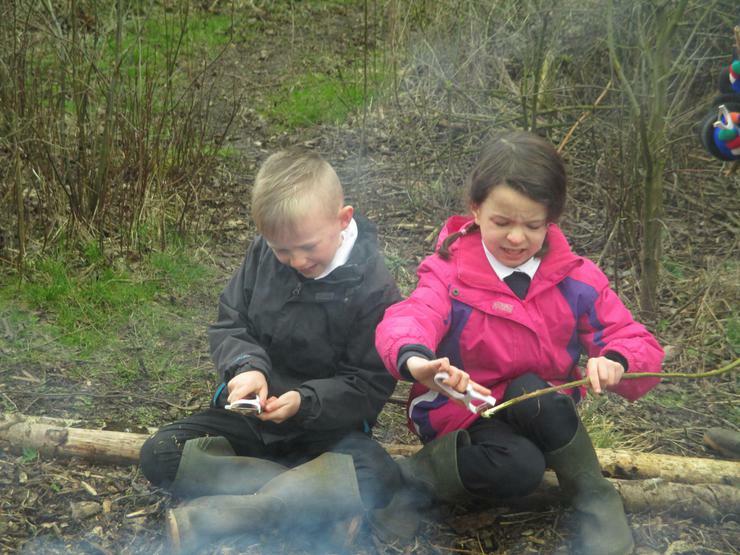 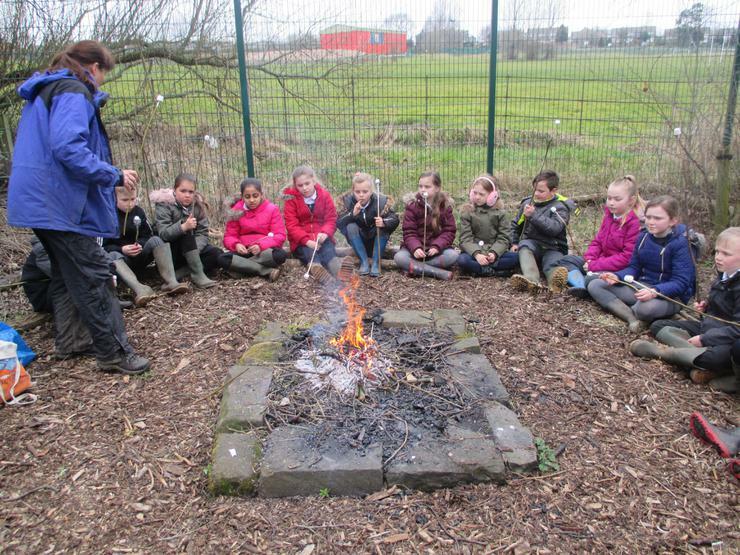 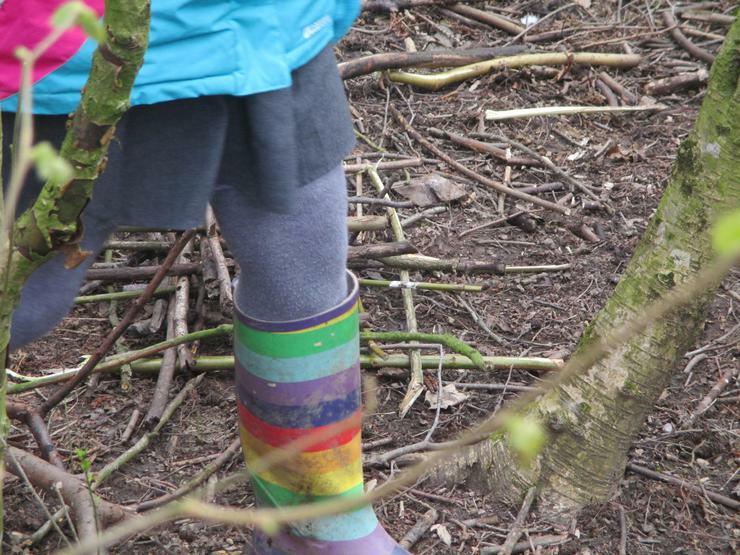 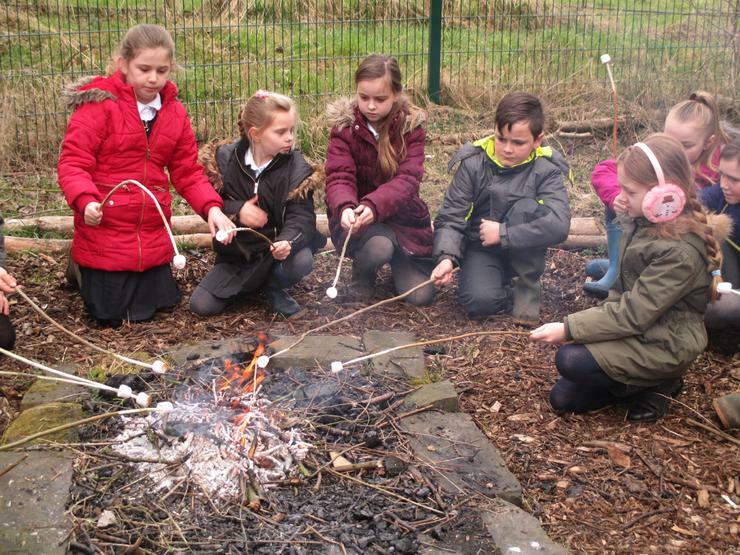 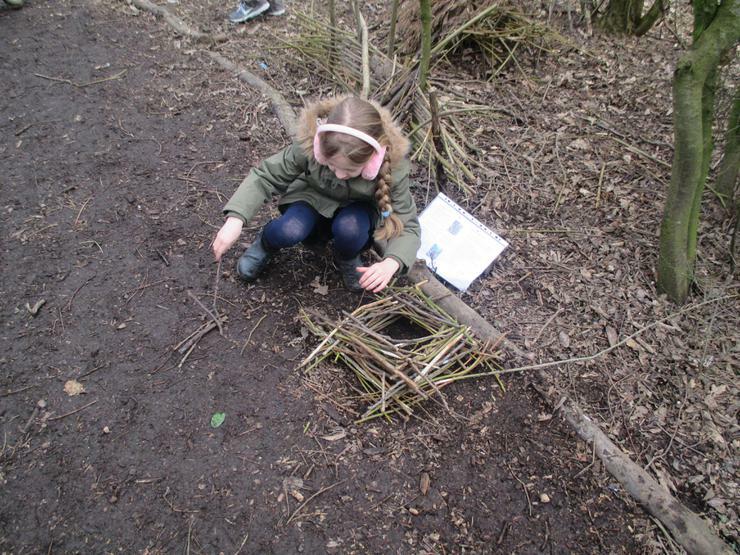 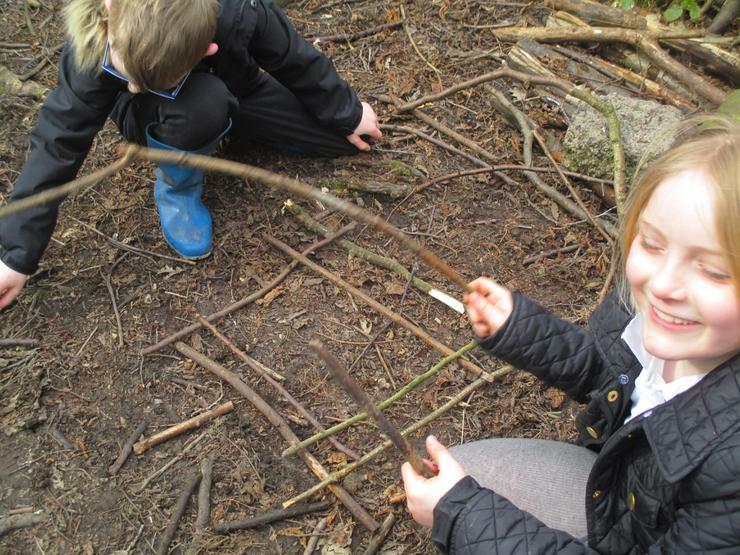 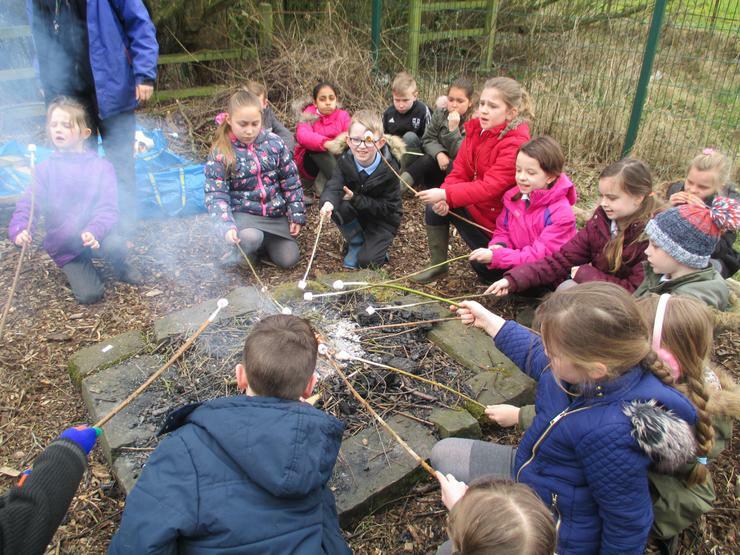 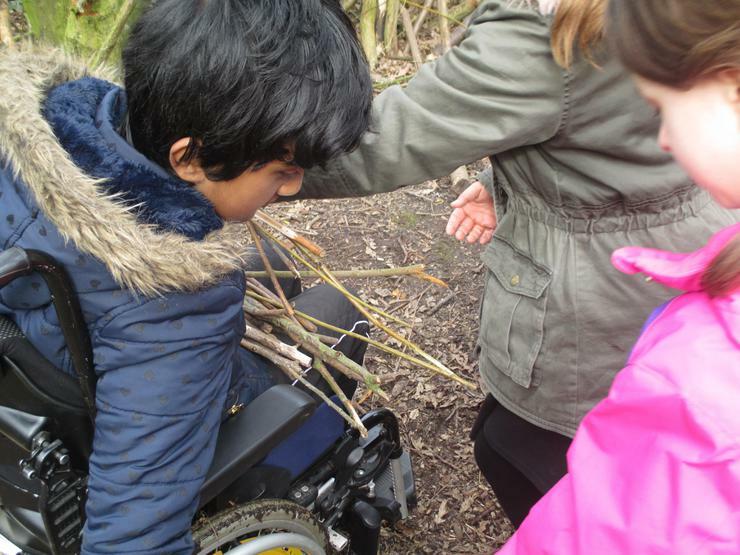 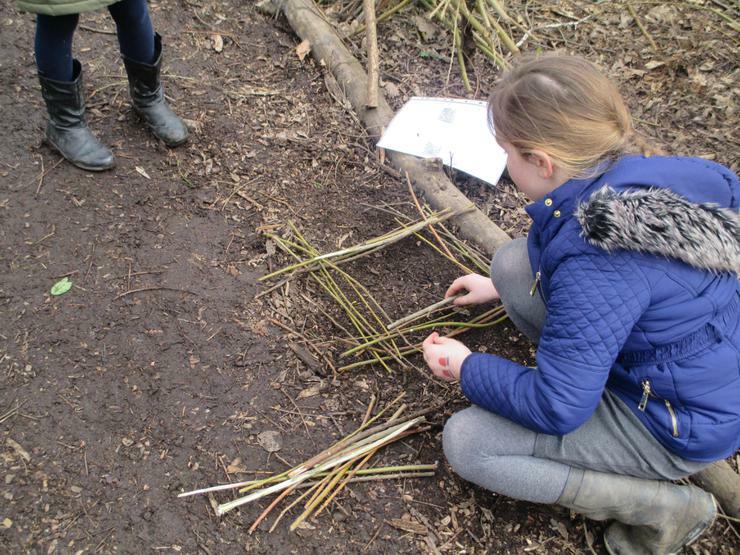 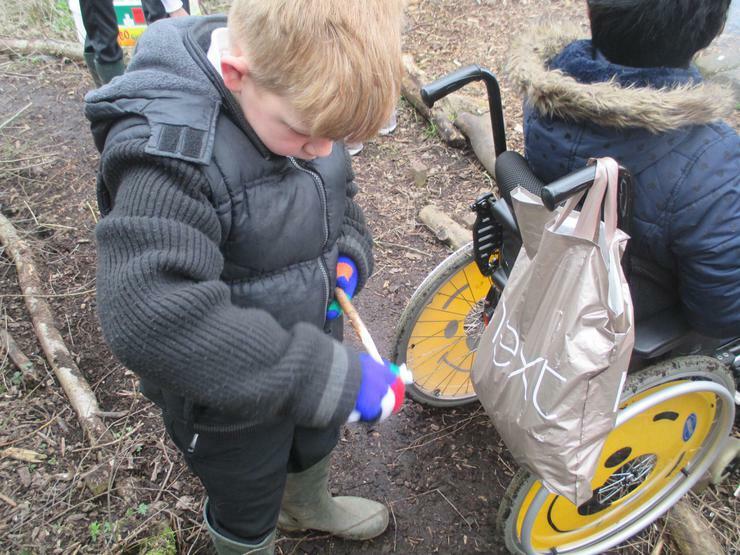 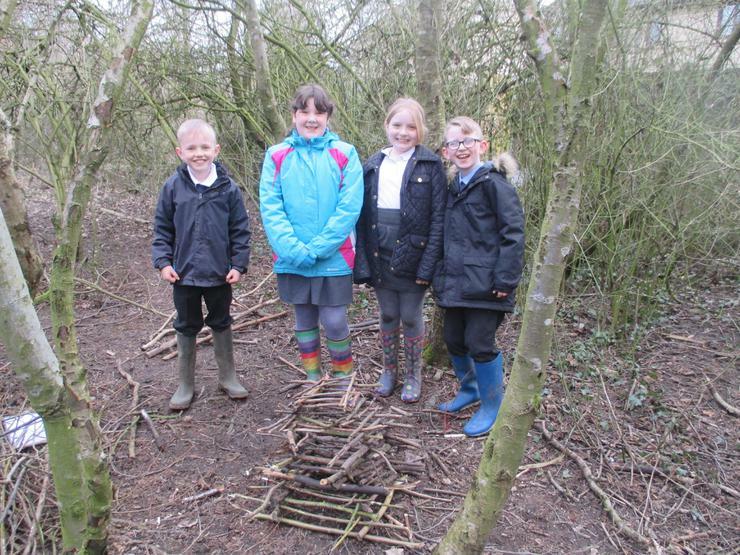 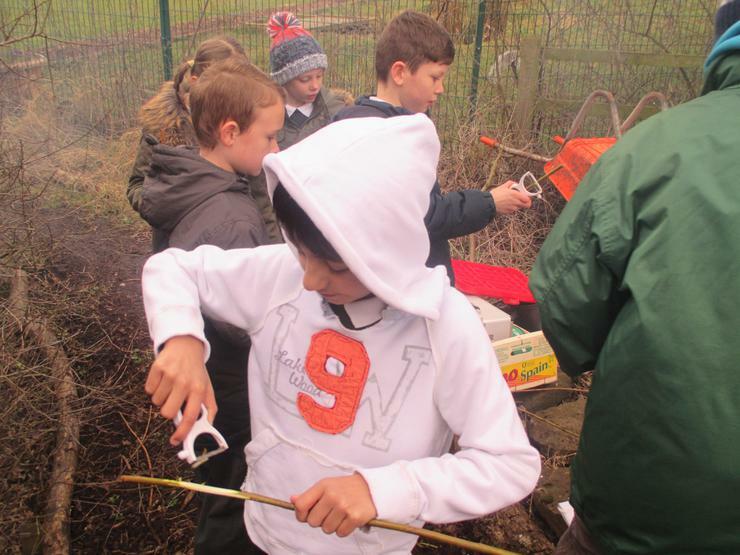 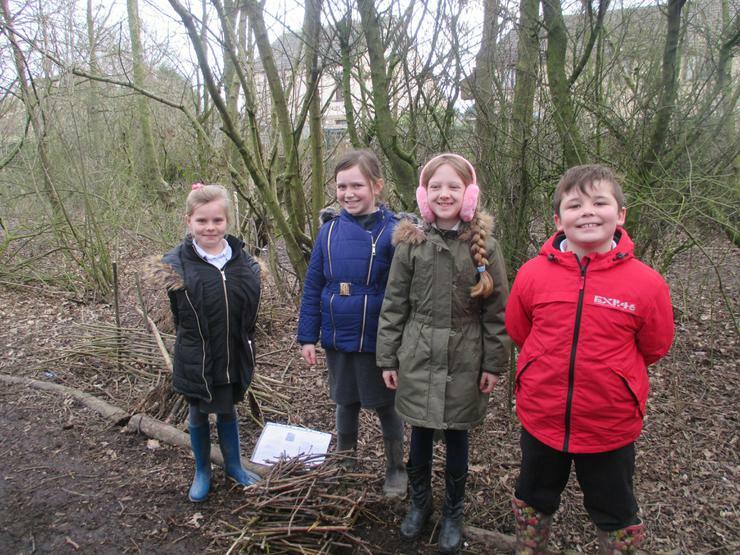 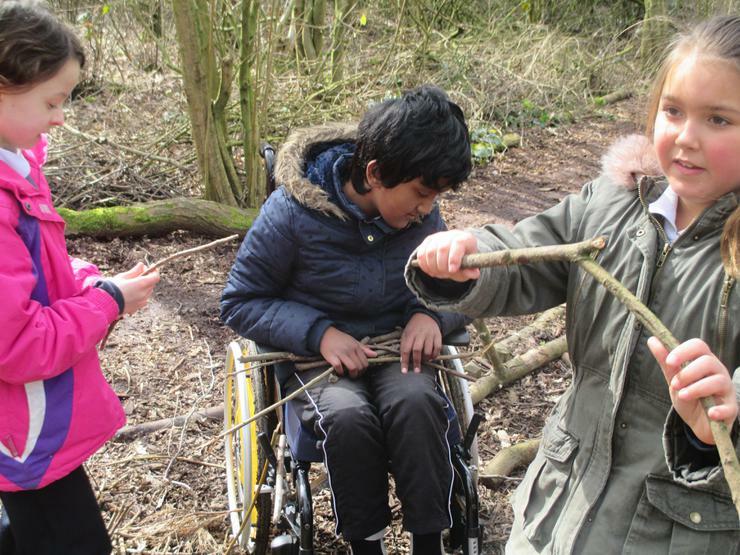 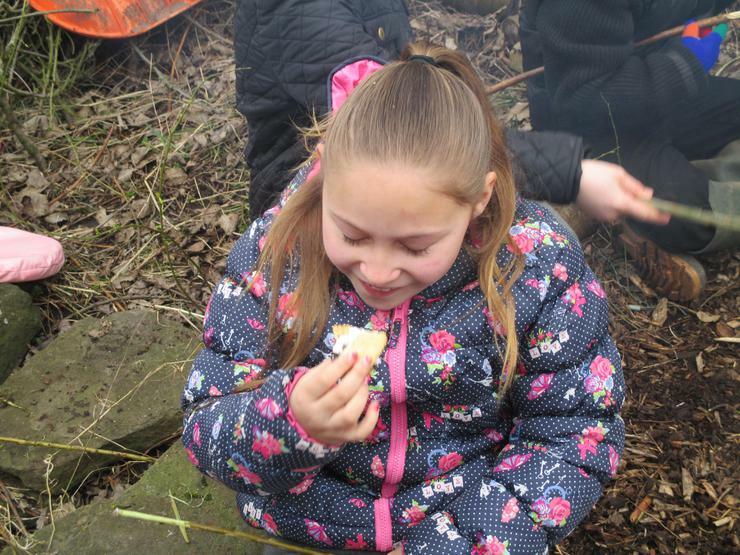 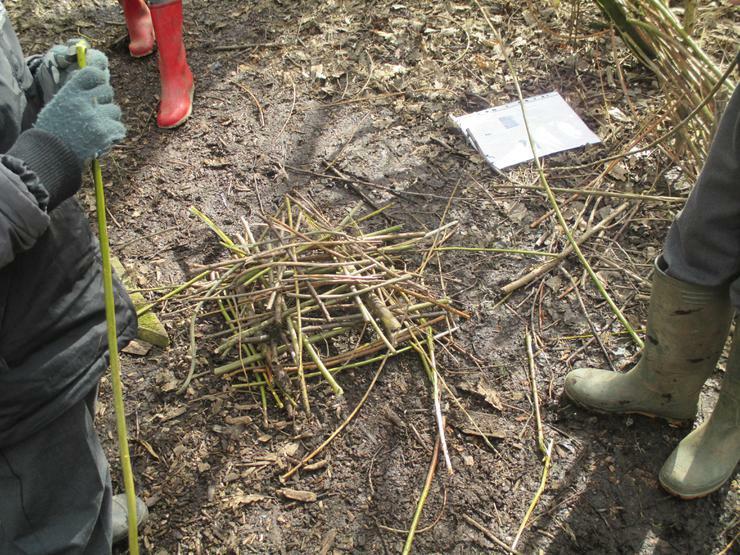 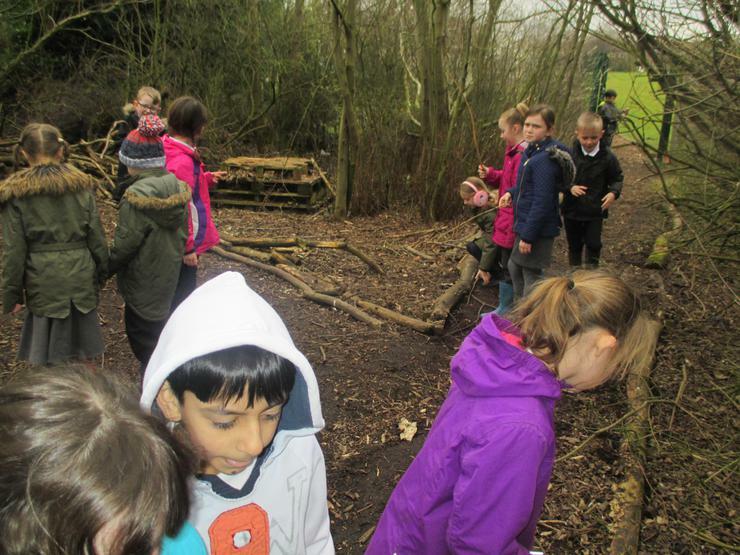 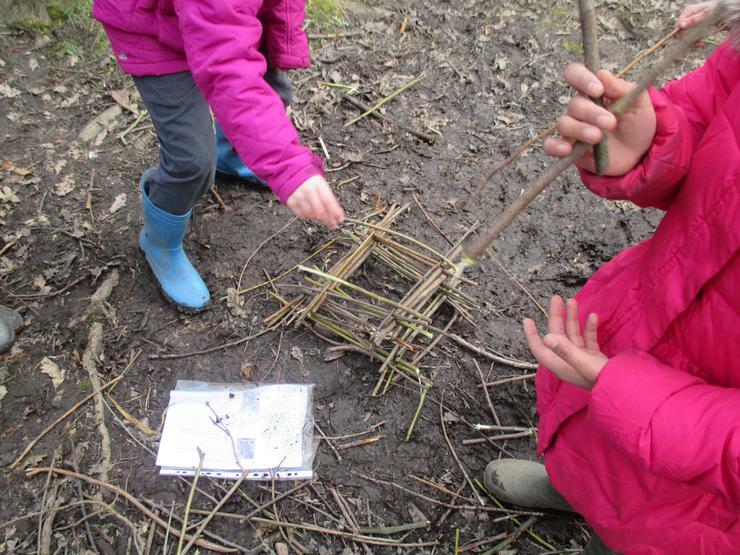 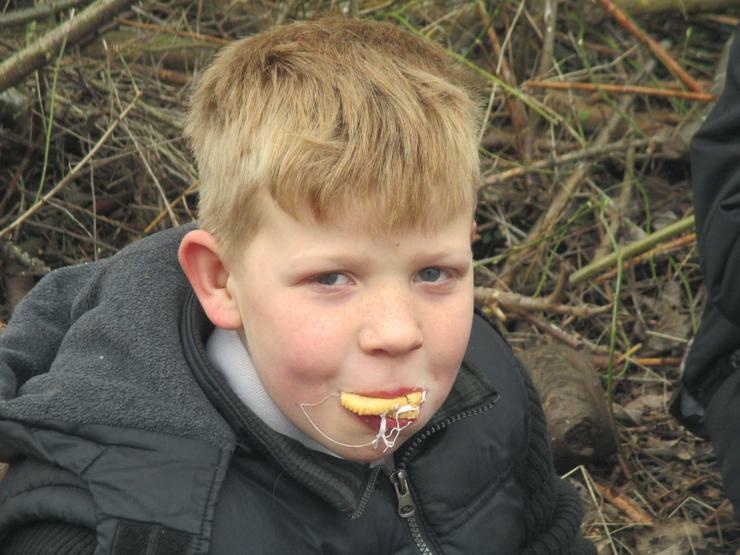 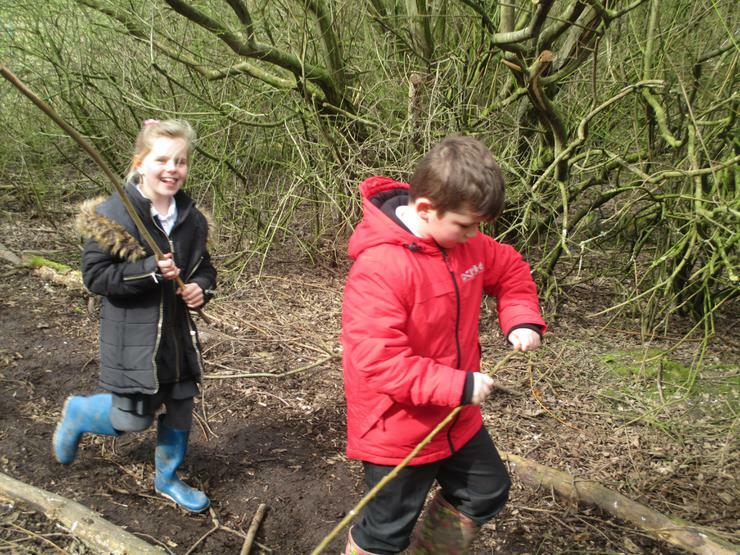 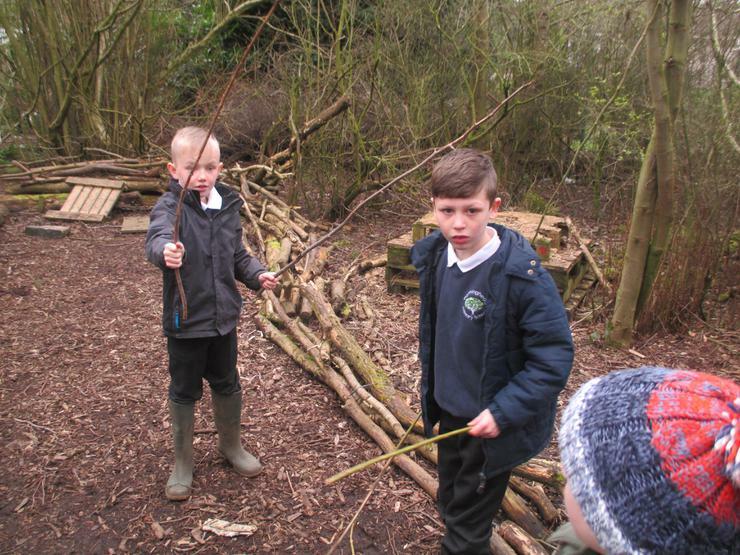 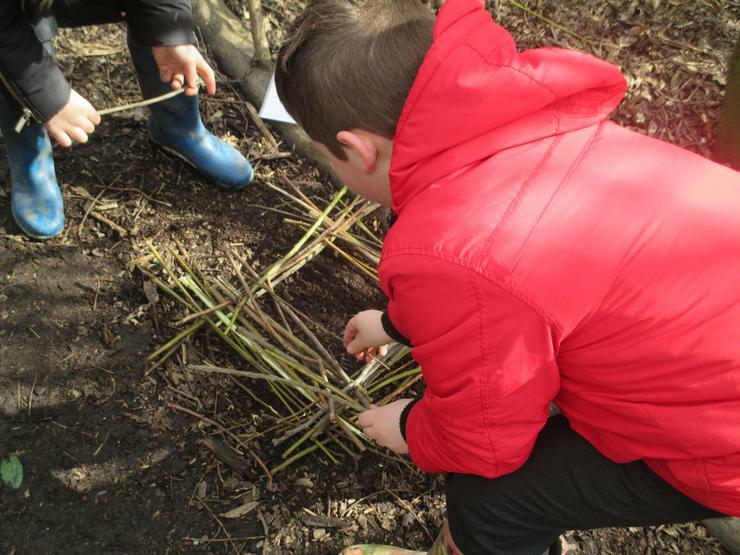 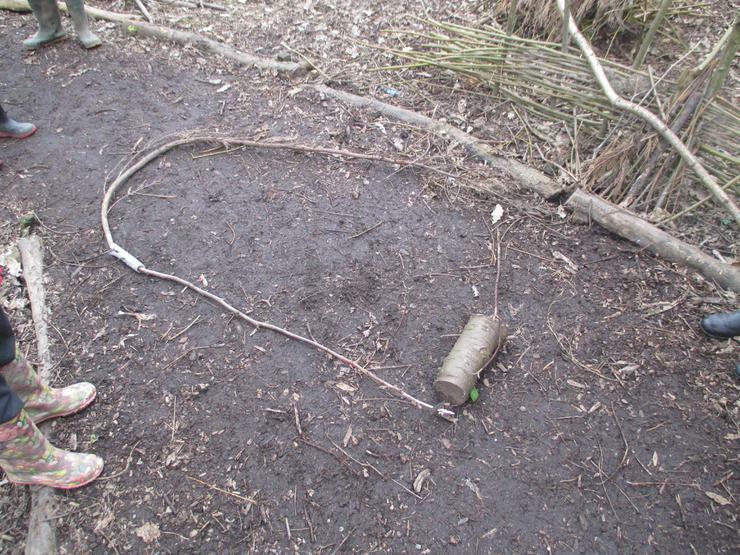 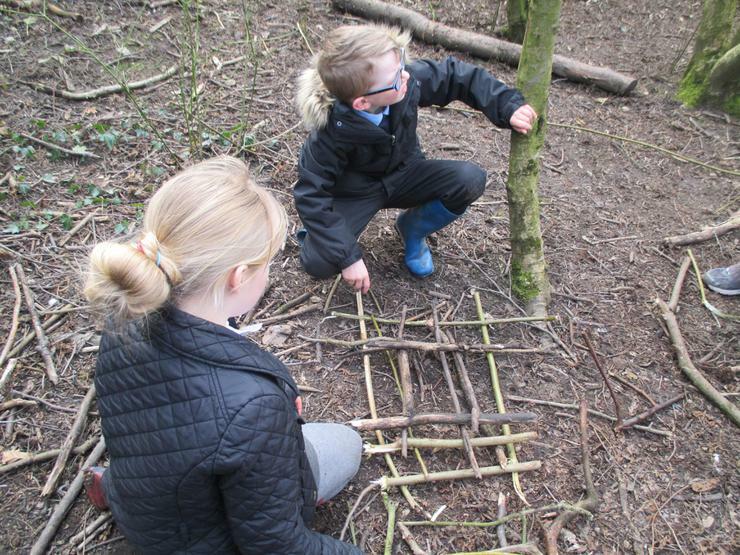 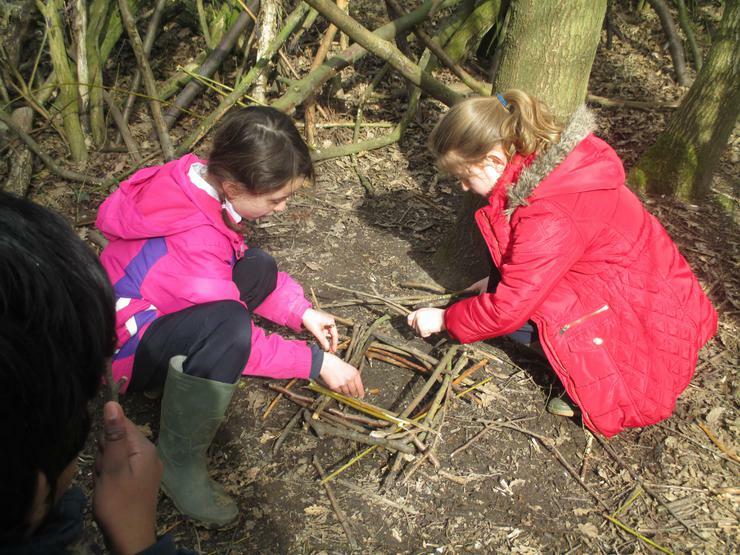 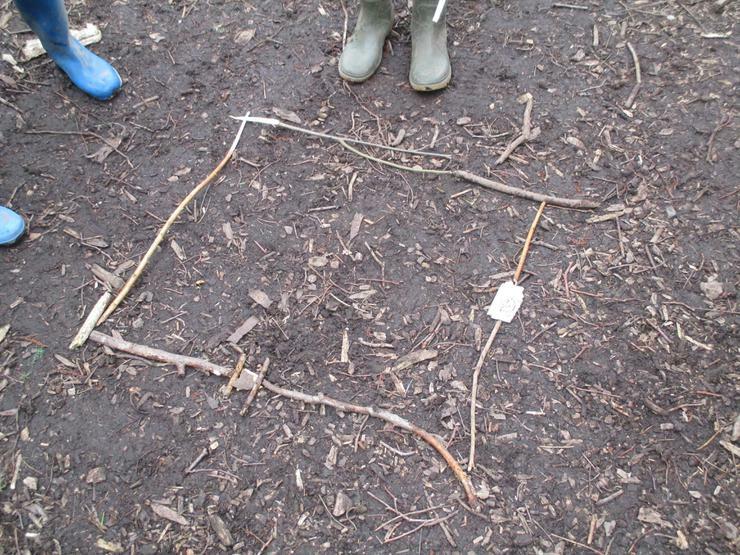 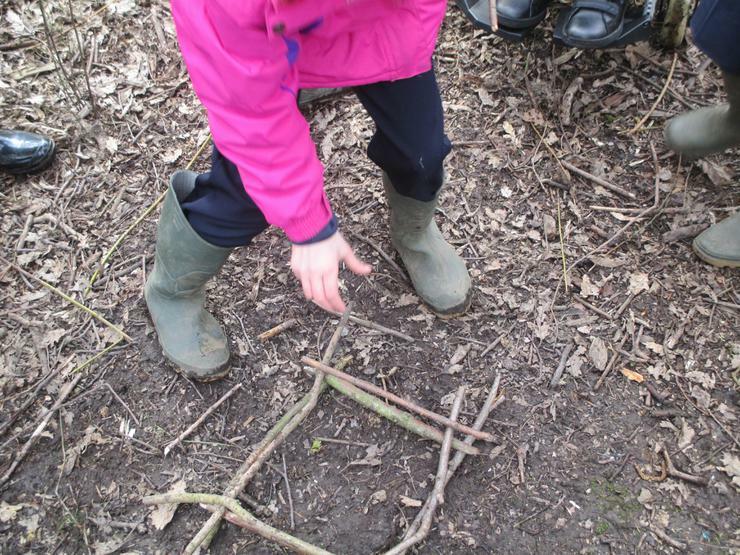 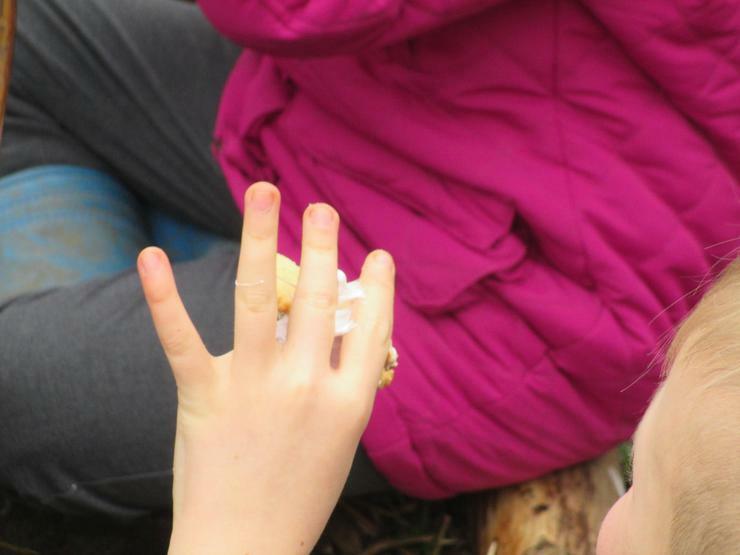 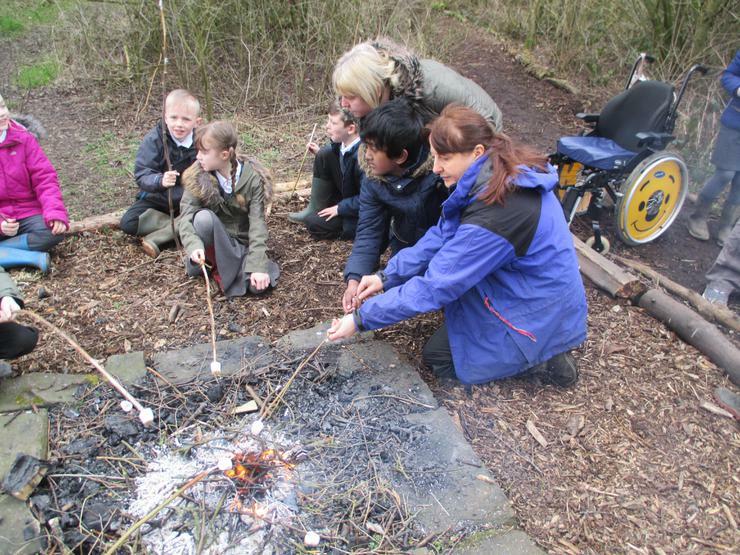 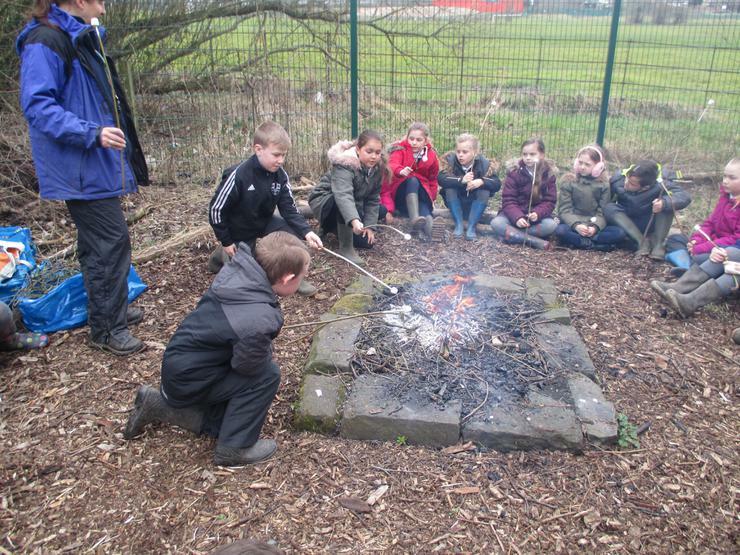 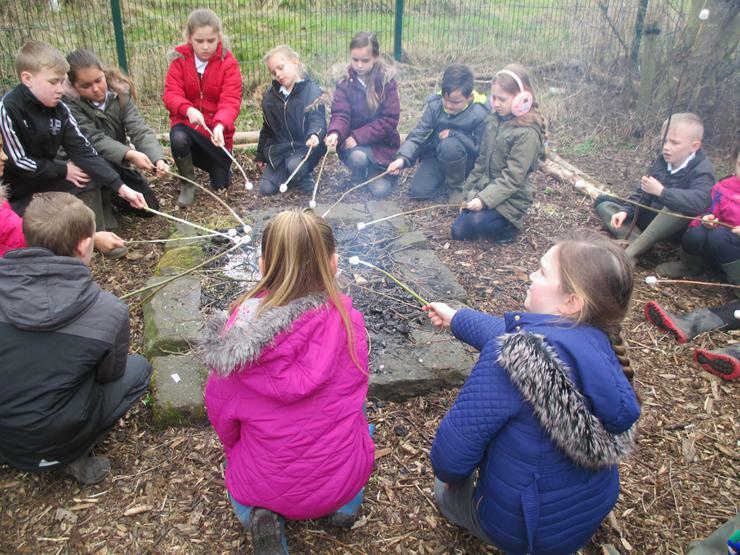 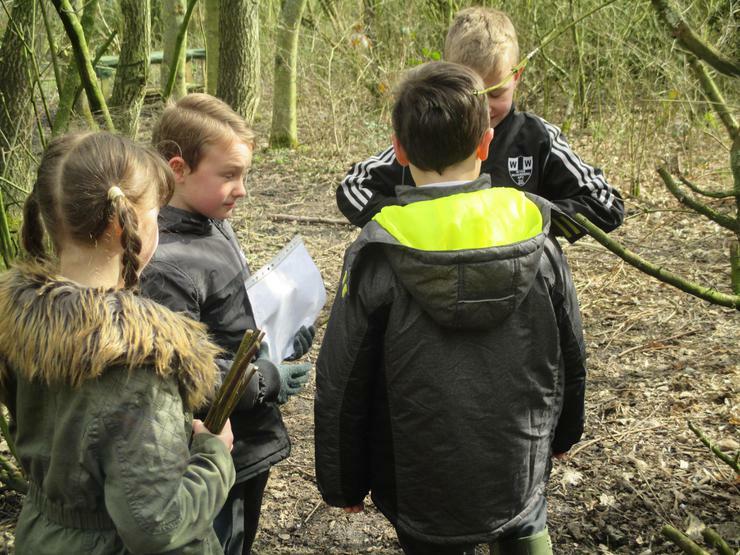 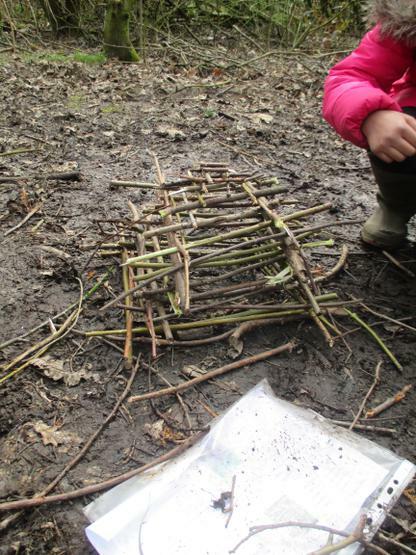 At the end of Spring 2 we had a fun morning in the woods including getting very sticky with marshmallows making smores round the fire and building some impressive twig towers. 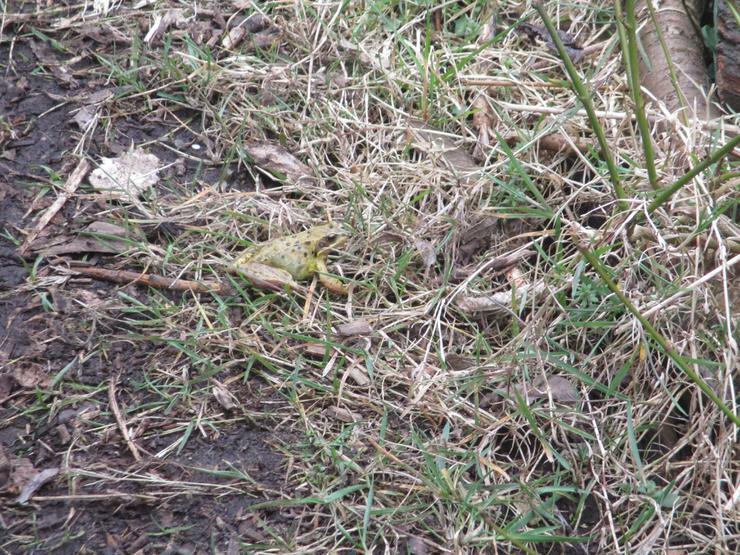 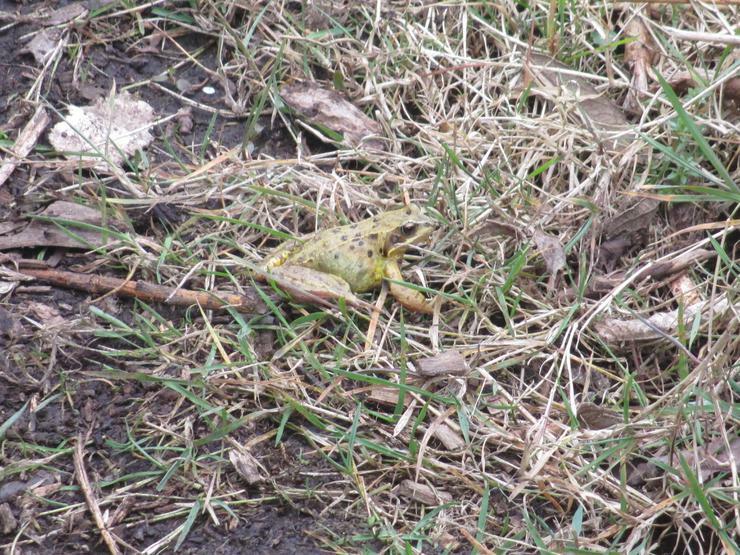 We even saw a frog! 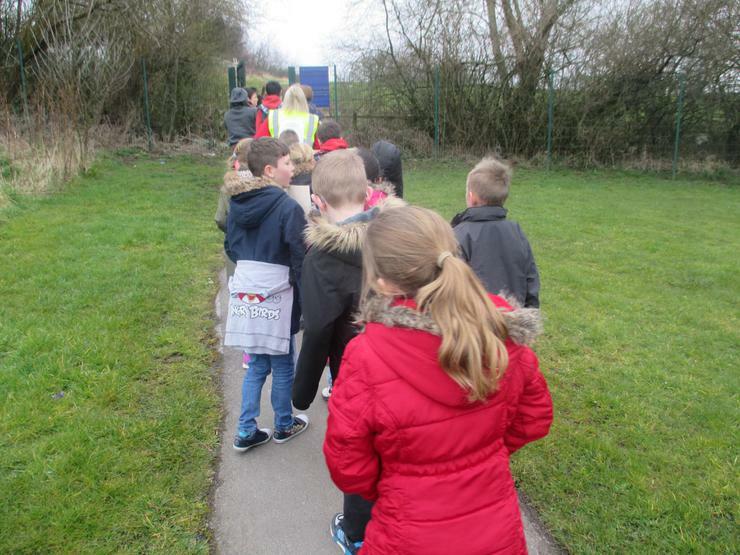 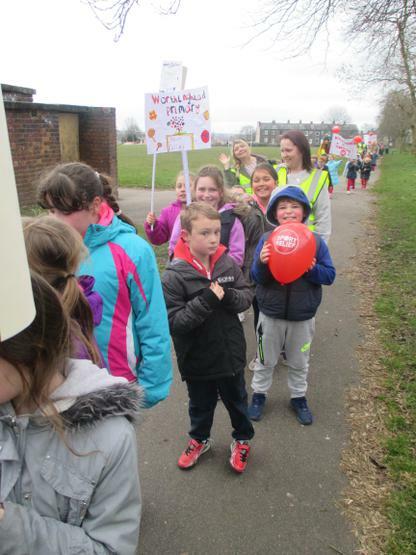 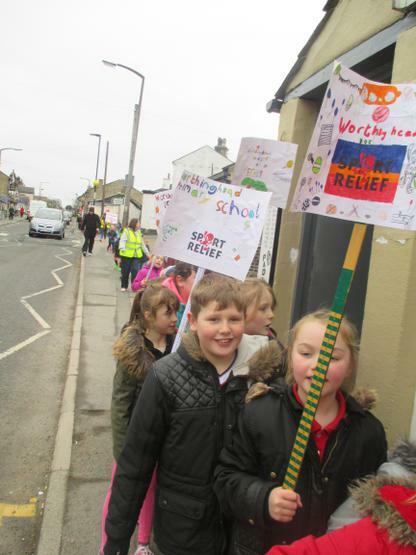 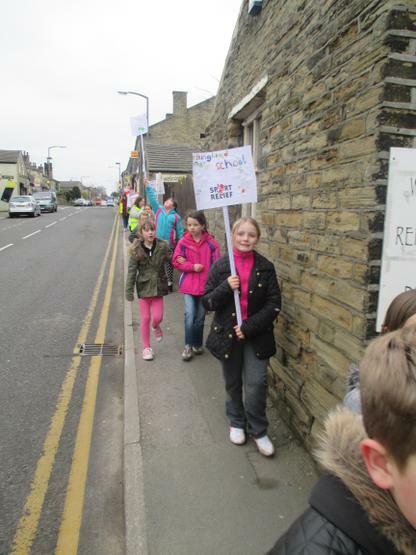 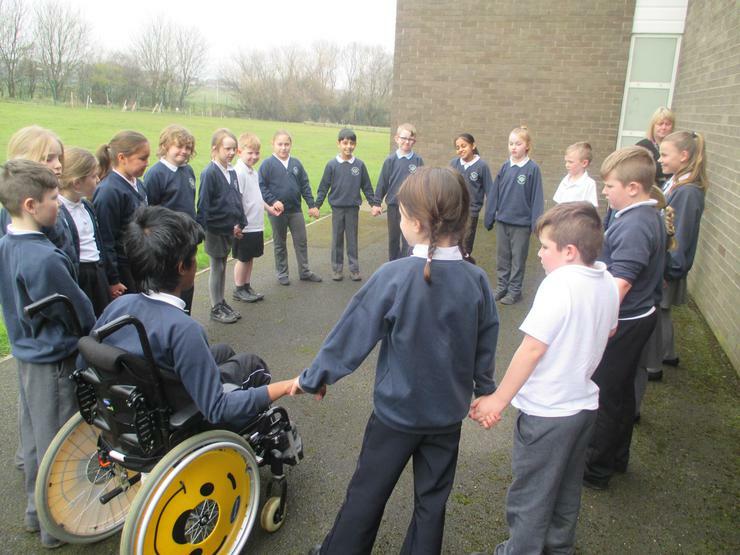 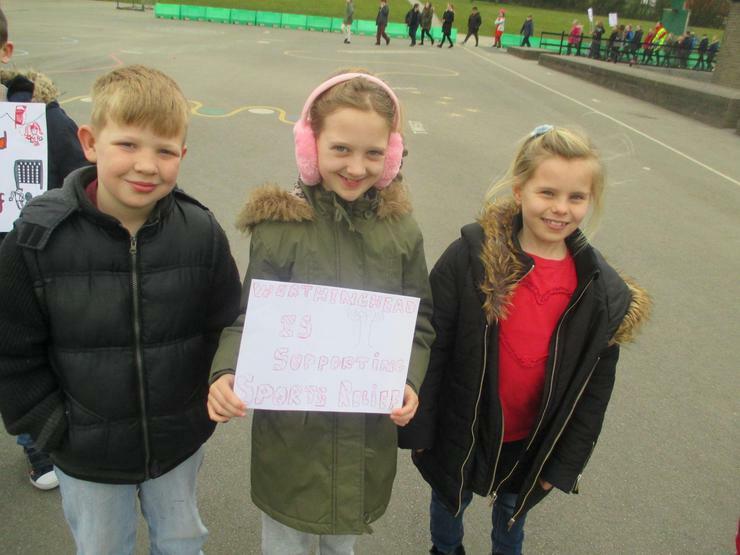 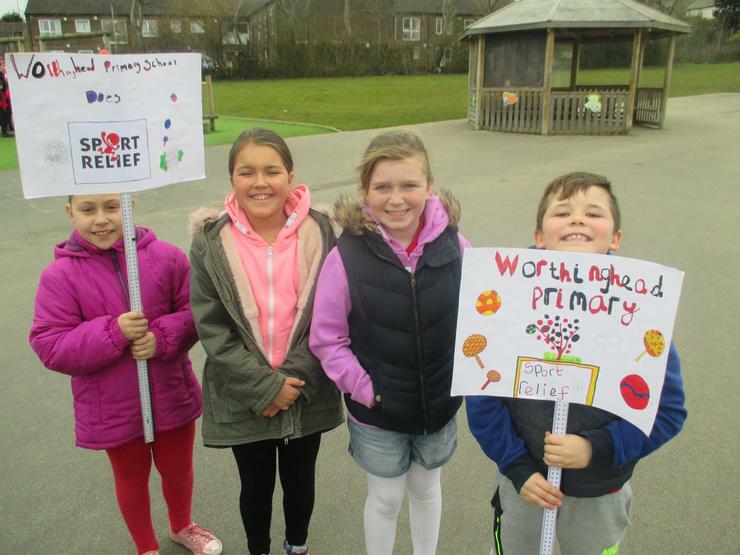 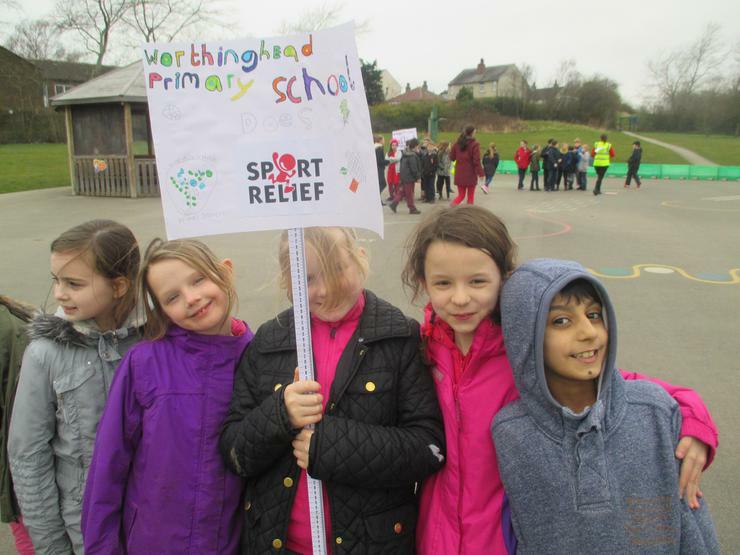 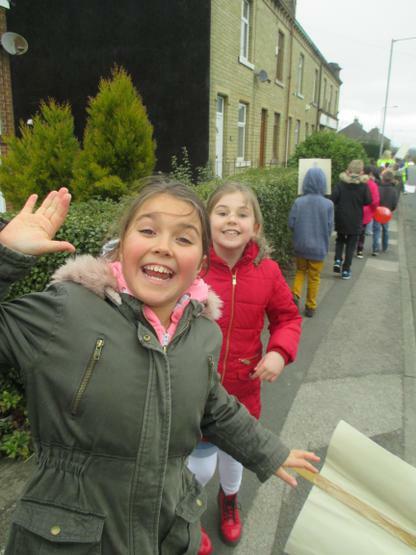 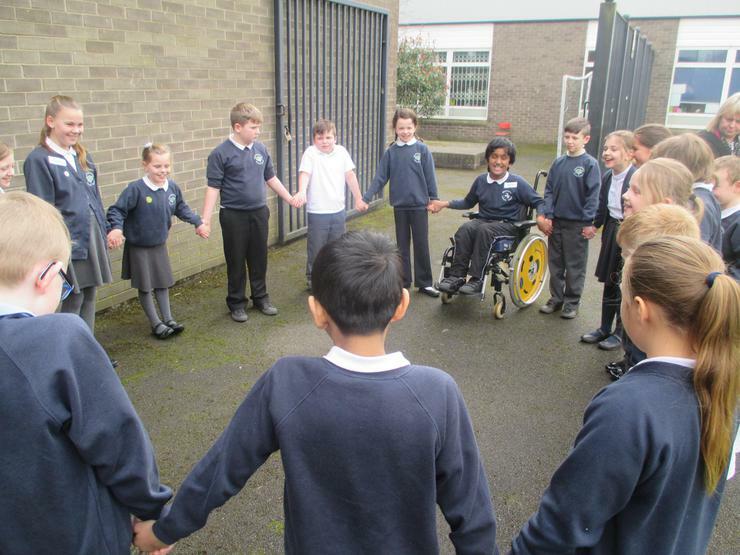 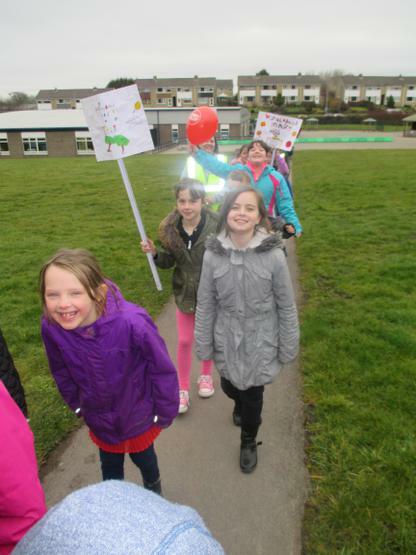 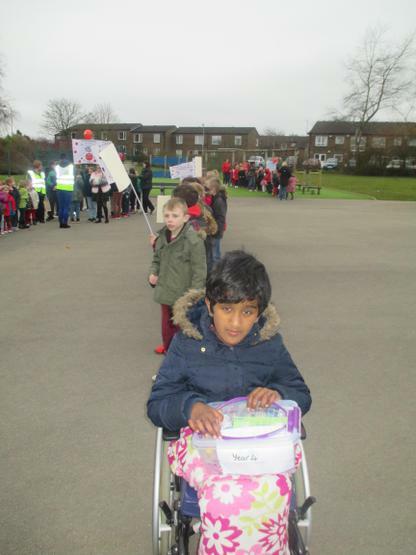 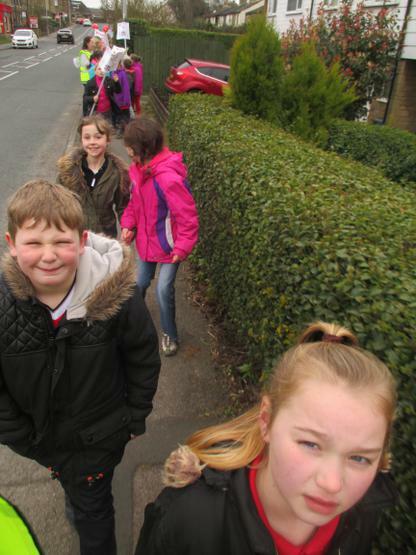 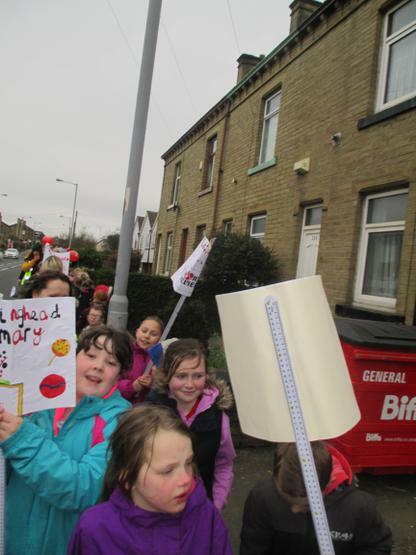 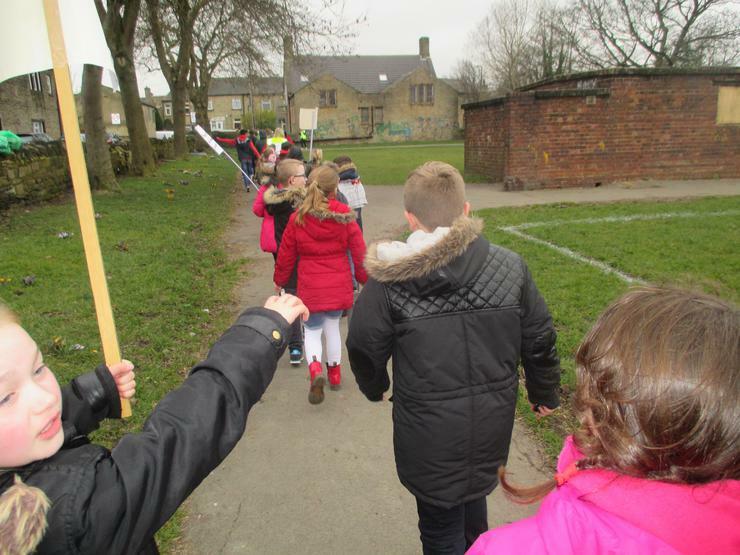 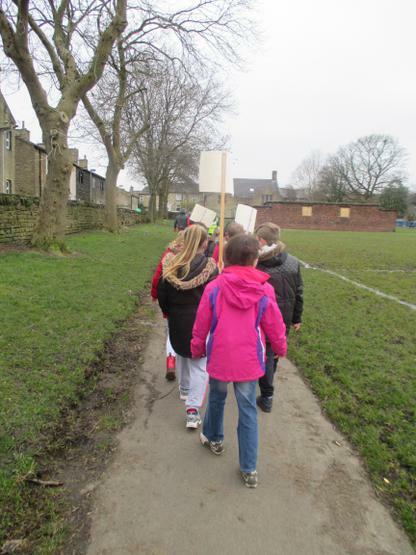 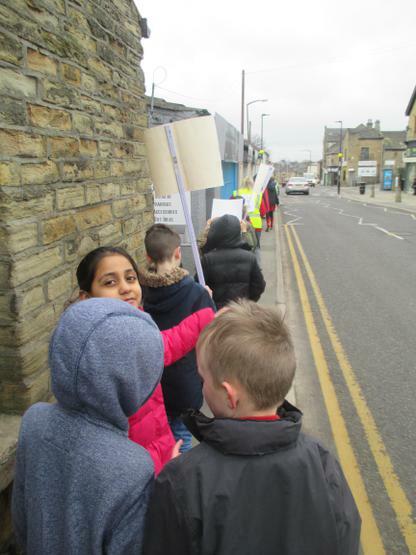 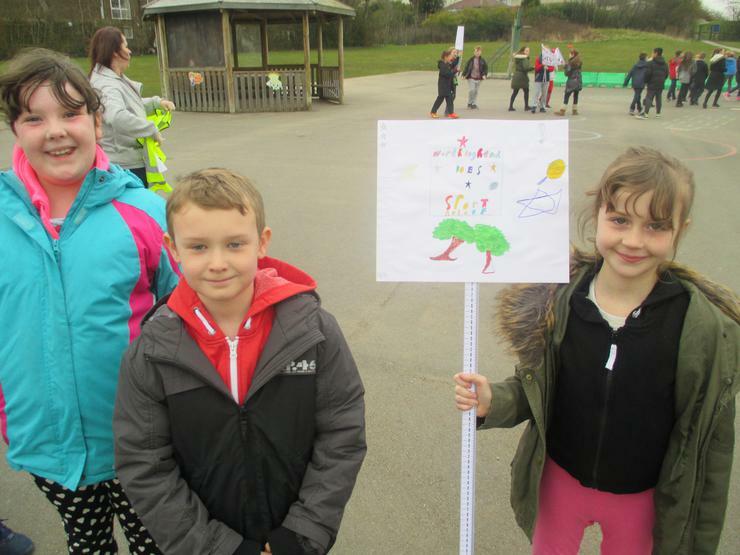 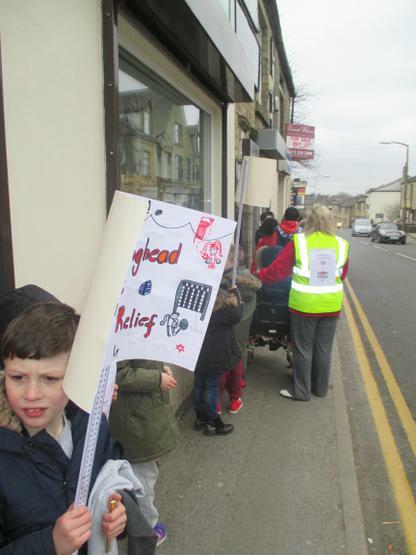 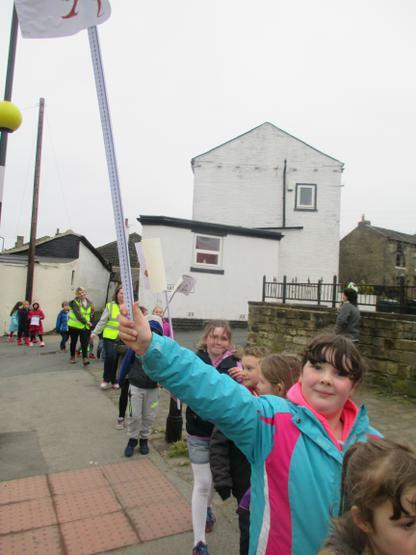 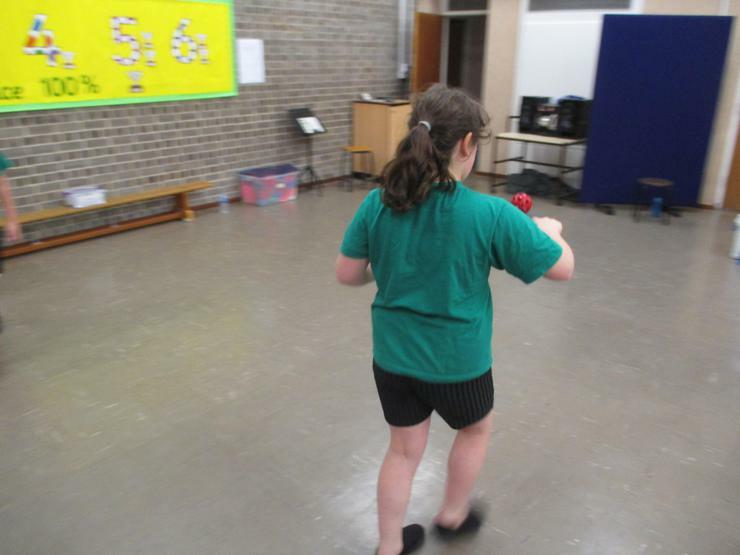 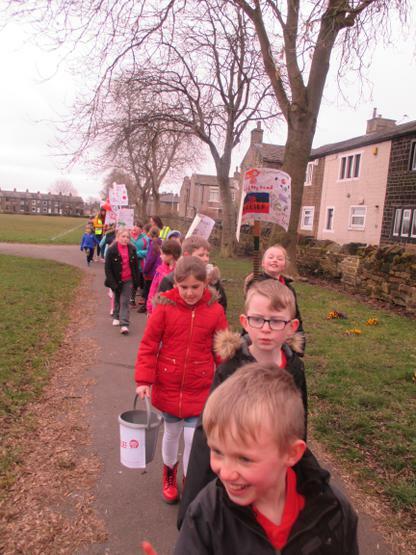 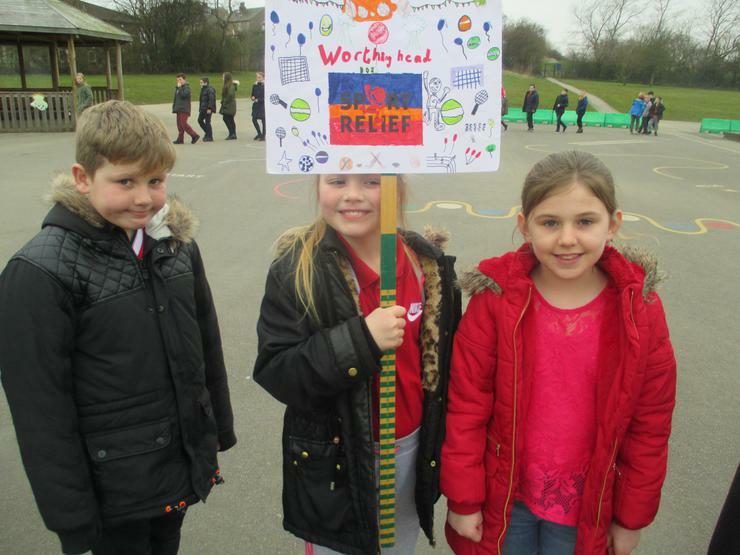 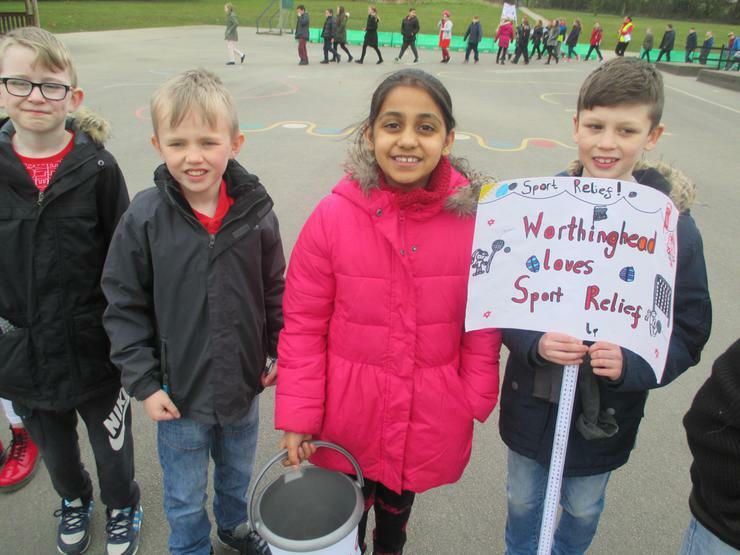 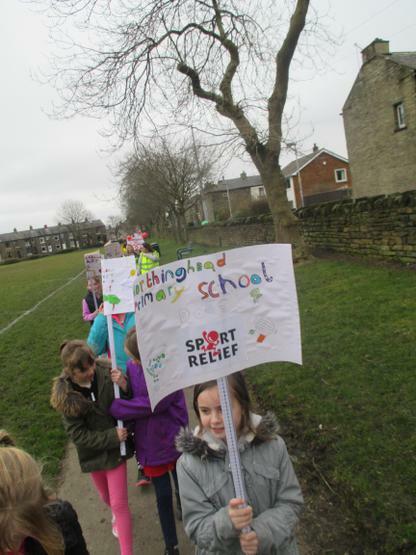 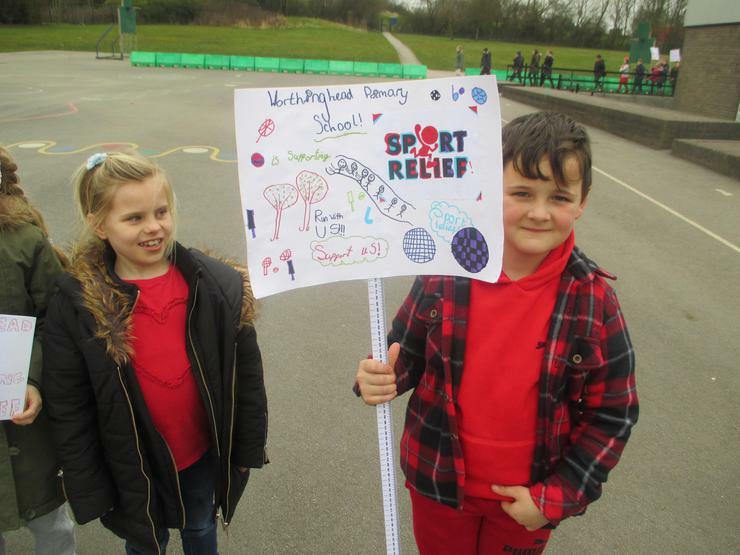 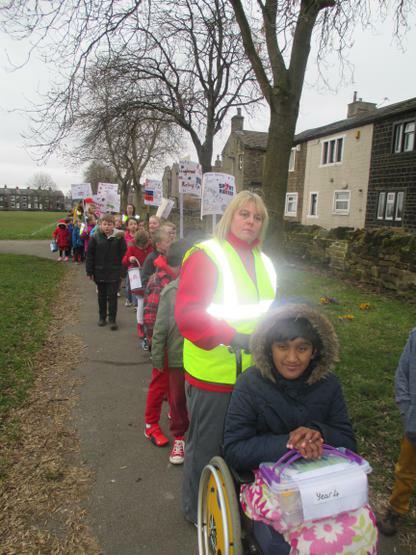 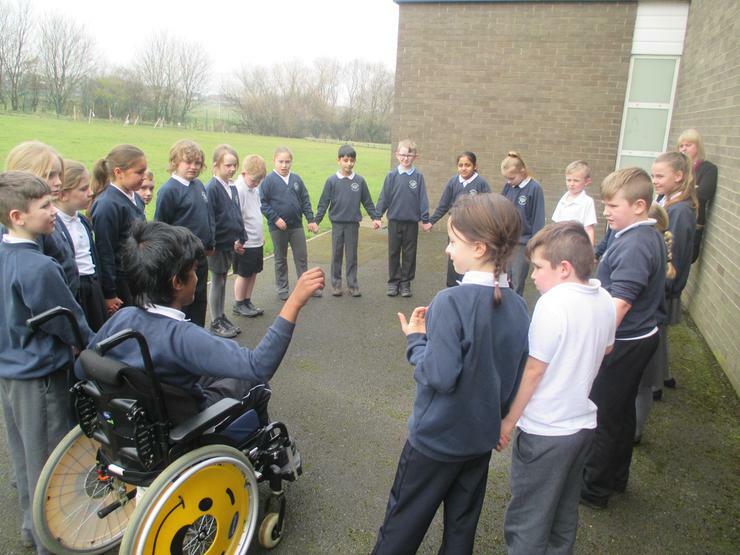 We all dressed in red and did a mile walk through Wyke village to raise money for Sport Relief! 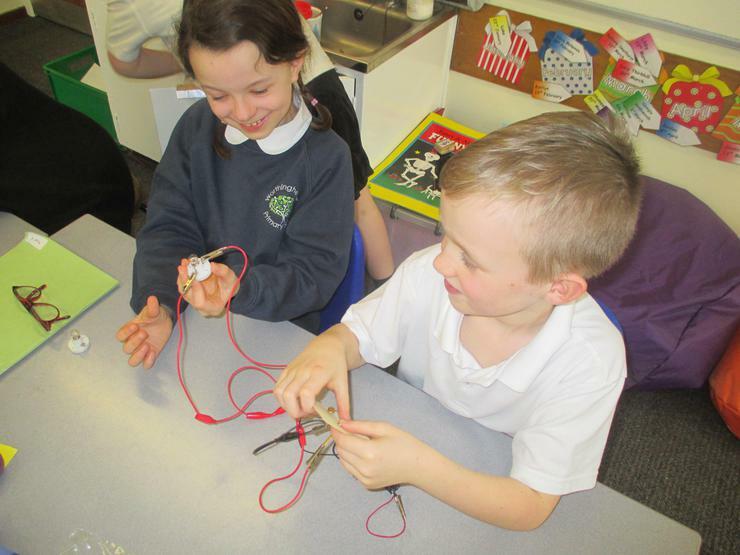 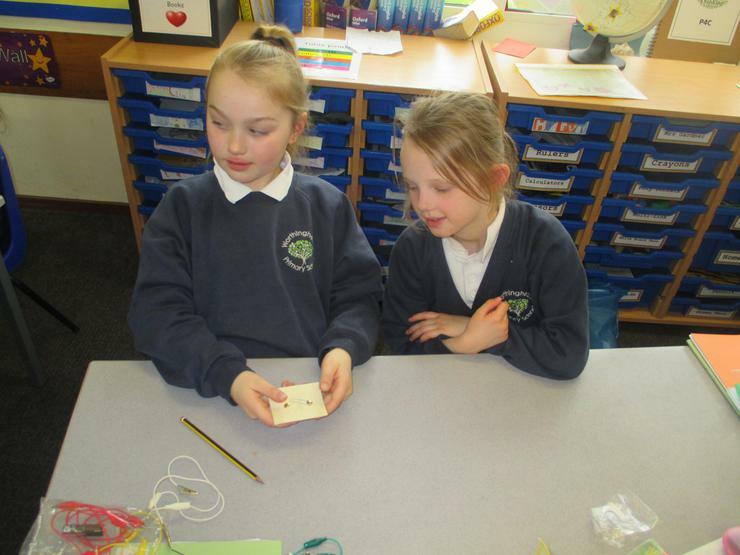 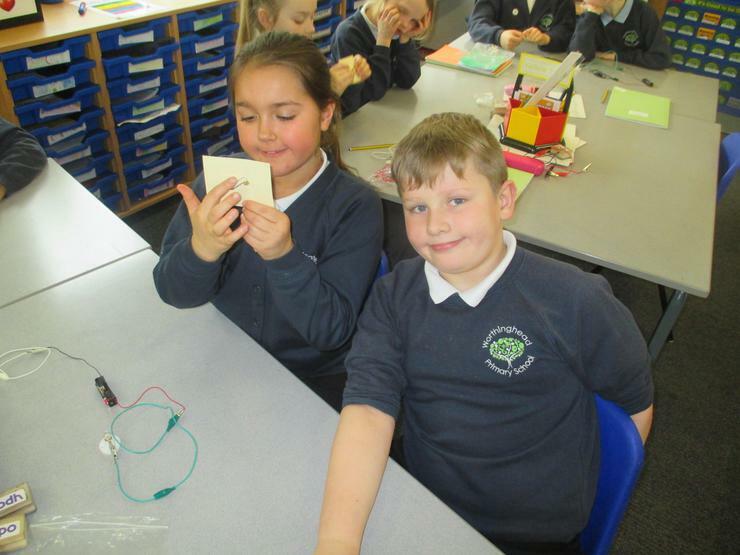 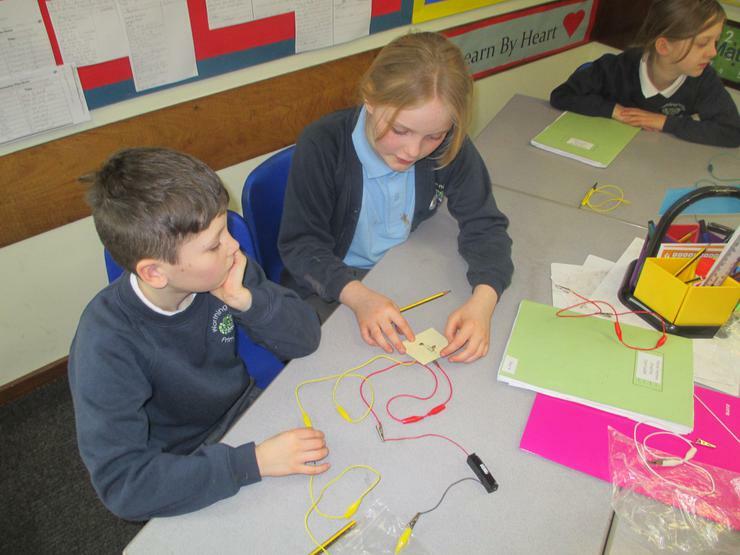 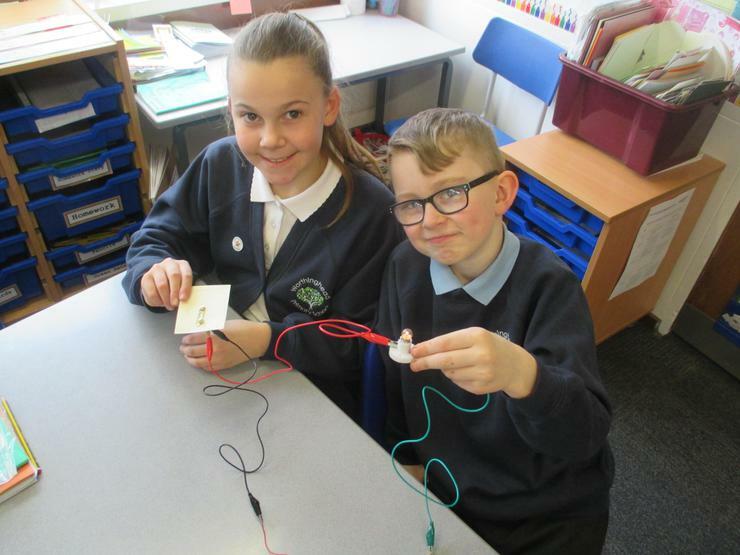 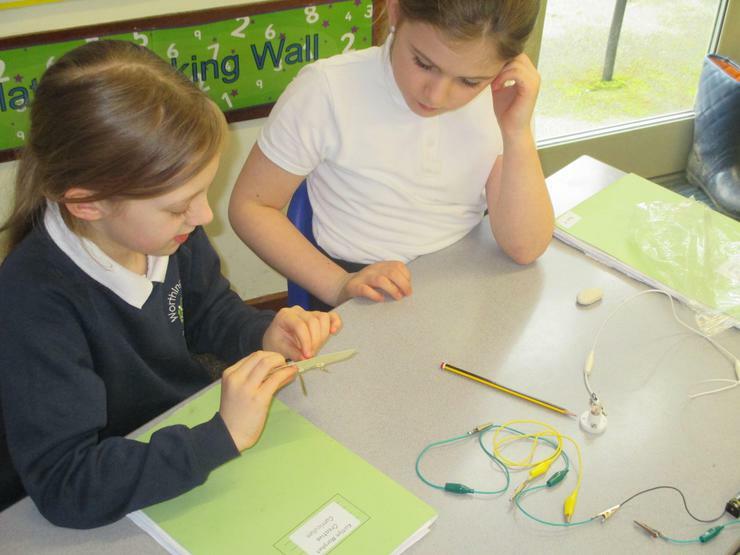 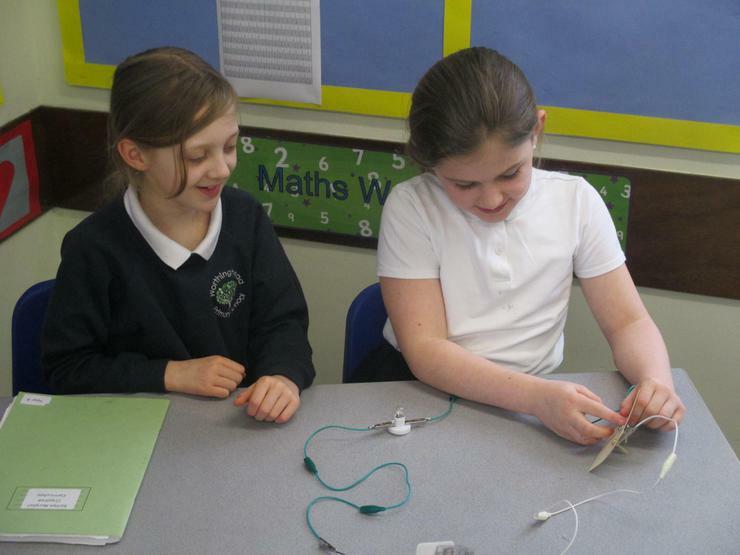 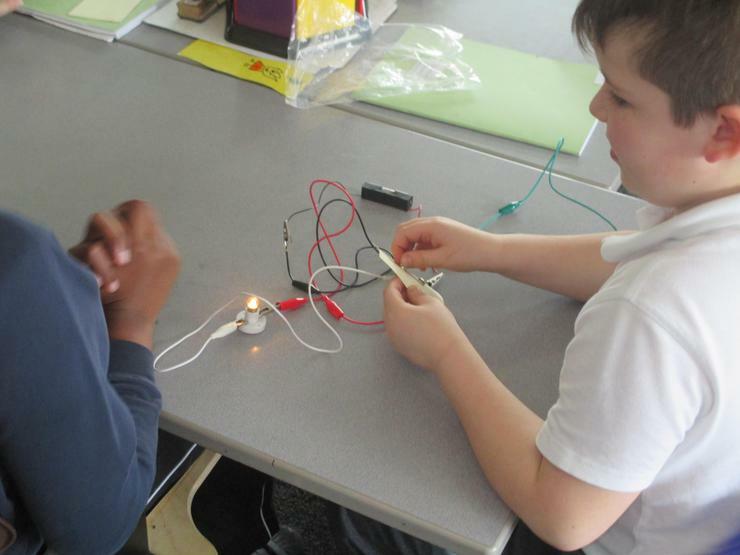 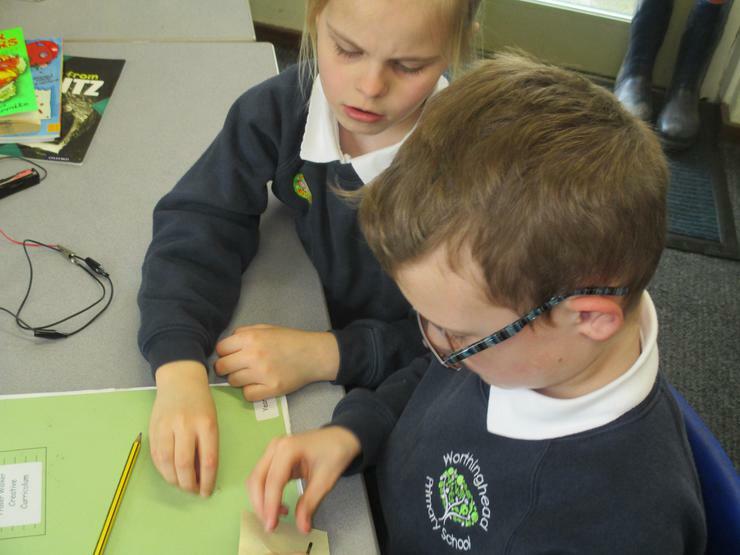 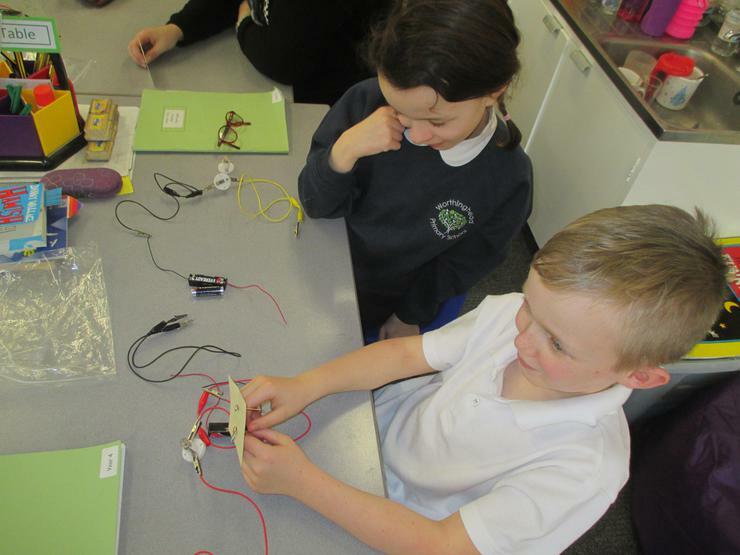 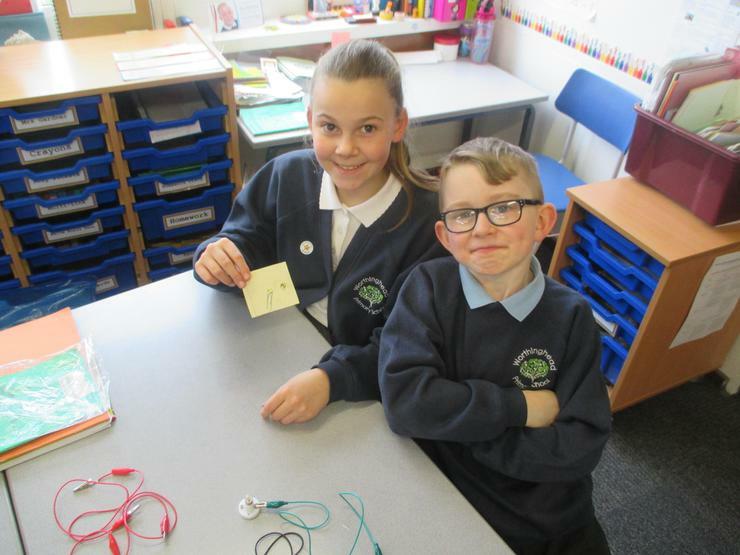 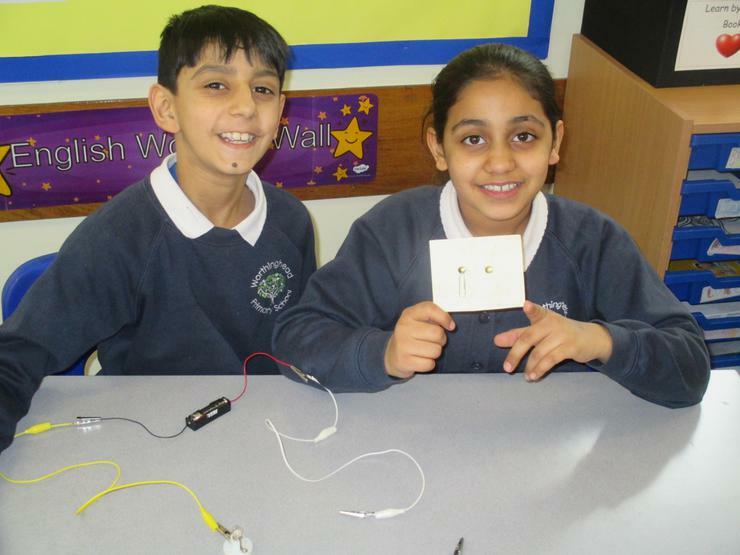 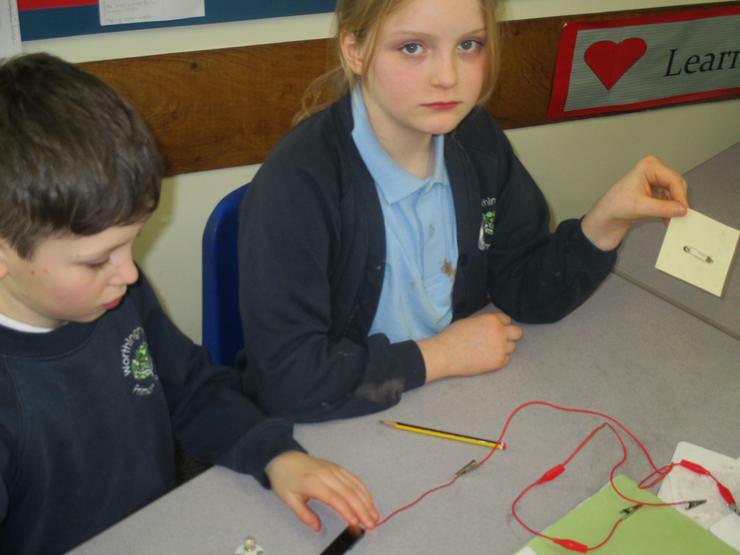 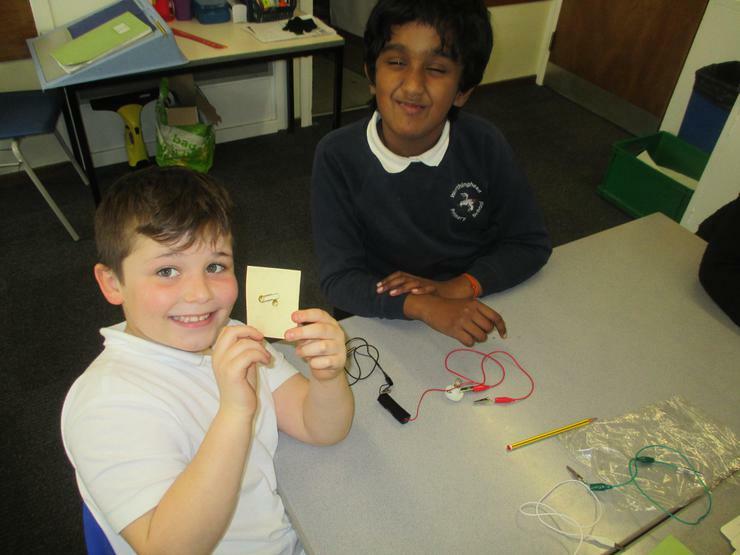 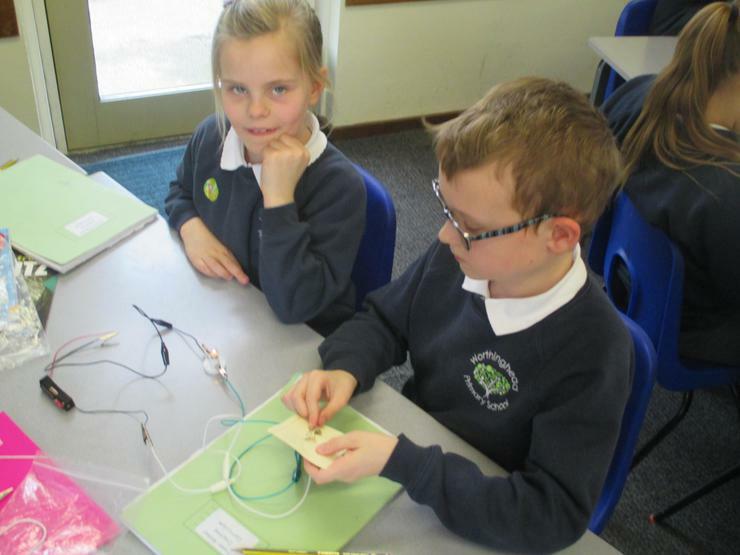 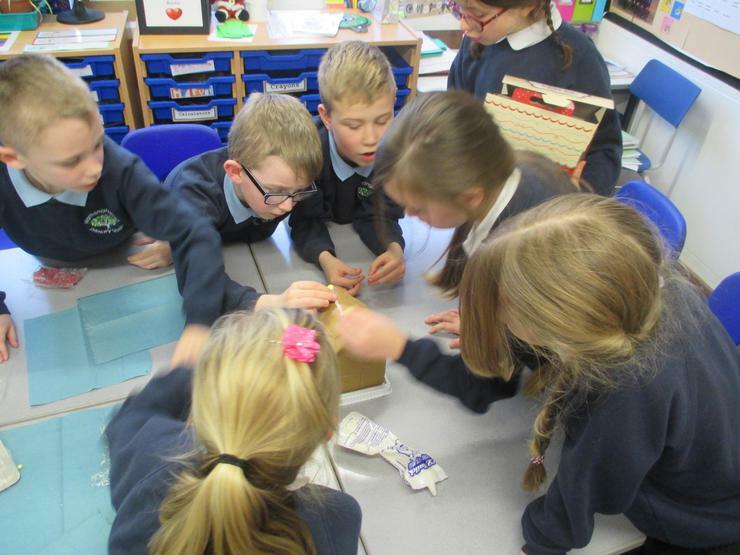 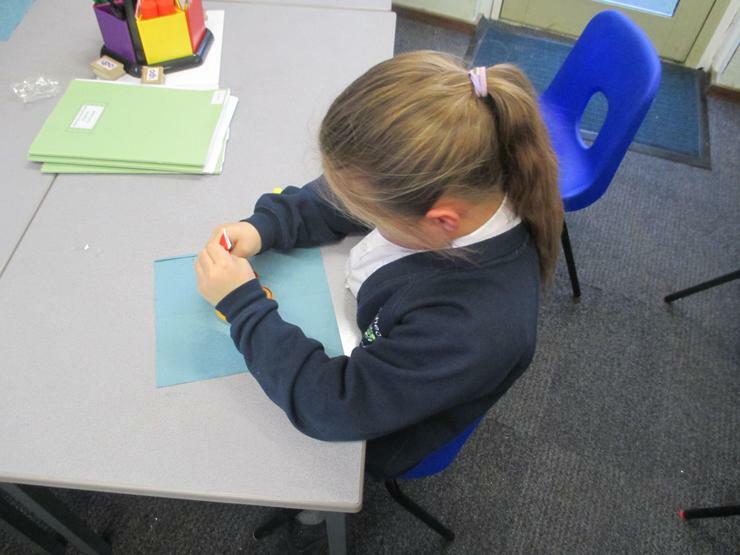 In Science we created our own electrical circuits and created switches to turn a light bulb on and off. 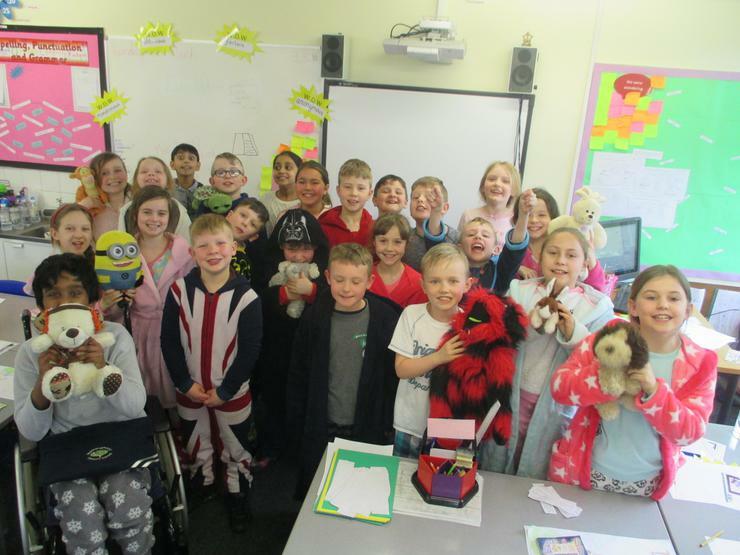 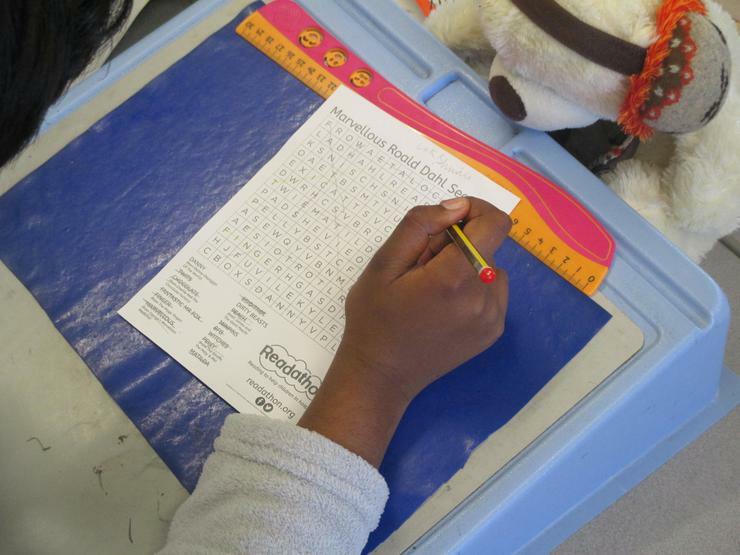 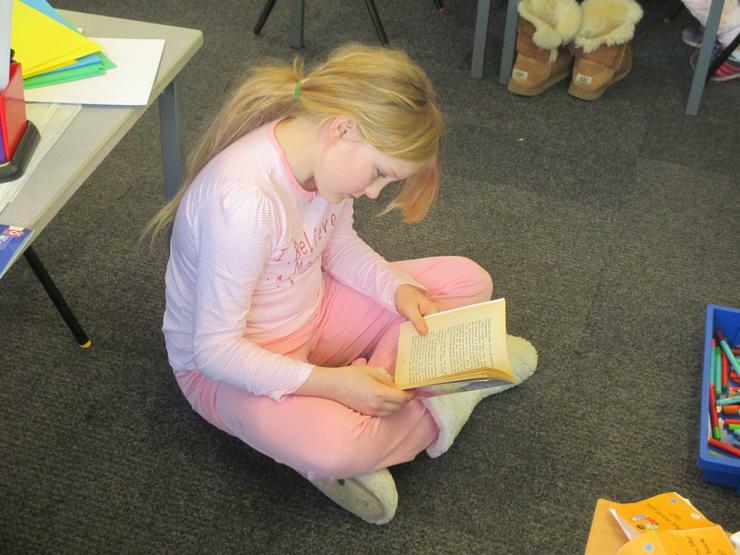 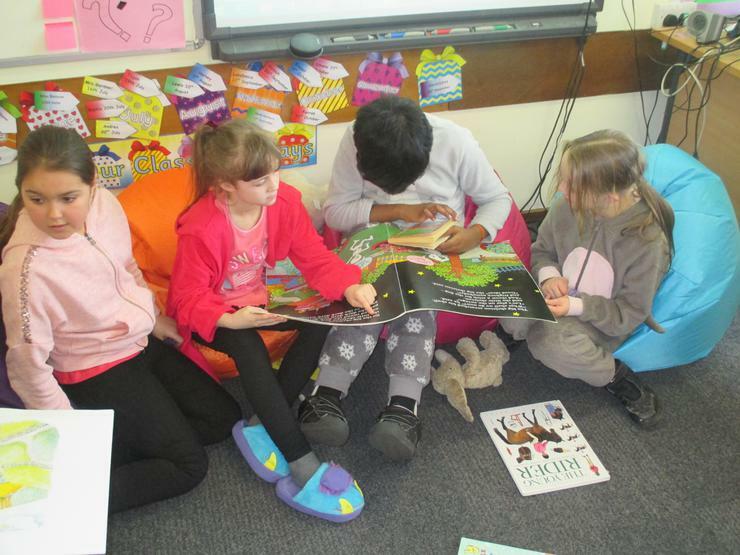 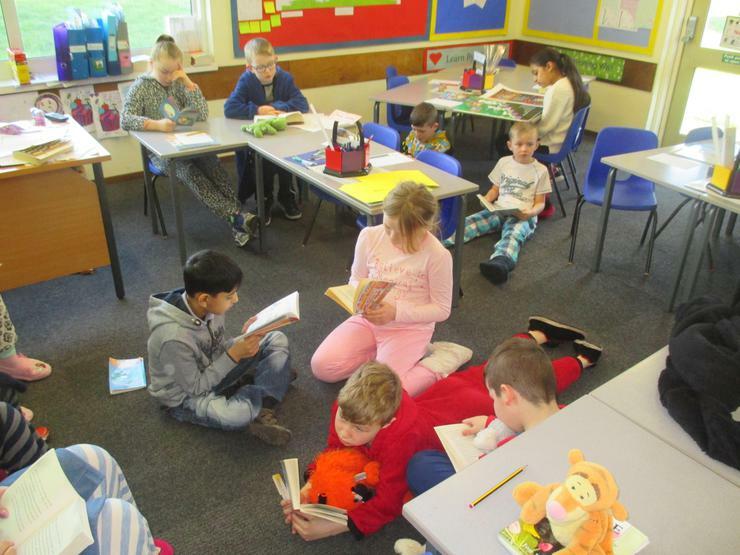 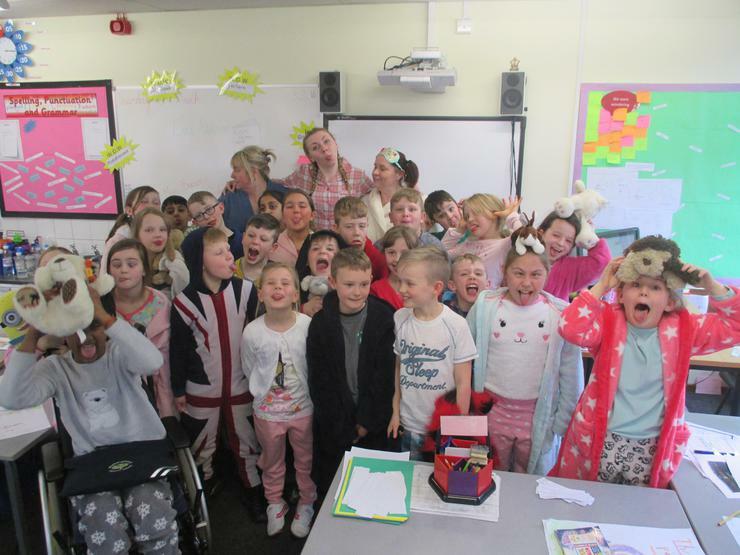 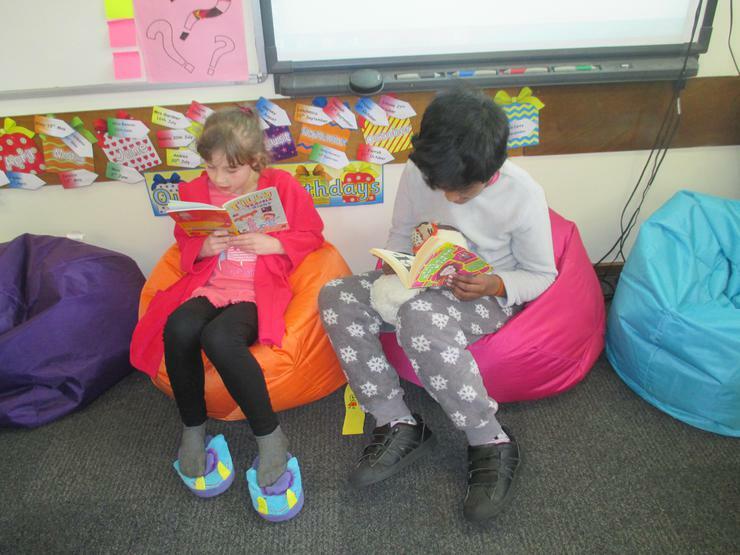 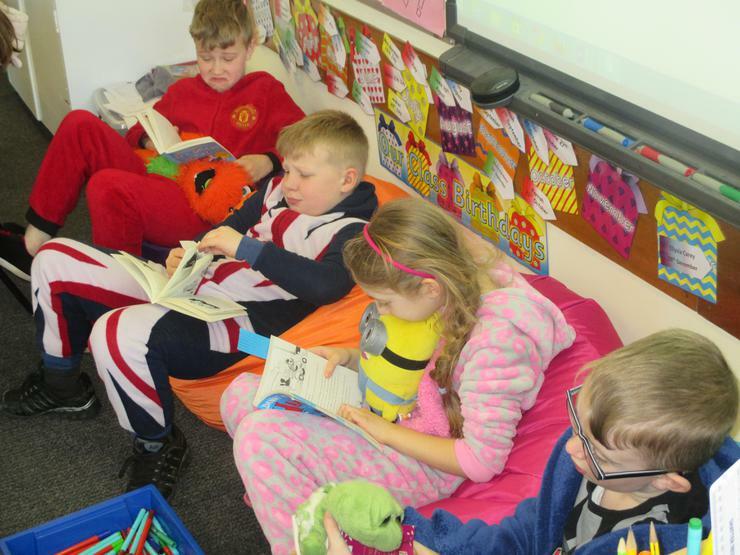 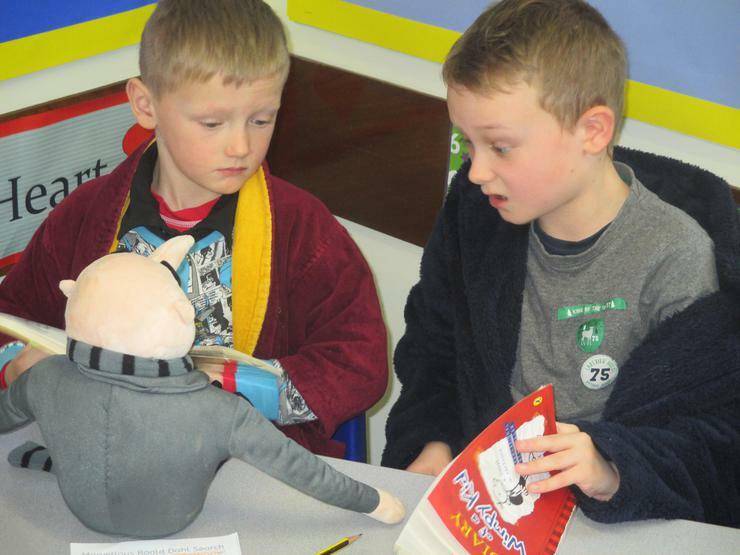 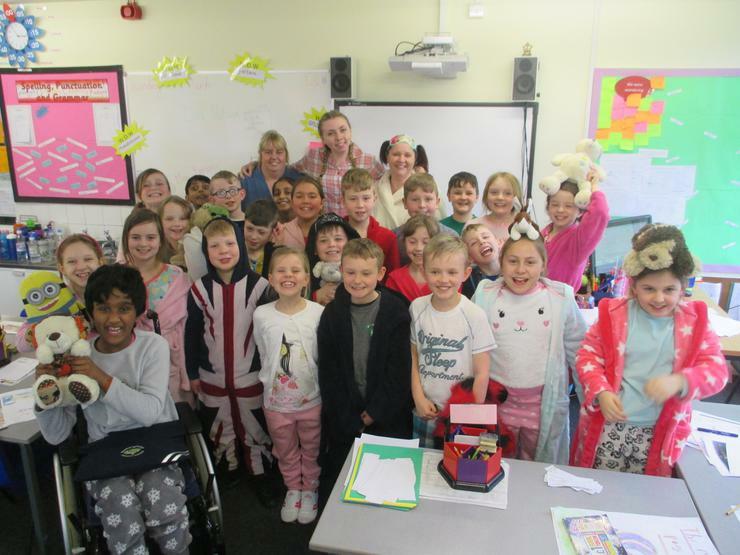 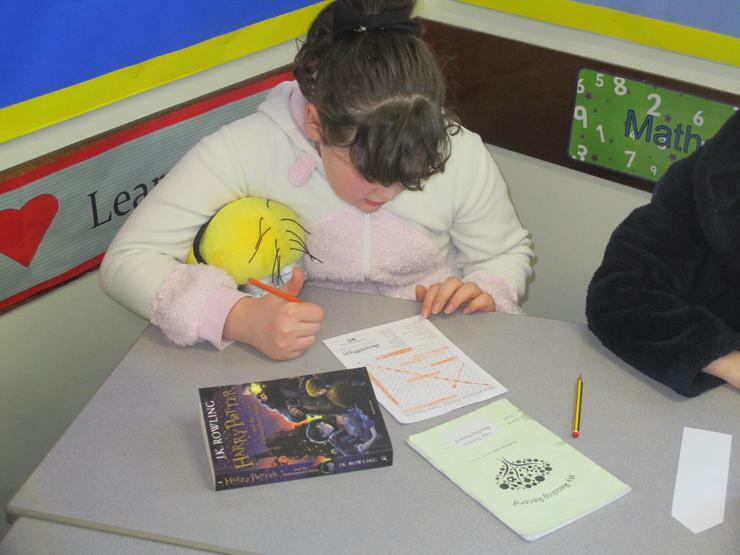 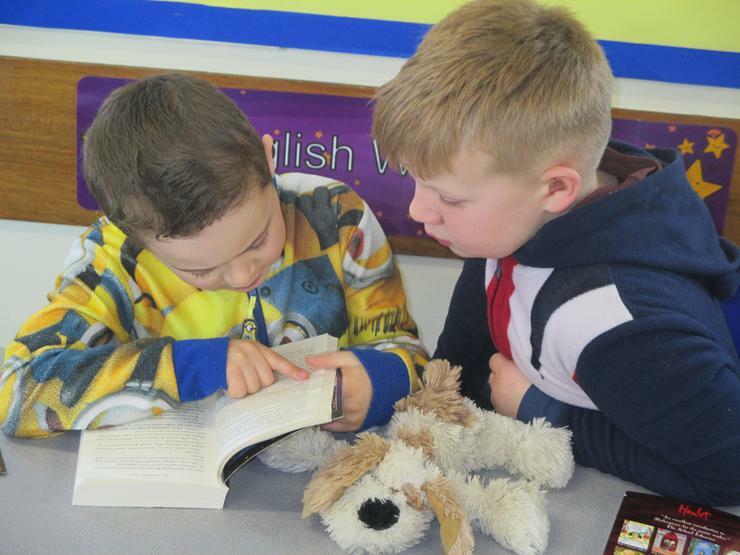 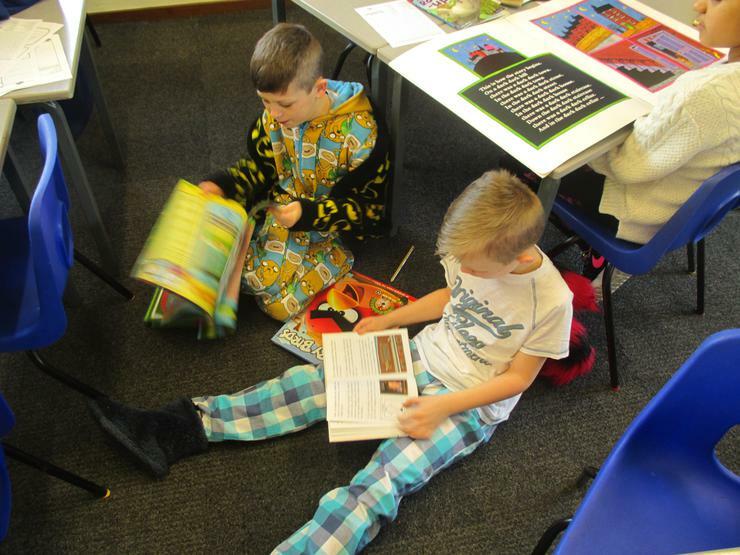 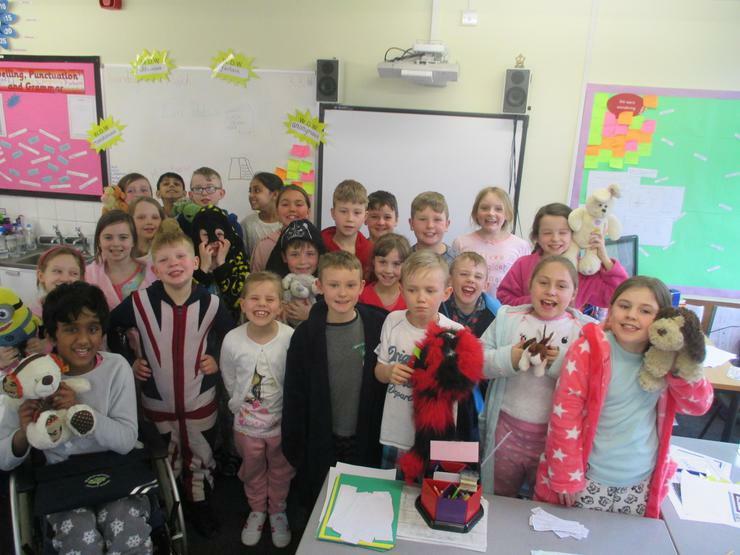 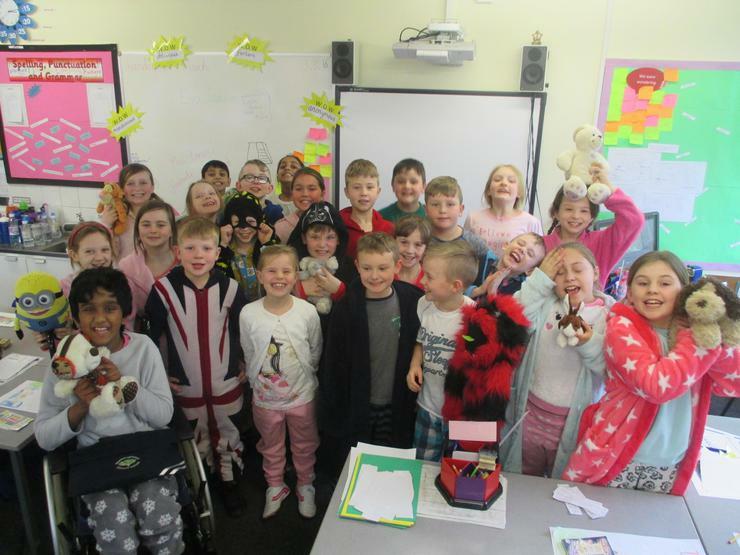 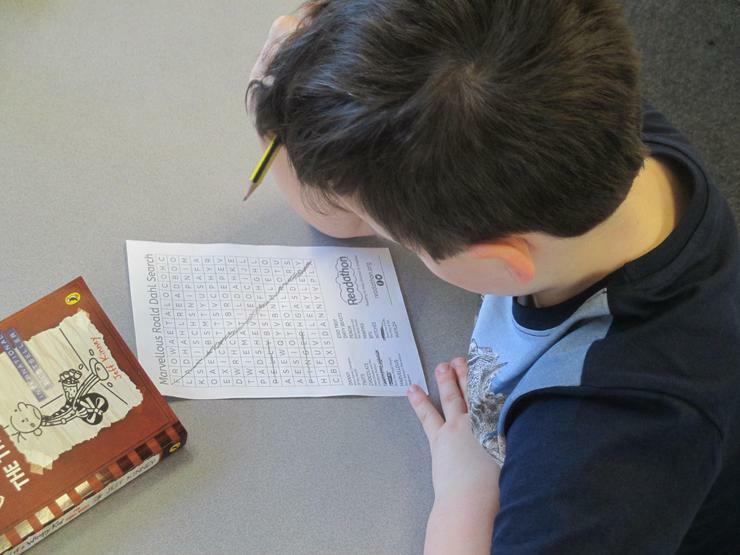 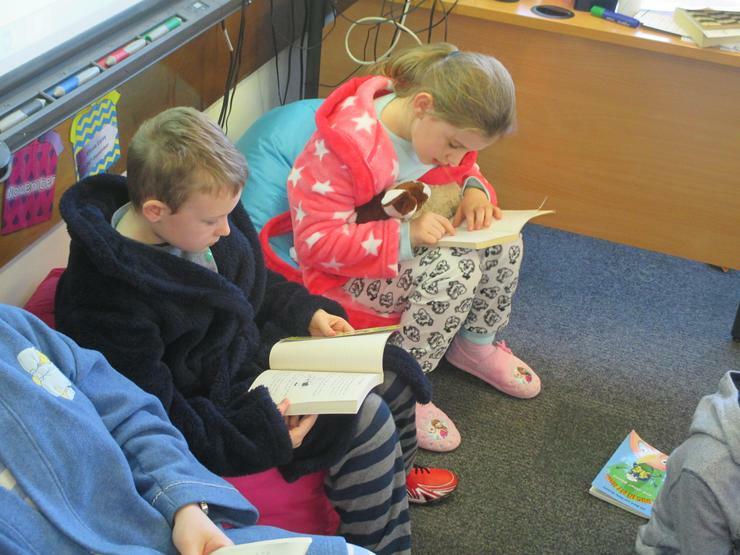 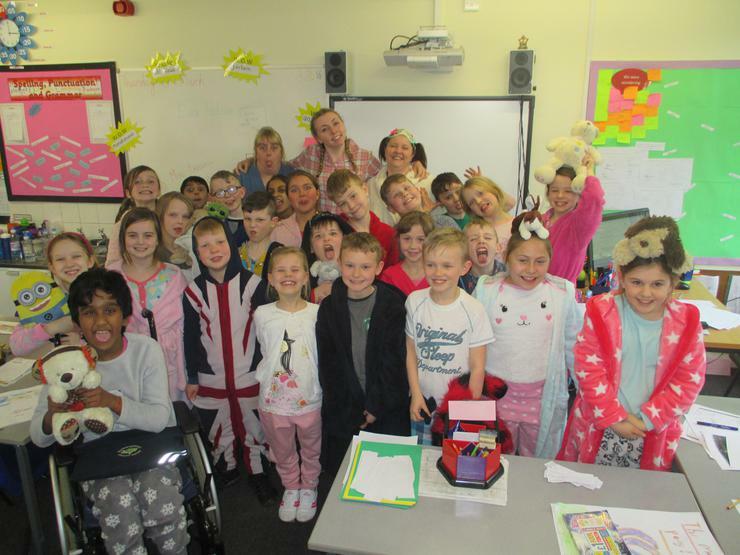 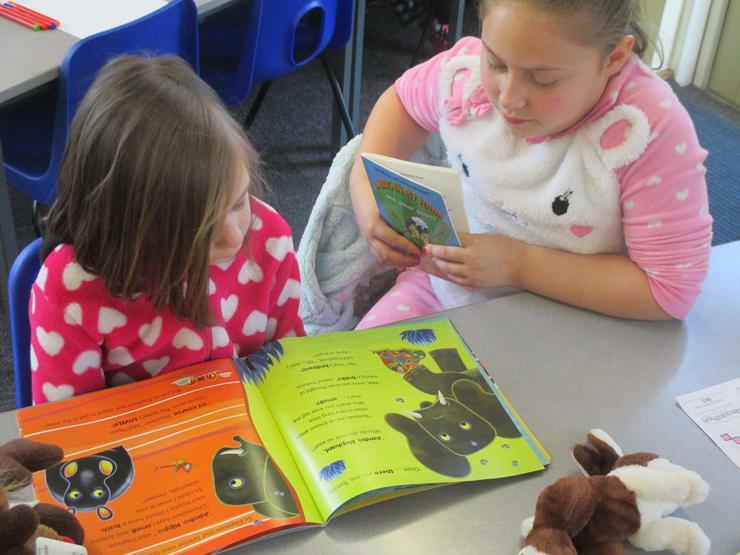 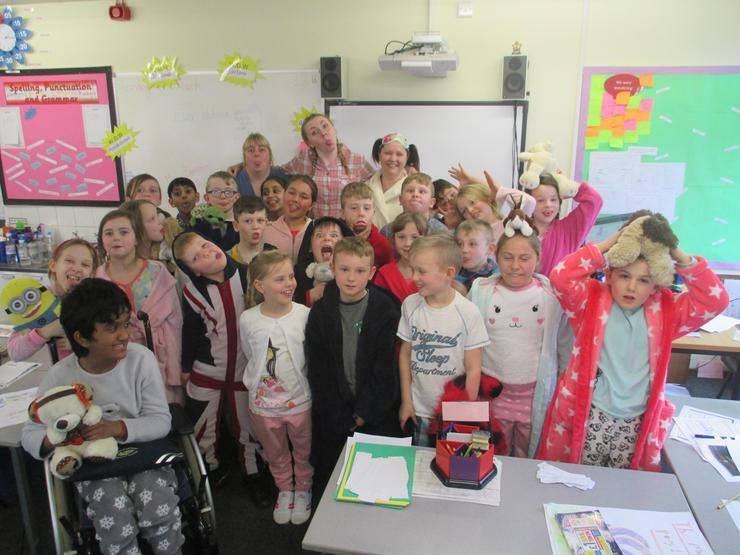 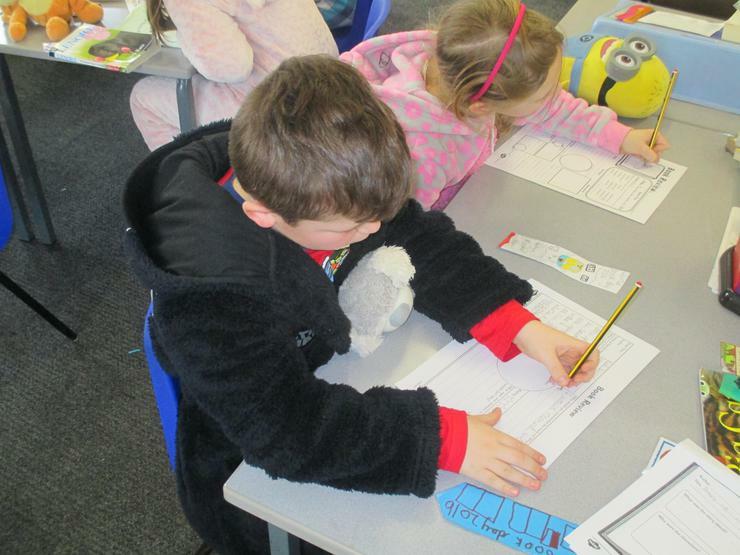 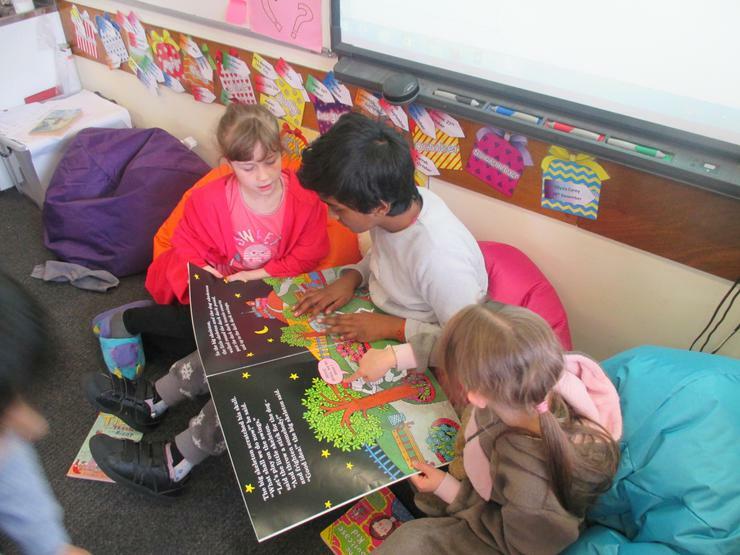 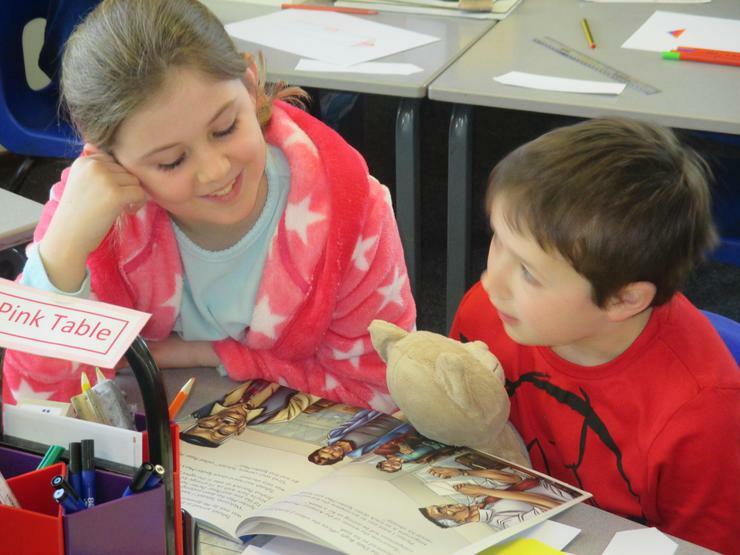 In March, we enjoyed the luxury of coming to school in our pyjamas for World Book Day! 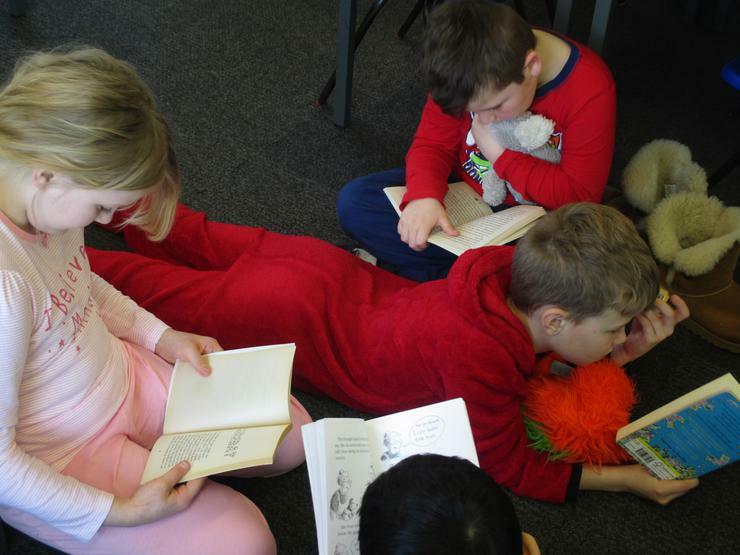 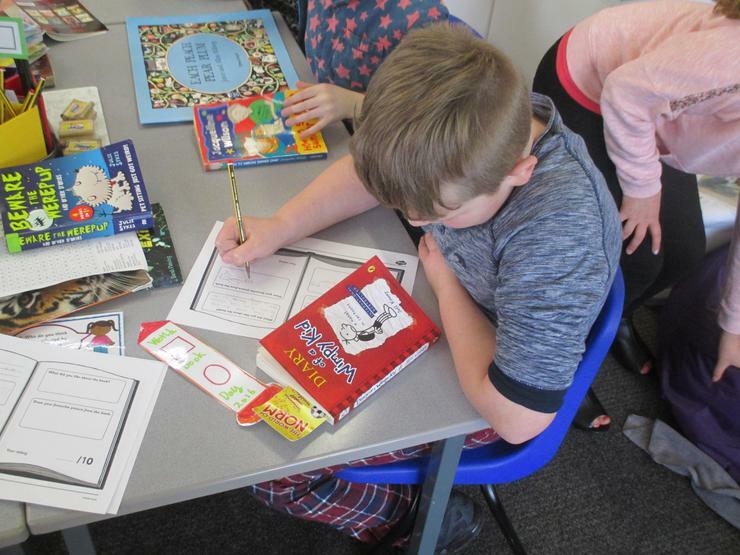 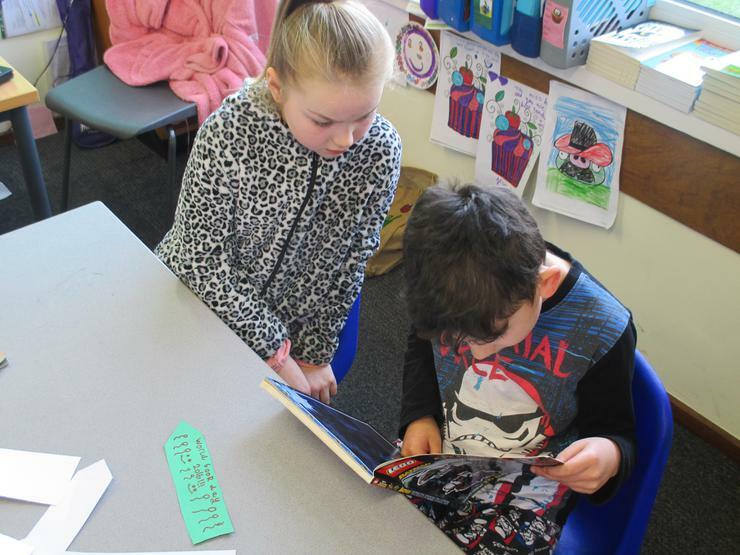 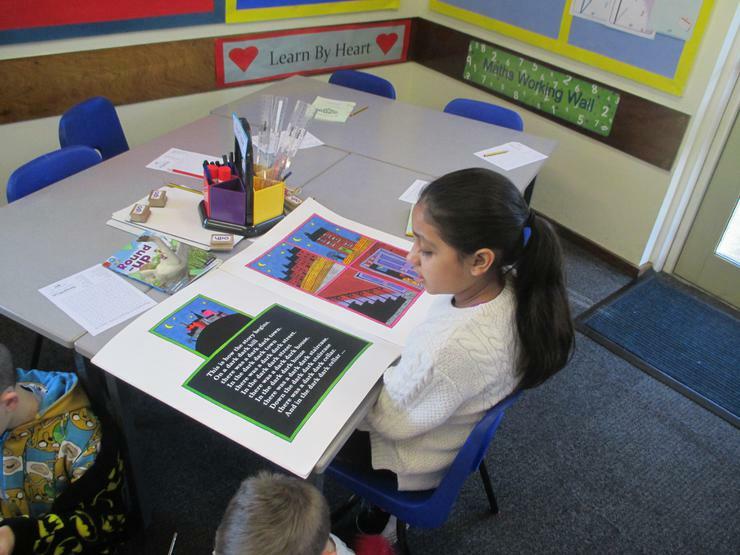 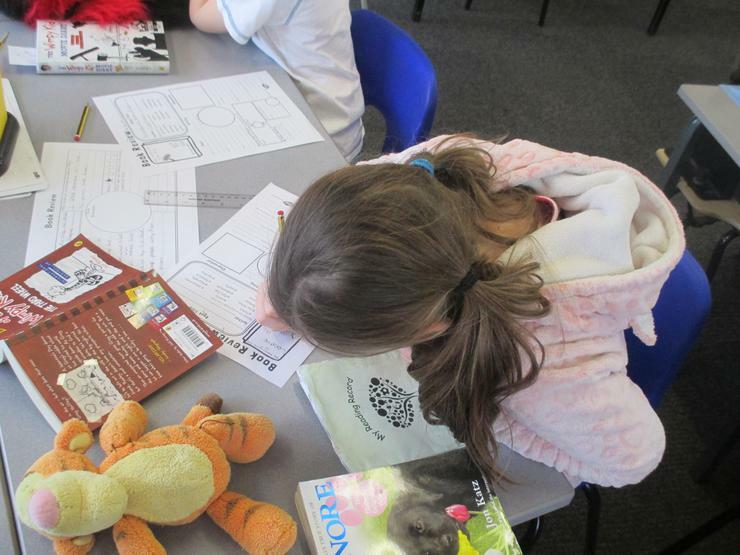 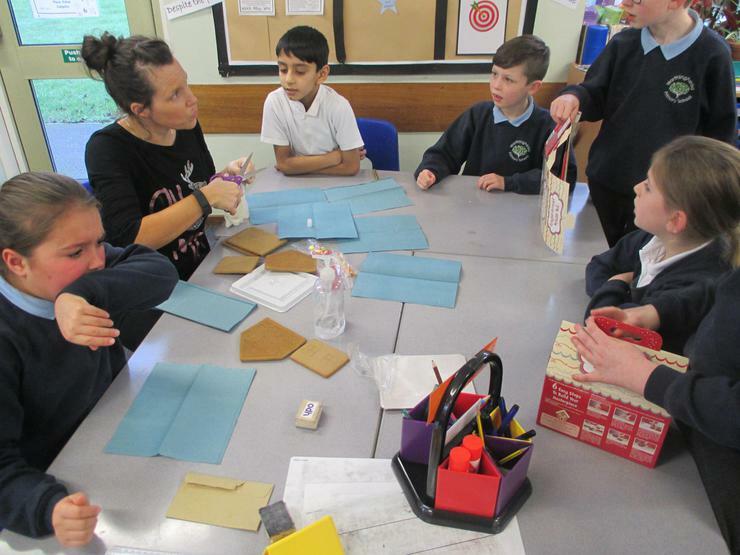 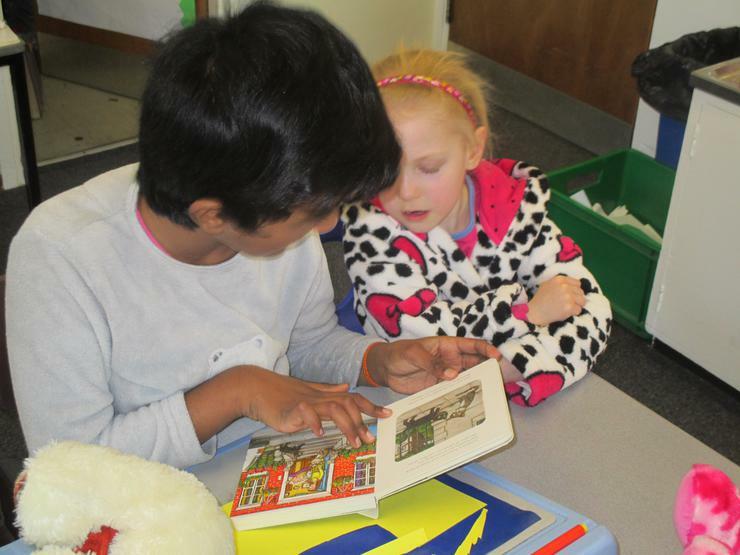 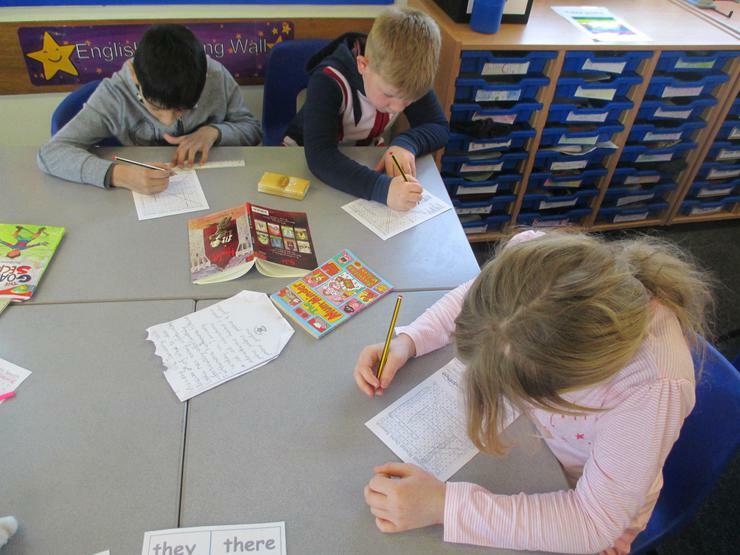 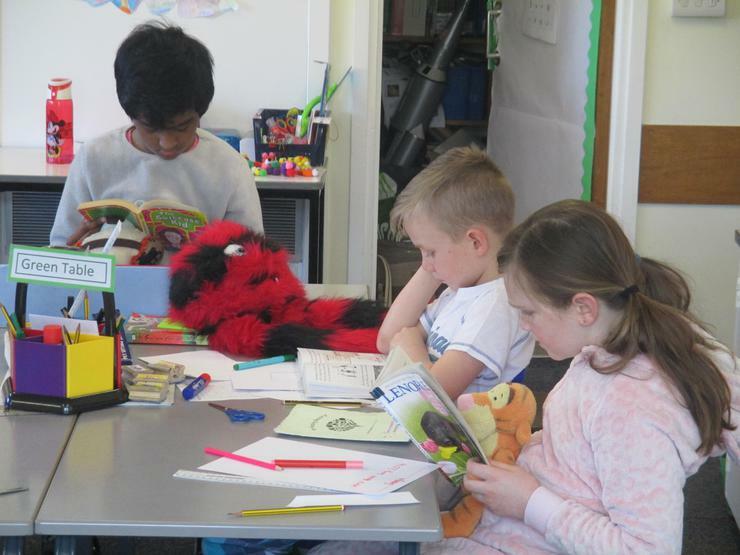 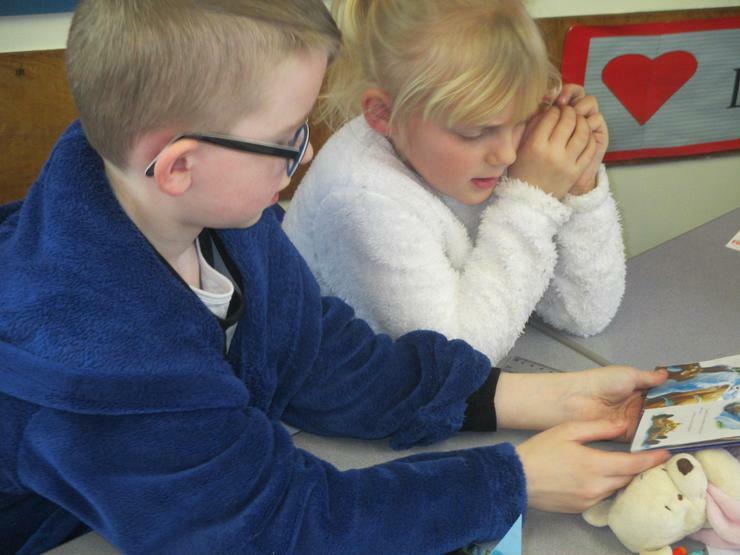 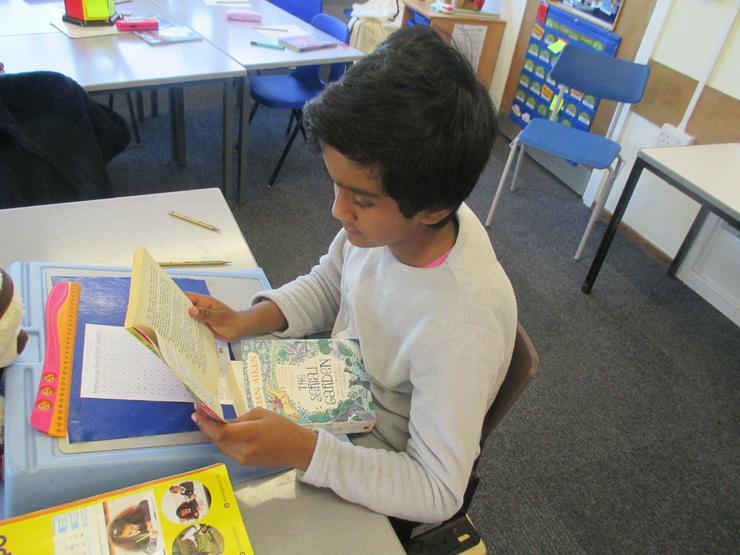 We did book themed activities throughout the day including paired reading with Year 2. 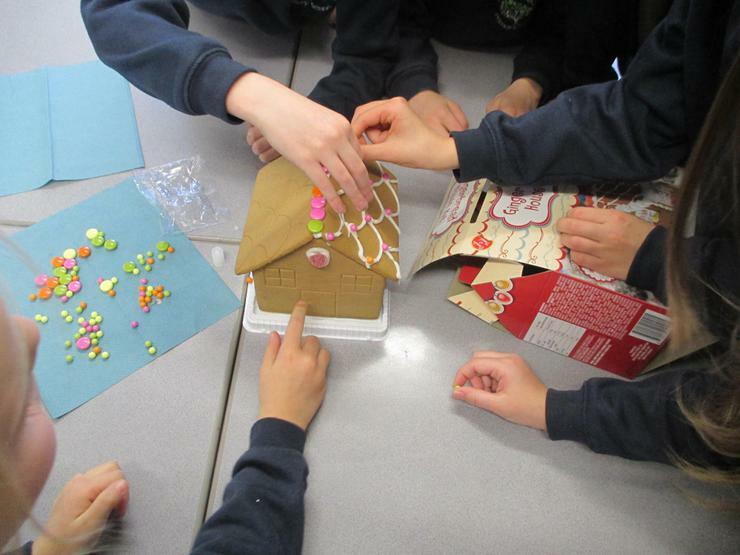 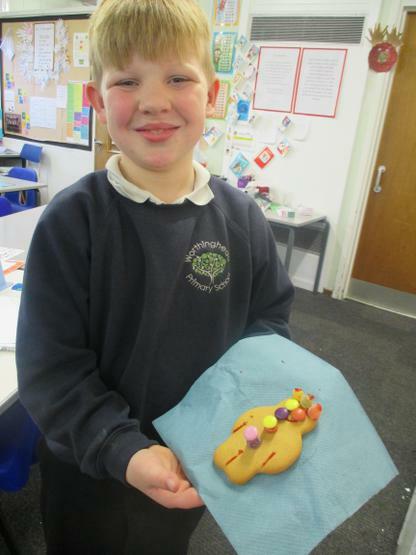 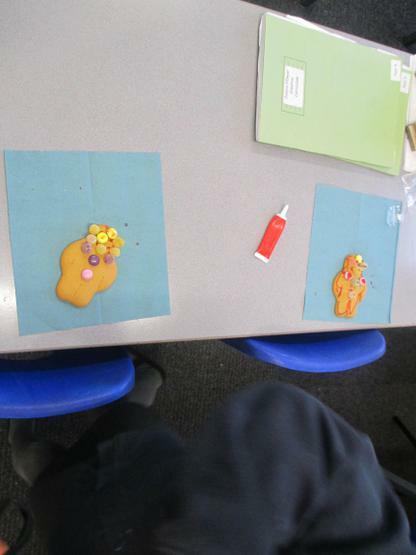 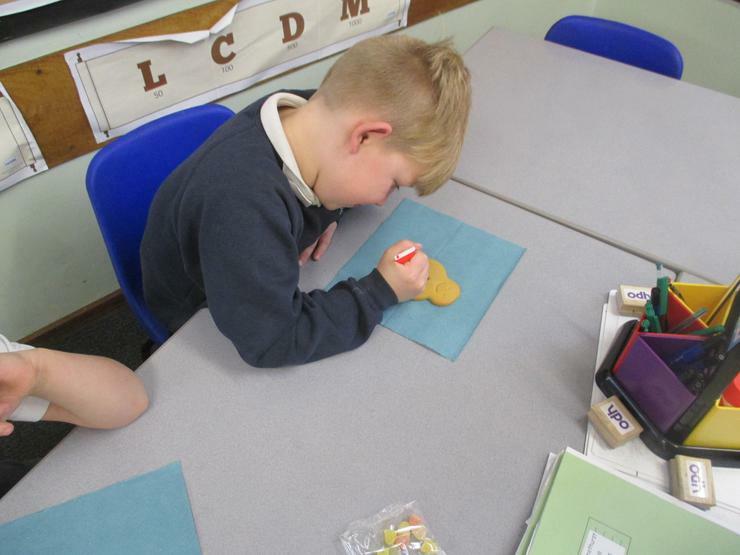 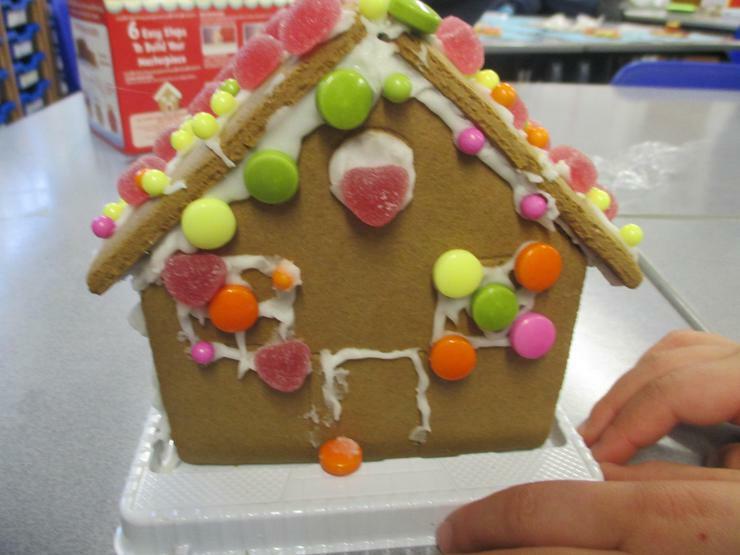 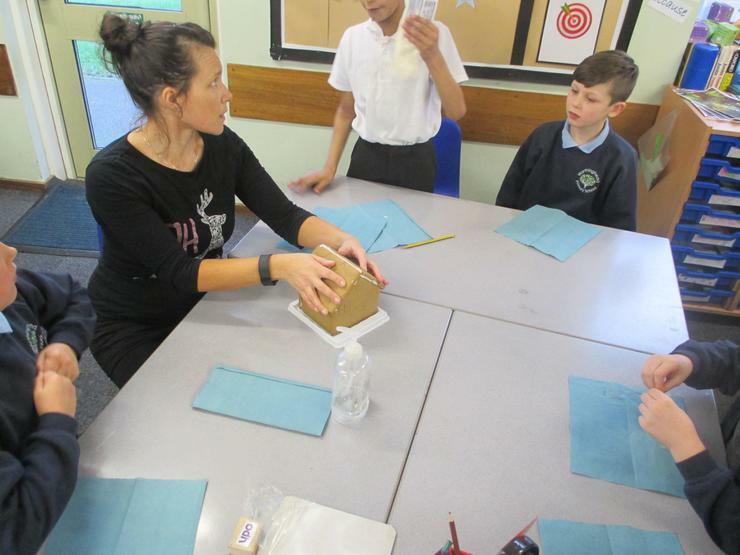 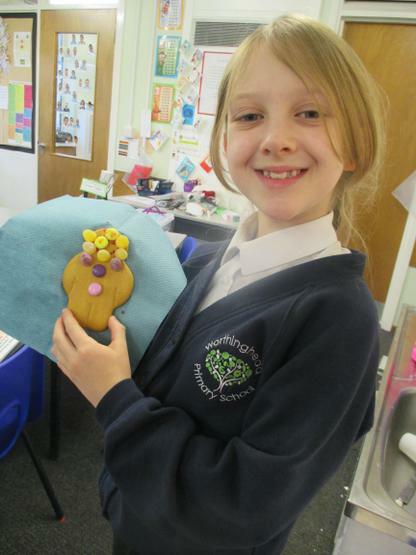 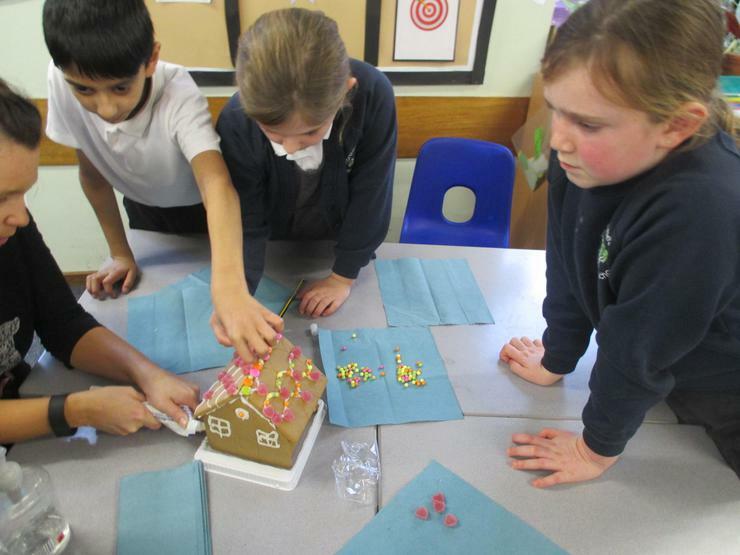 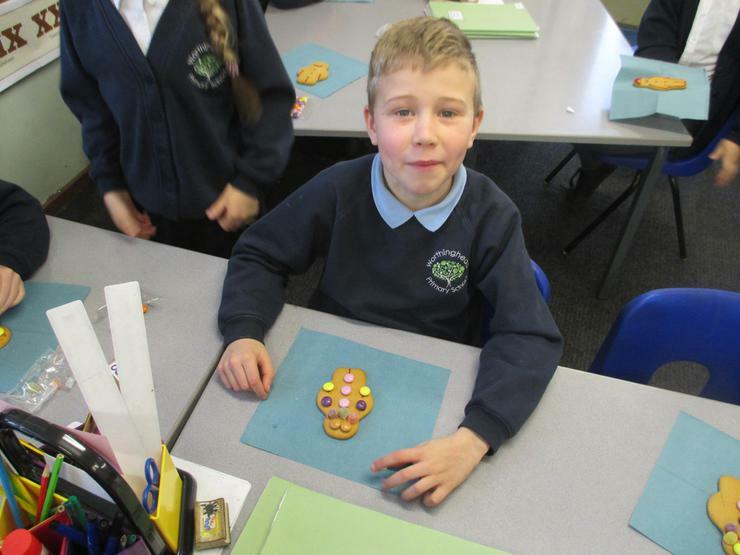 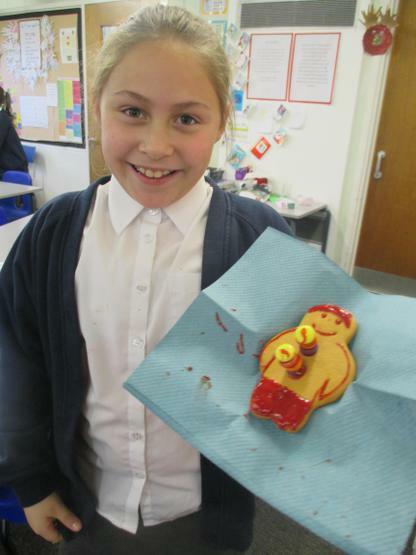 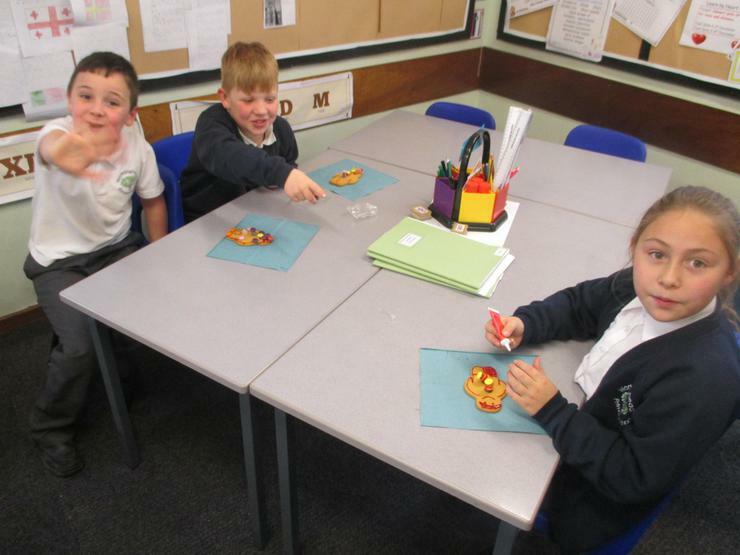 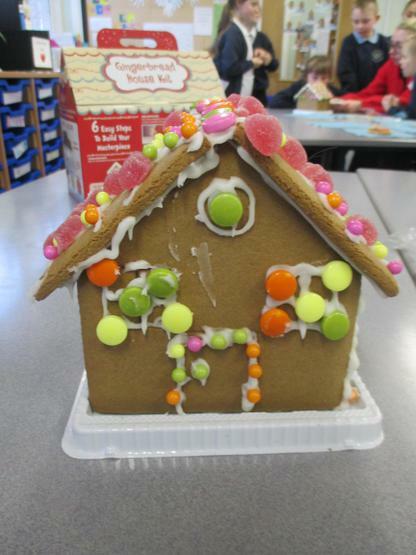 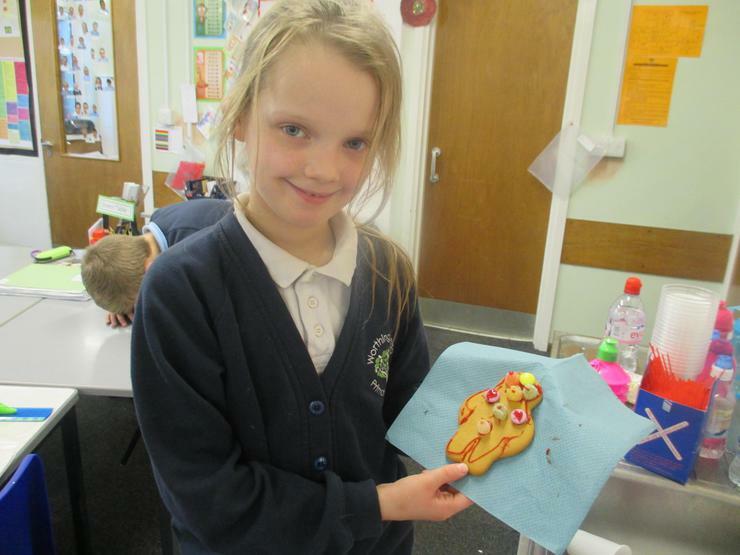 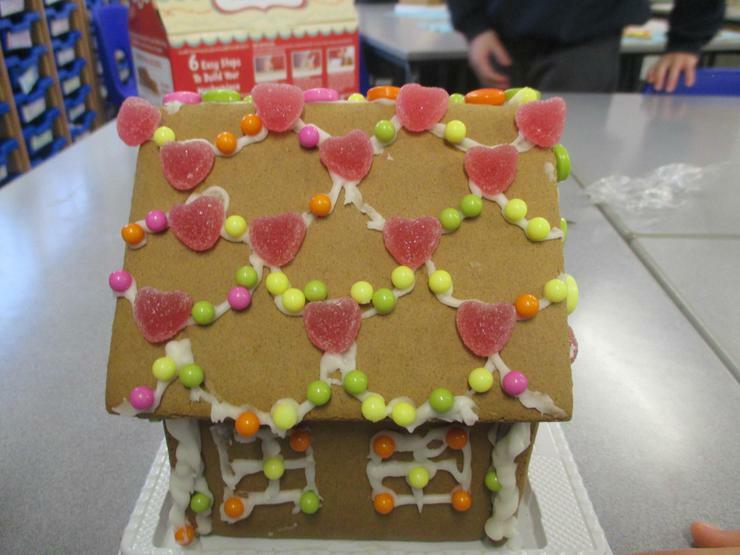 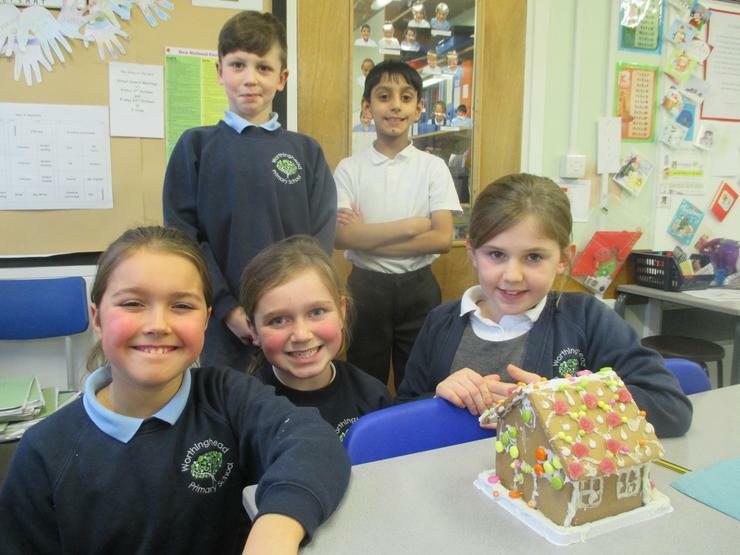 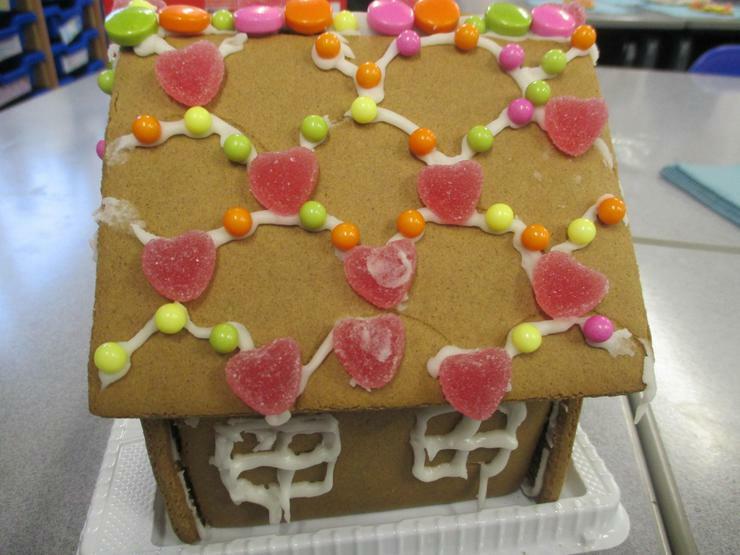 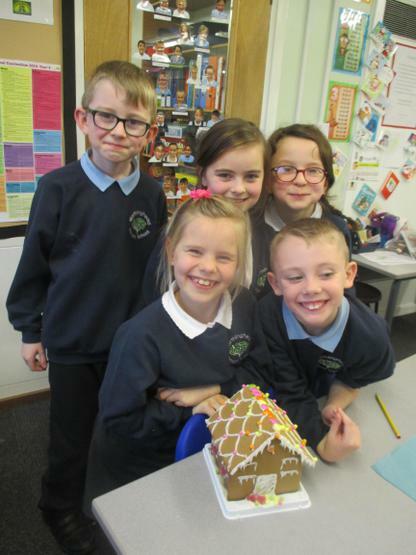 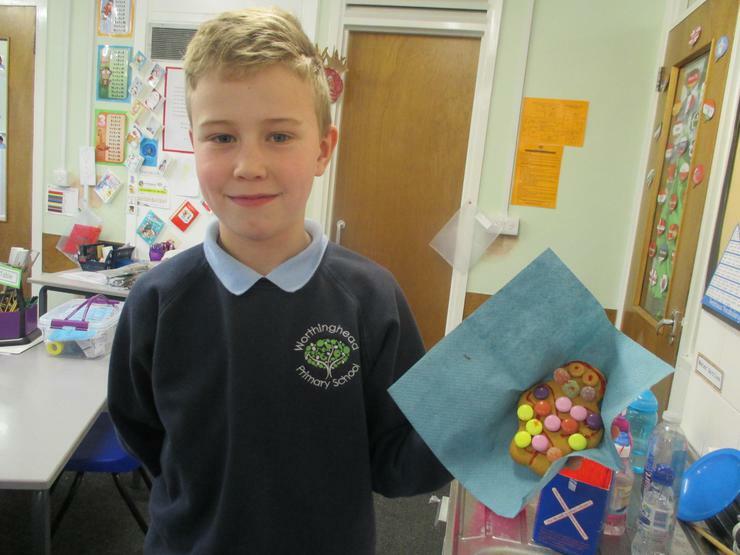 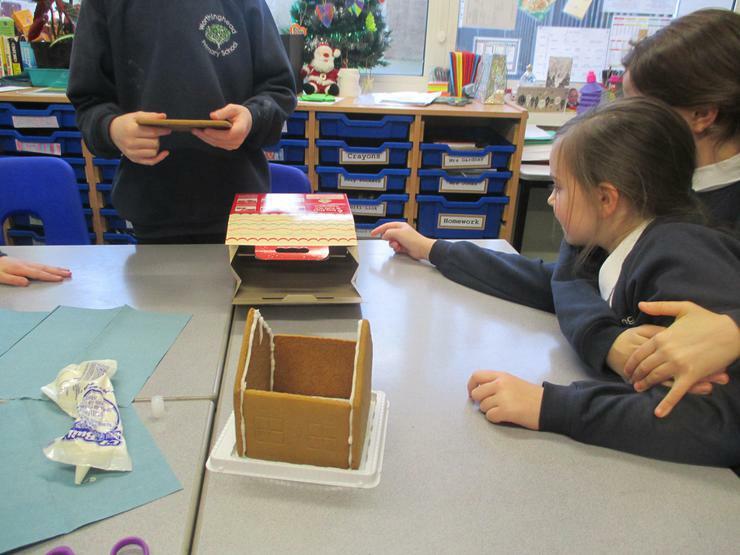 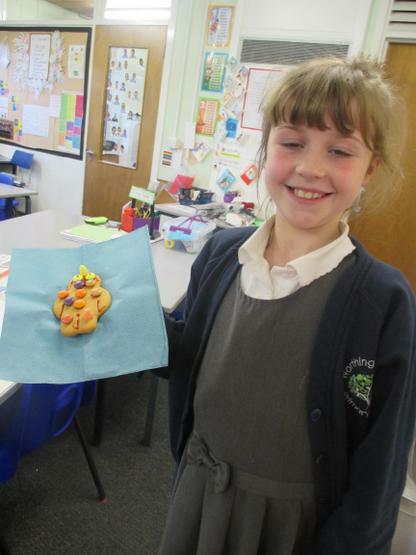 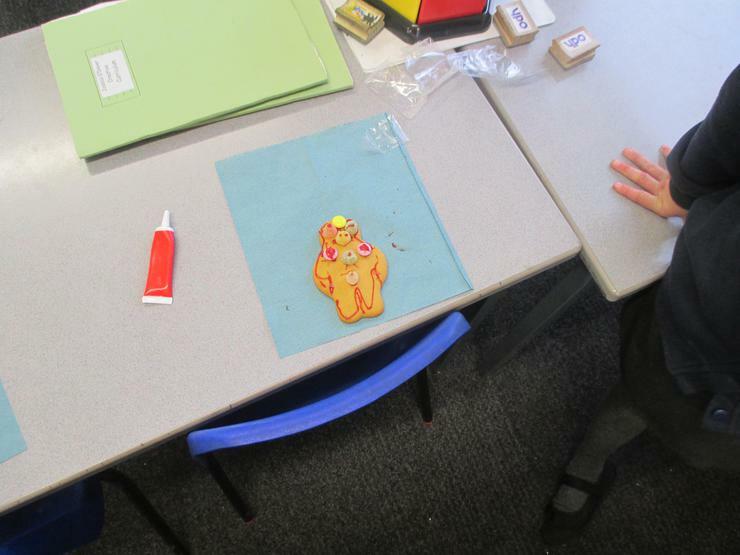 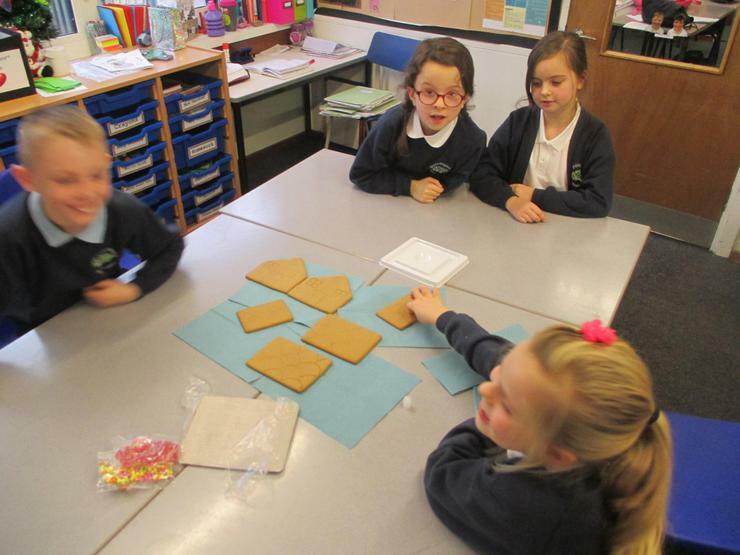 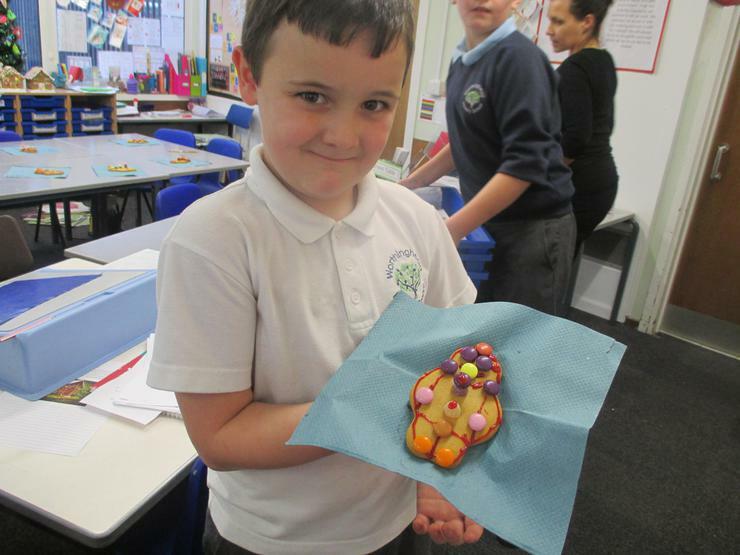 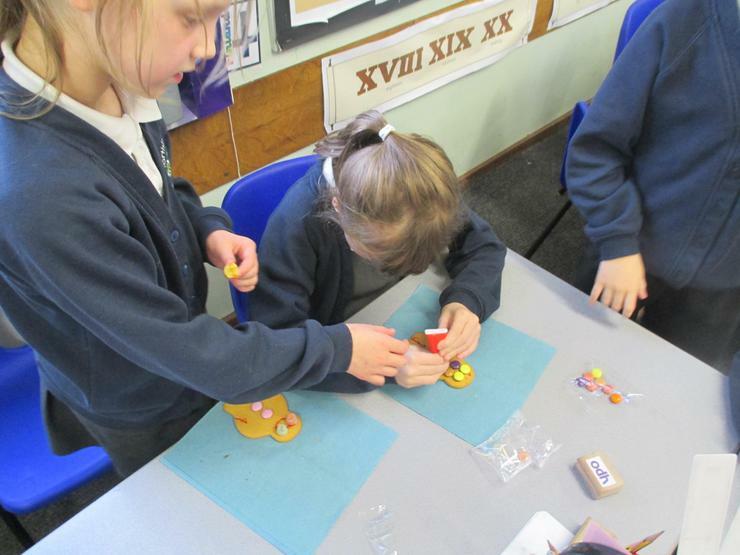 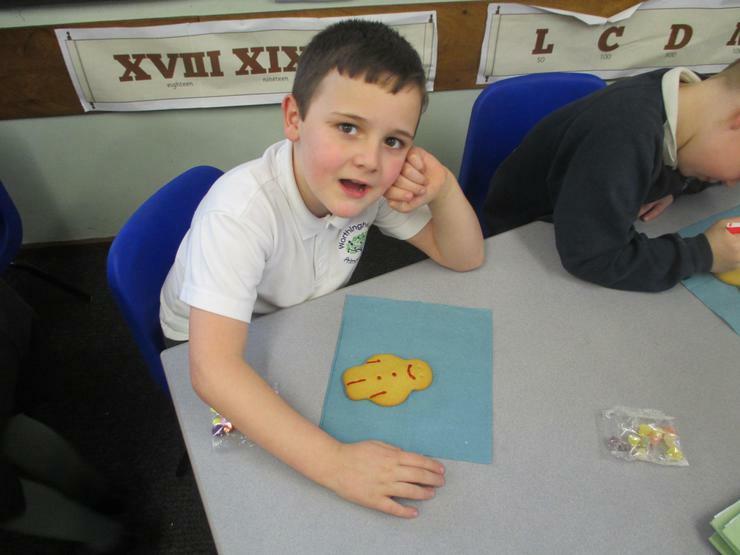 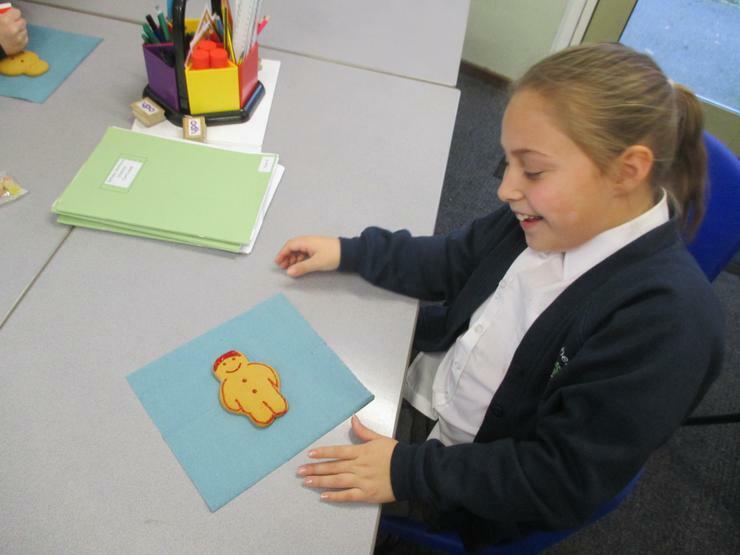 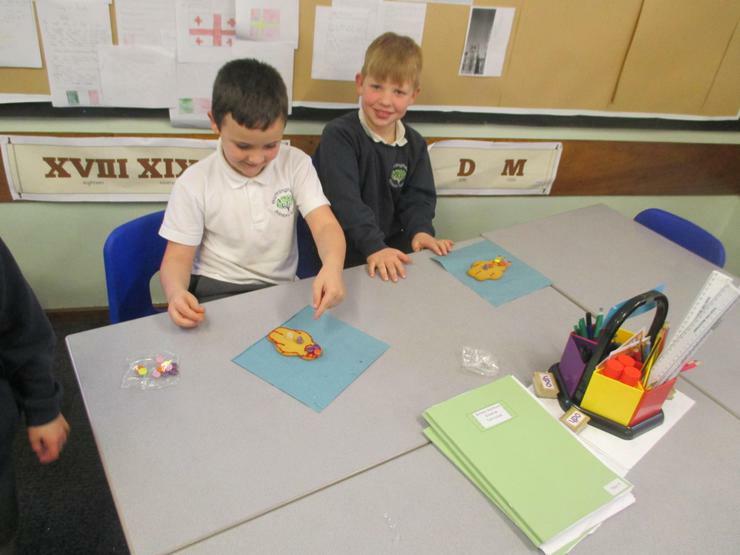 In the last week of term before Christmas, in keeping with our Literacy story of Hansel and Gretel, we decorated our very own gingerbread houses and figures. 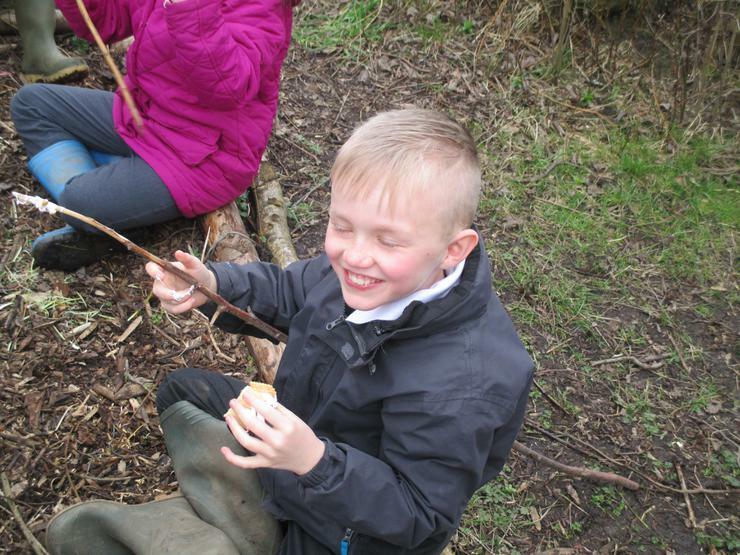 Lots of fun was had! 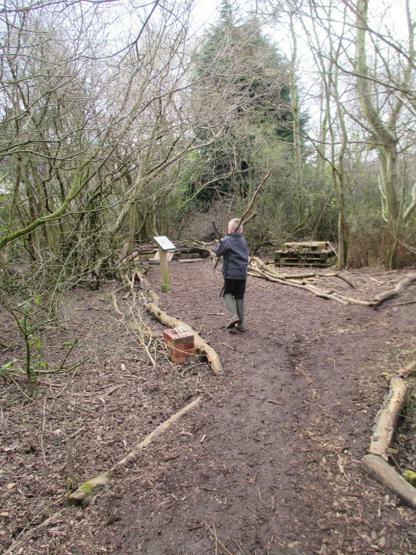 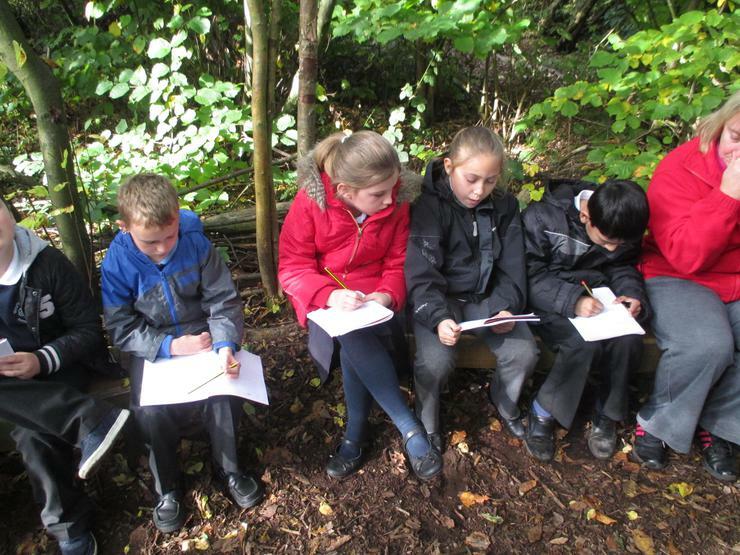 Poems in the woods! 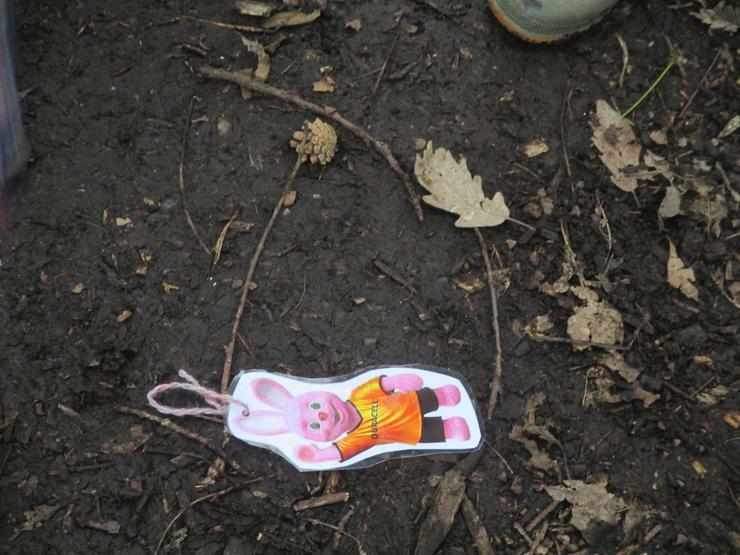 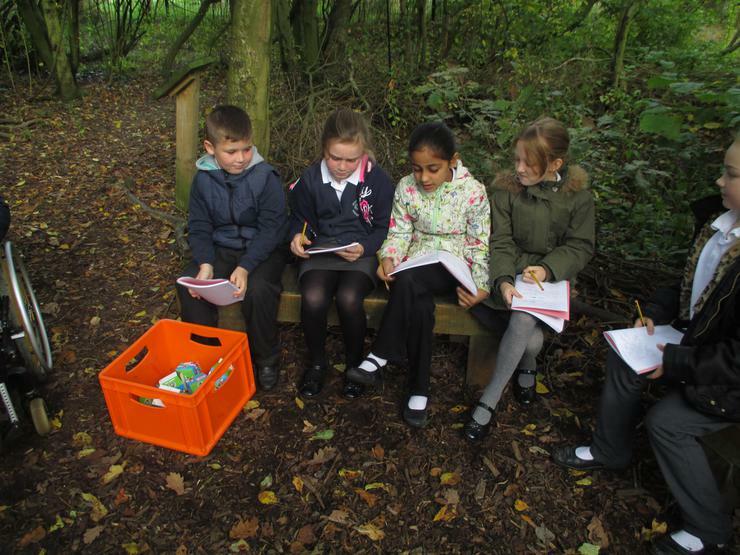 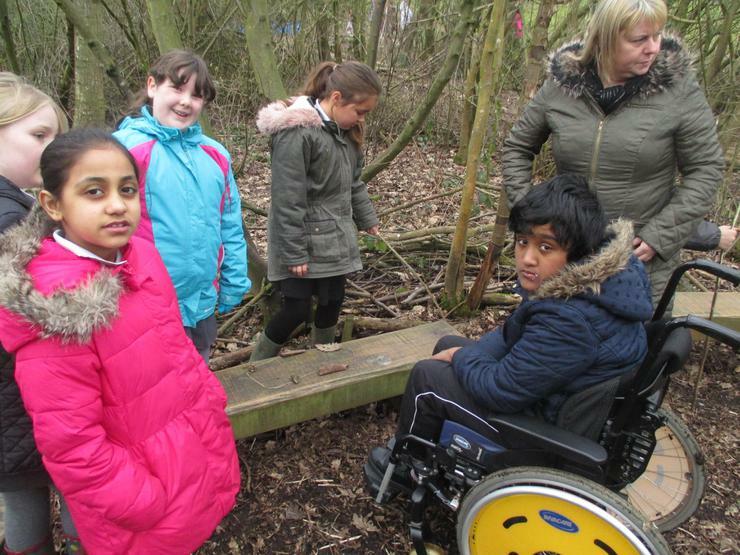 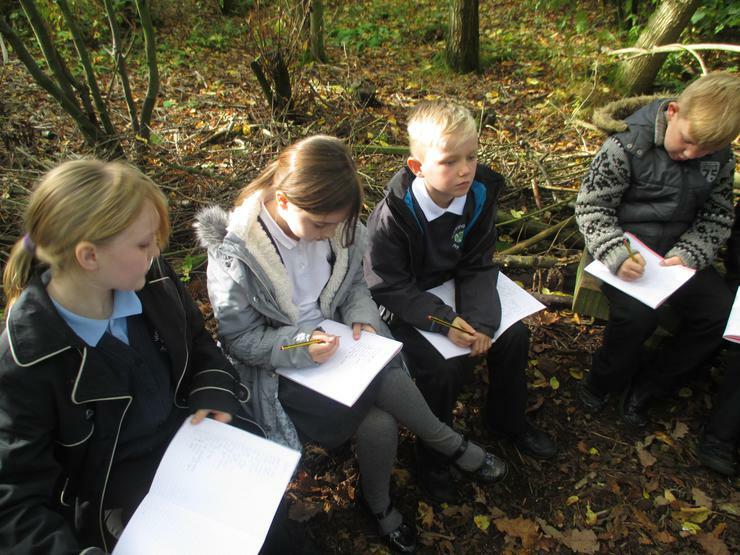 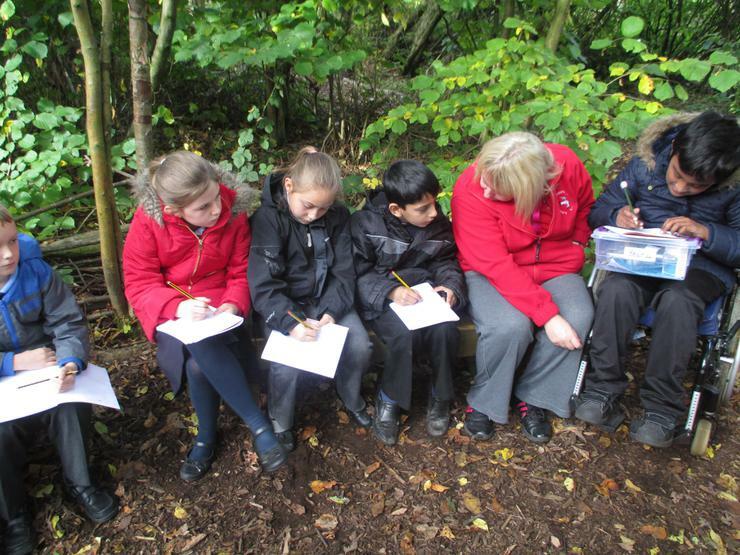 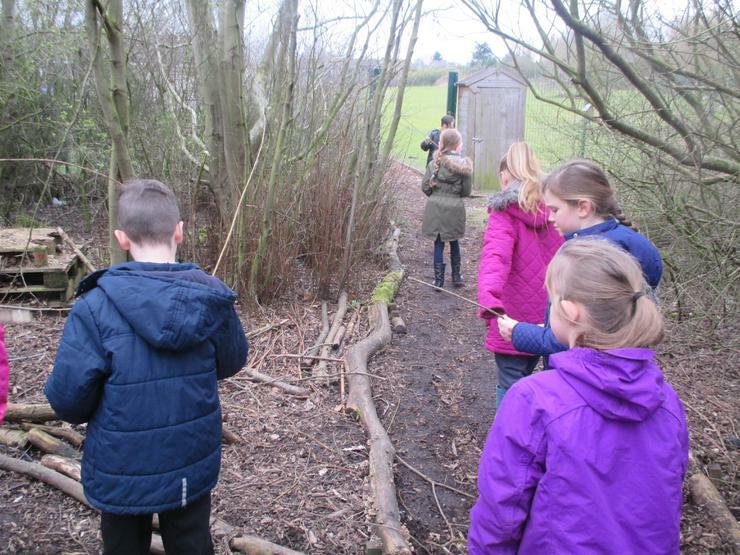 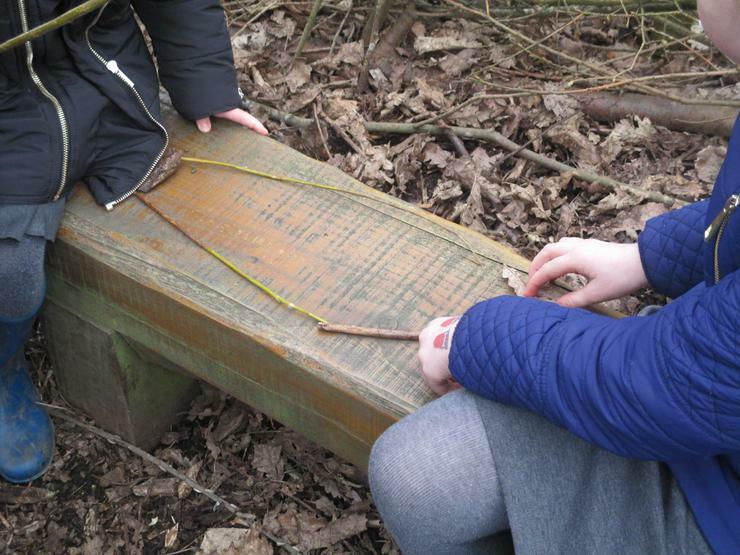 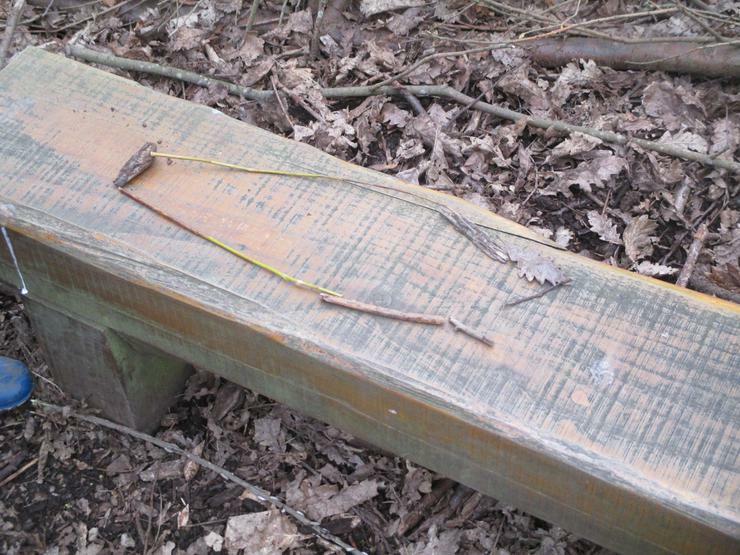 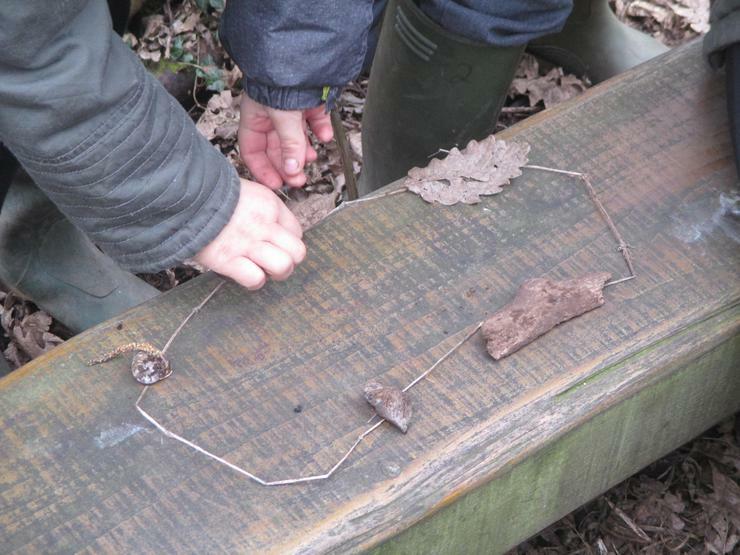 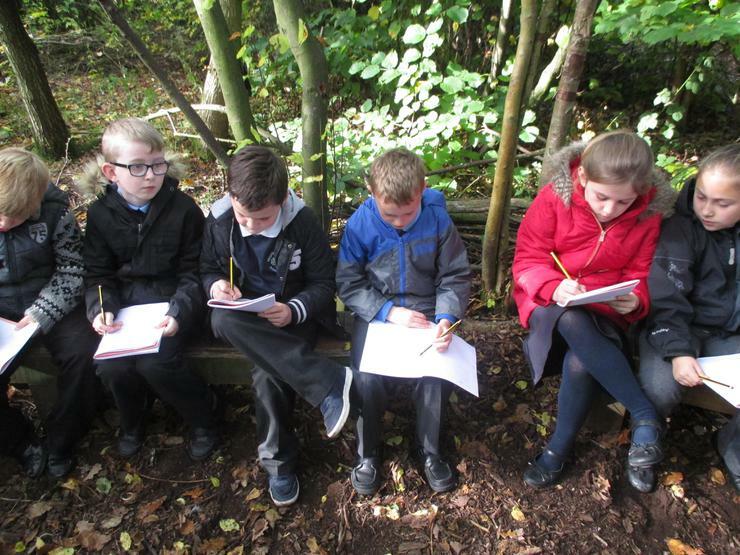 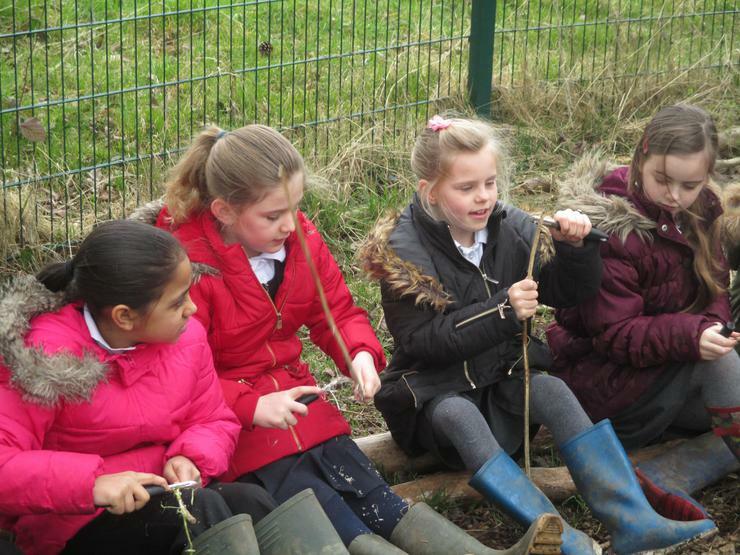 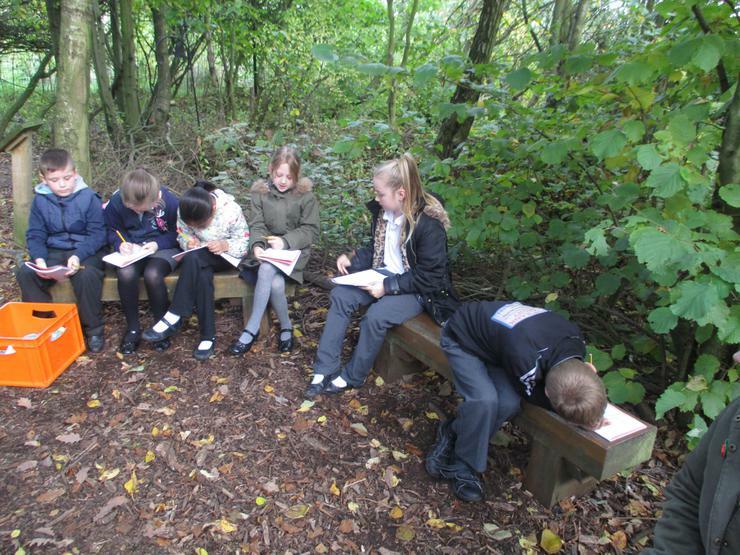 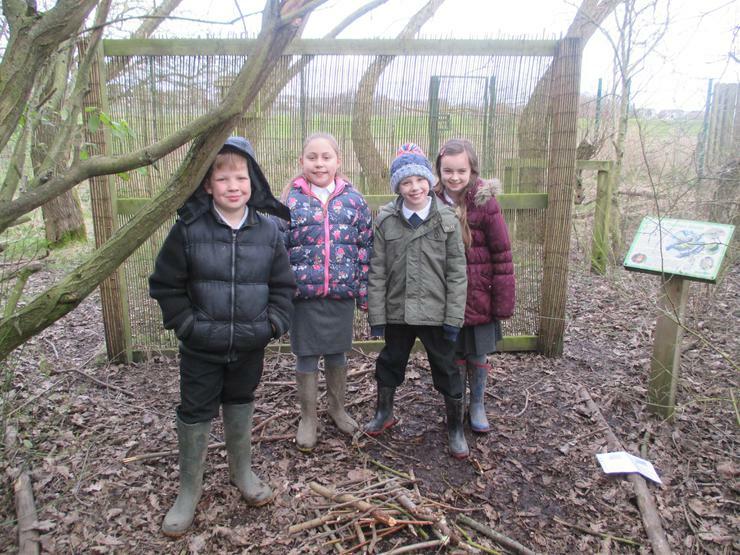 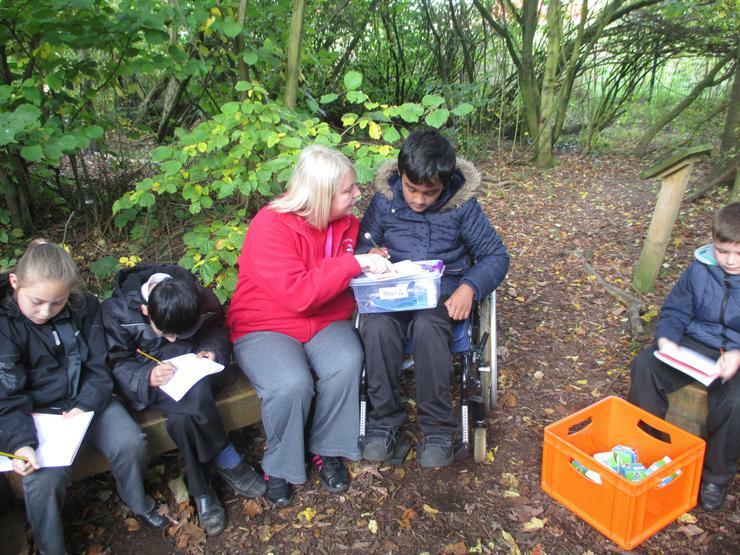 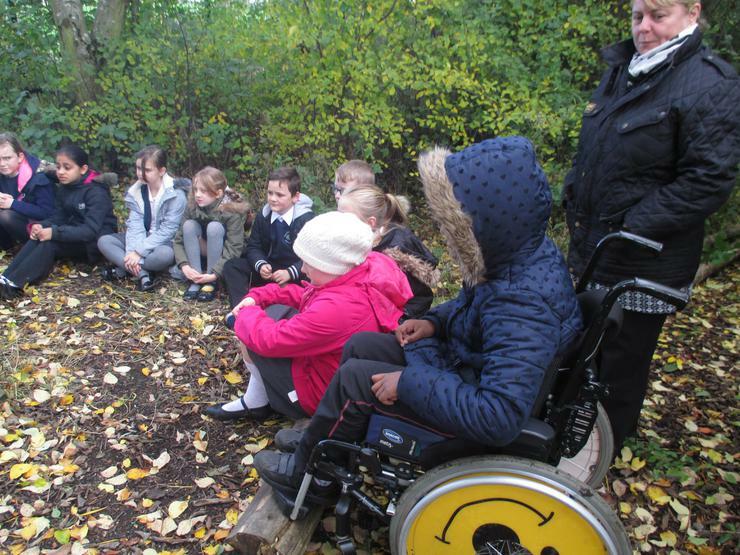 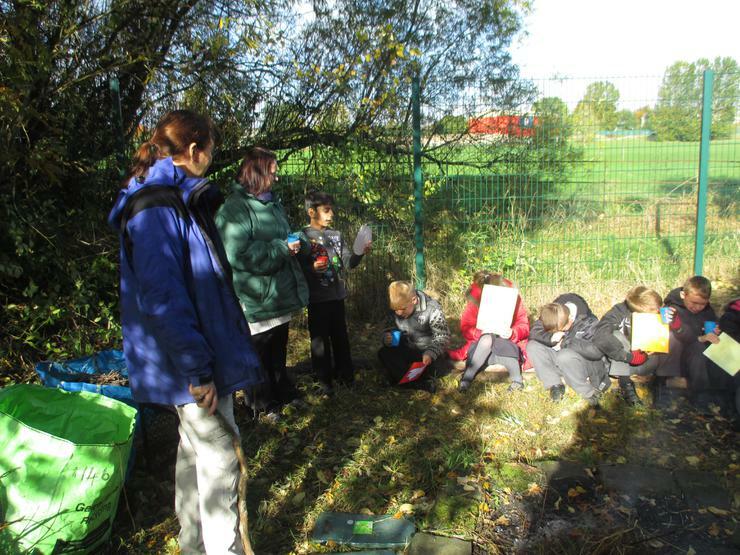 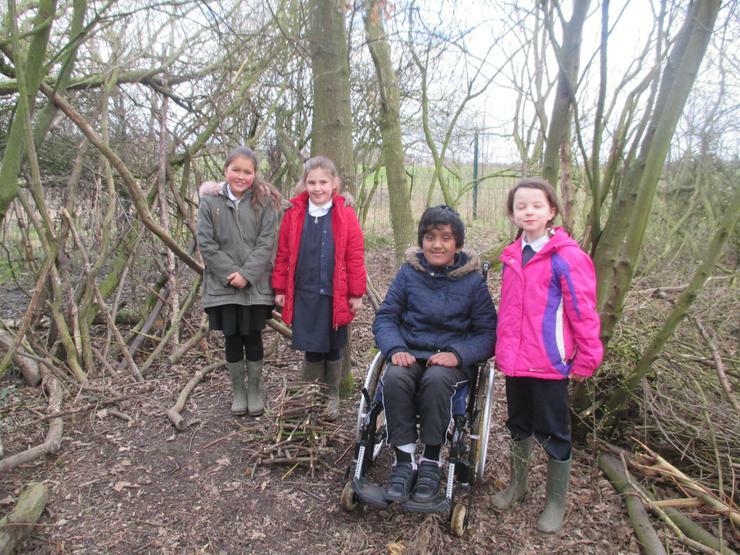 We enjoyed gathering inspiration for poems from the woods. 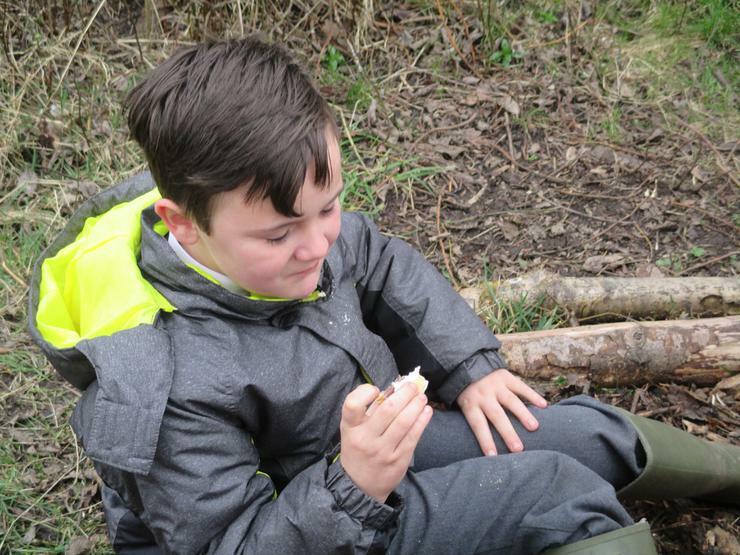 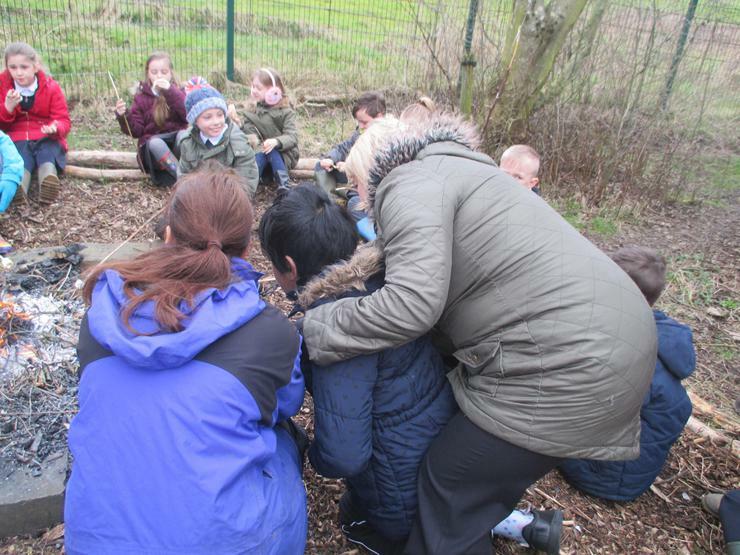 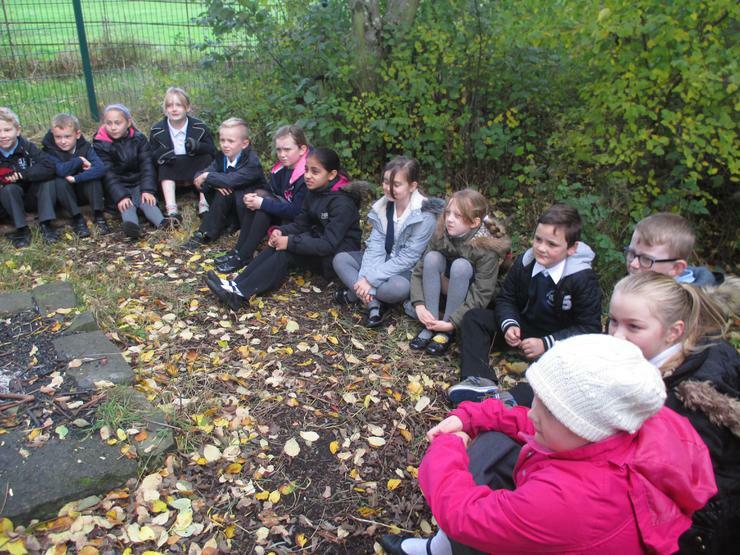 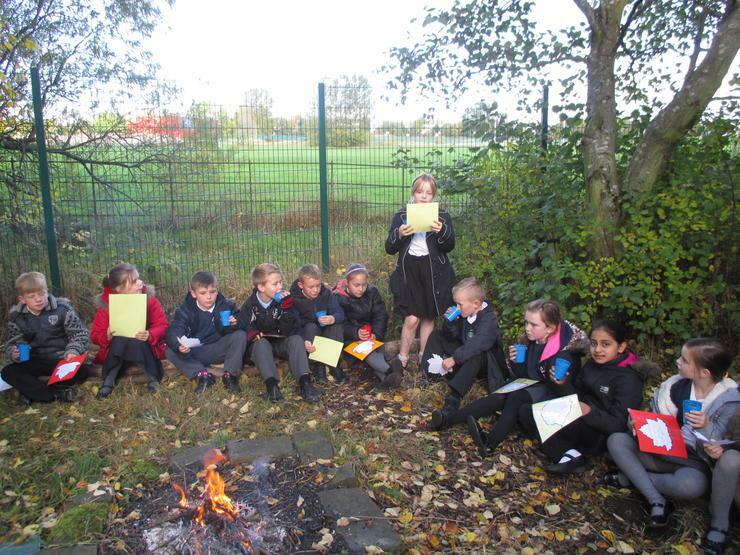 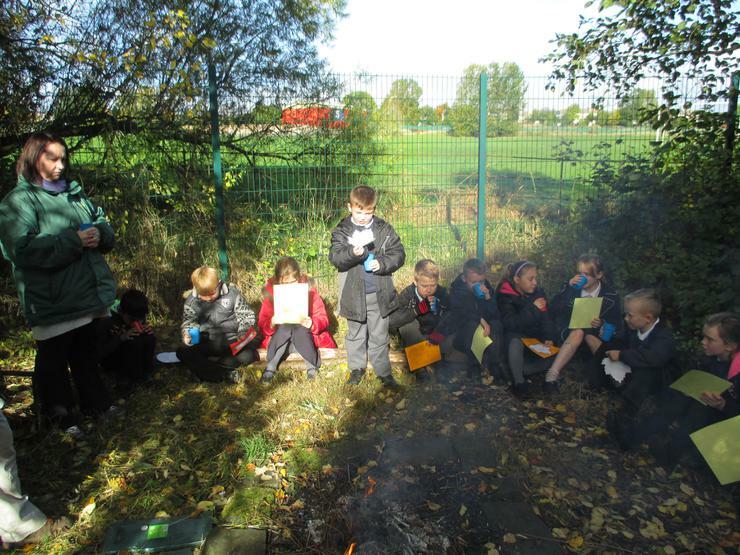 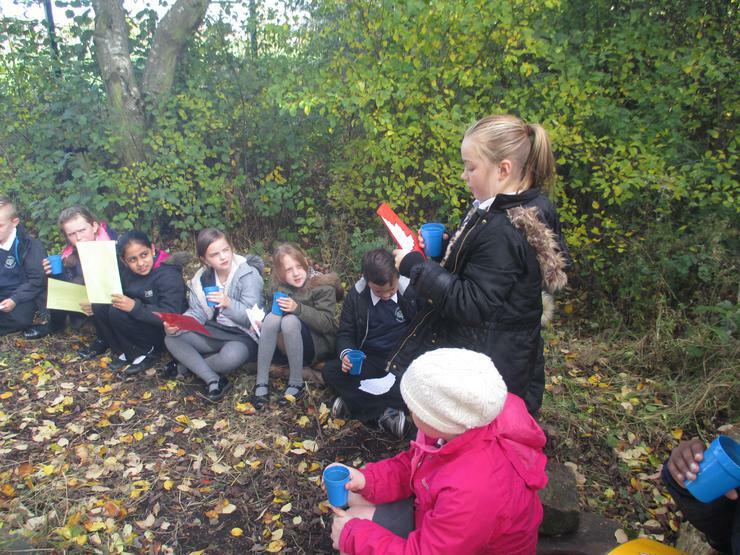 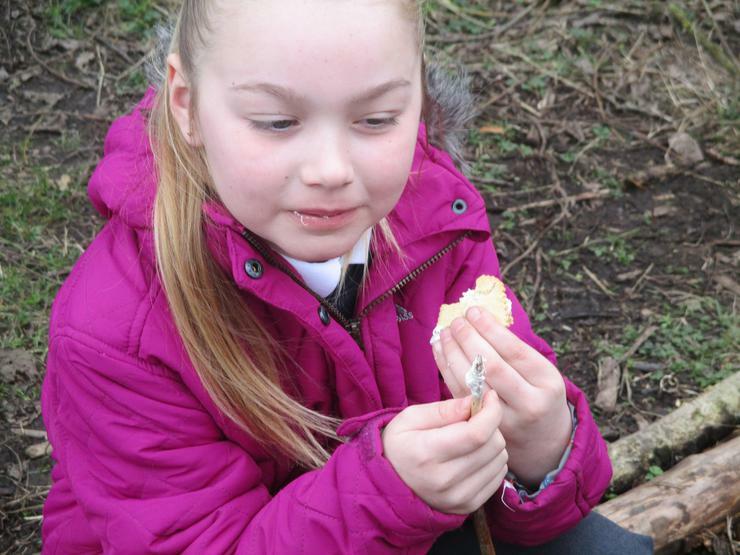 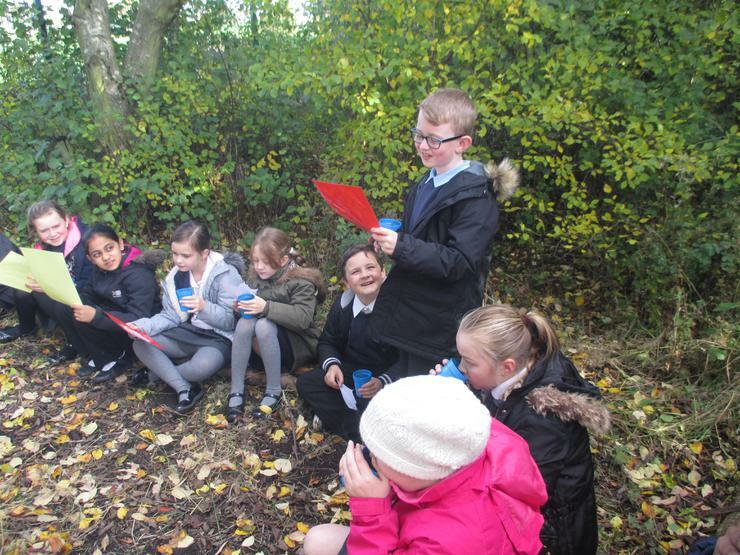 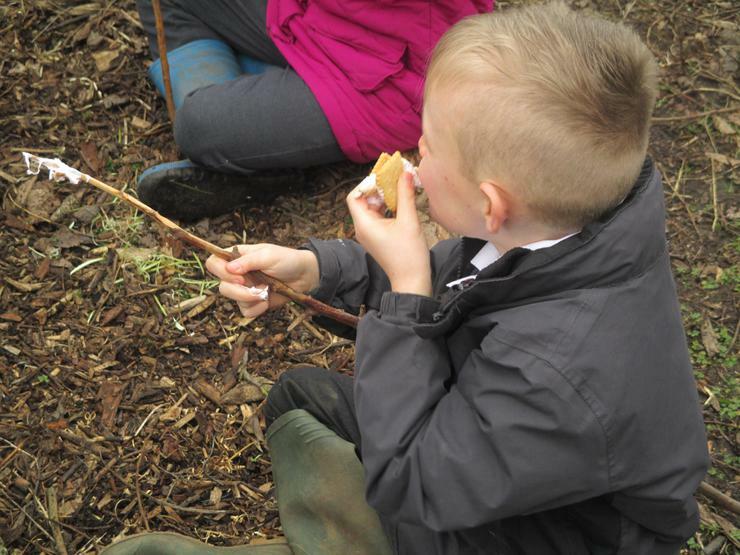 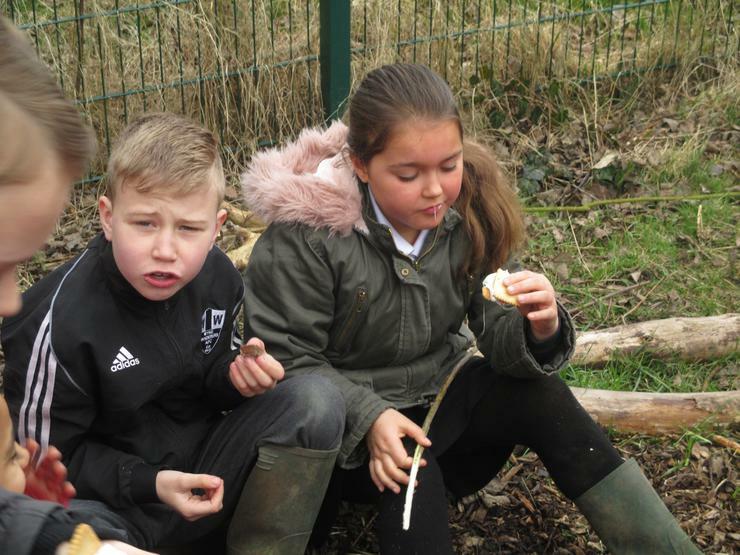 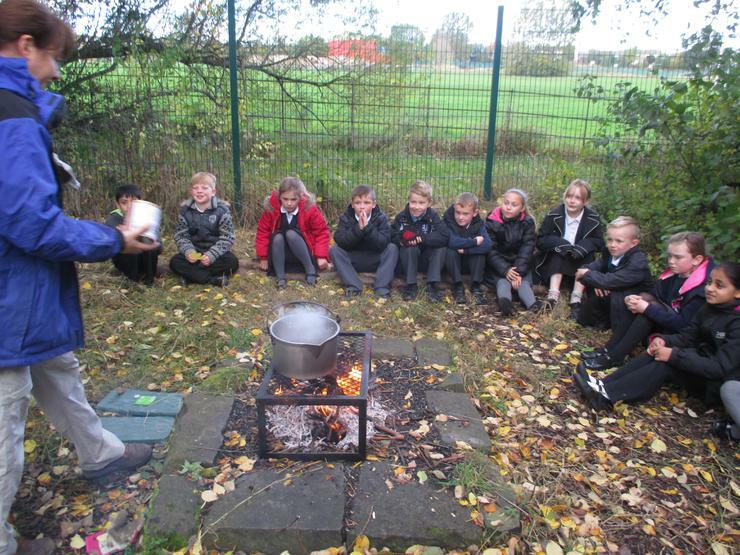 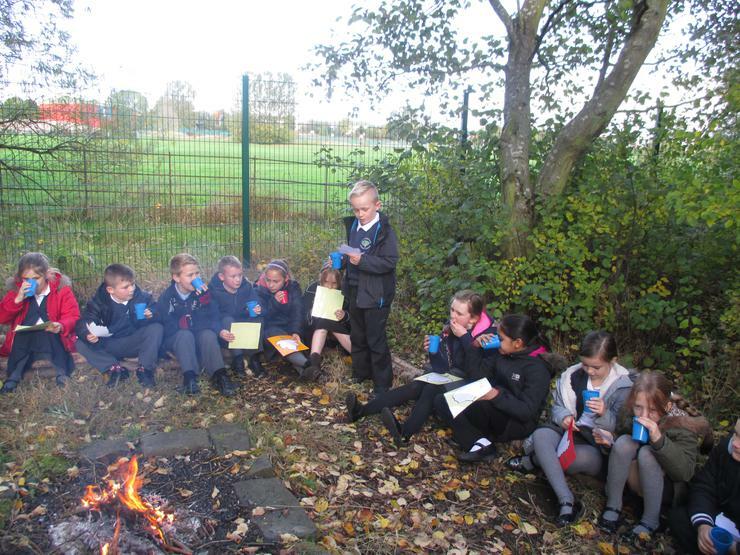 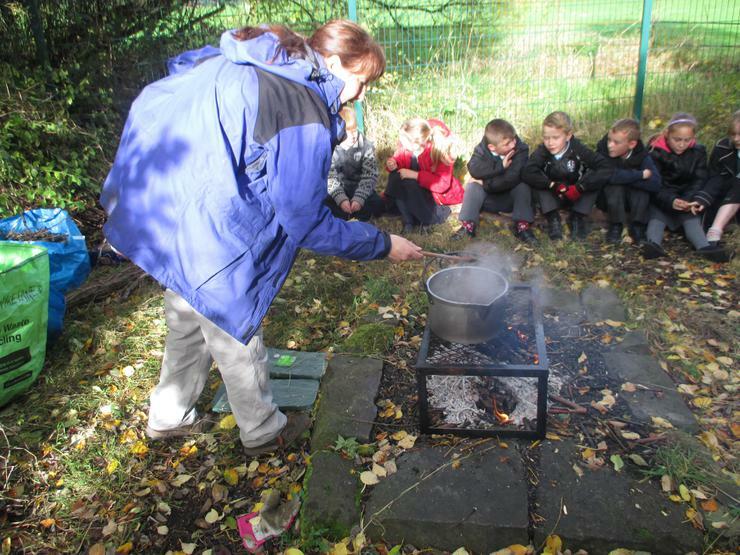 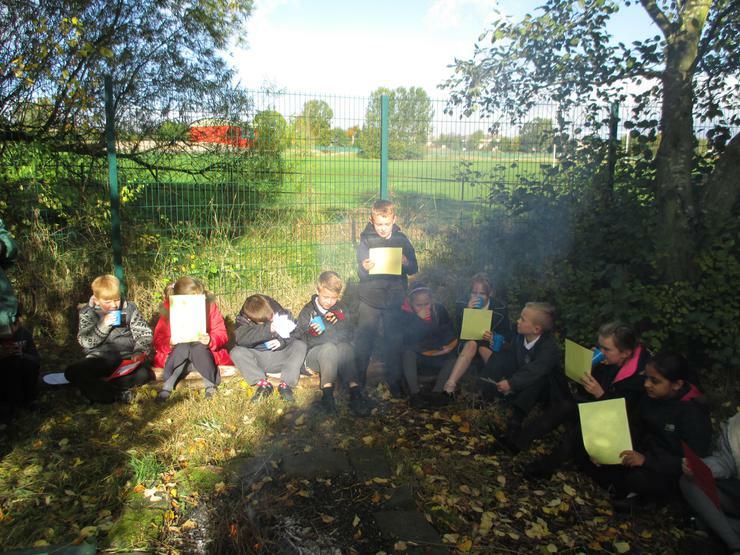 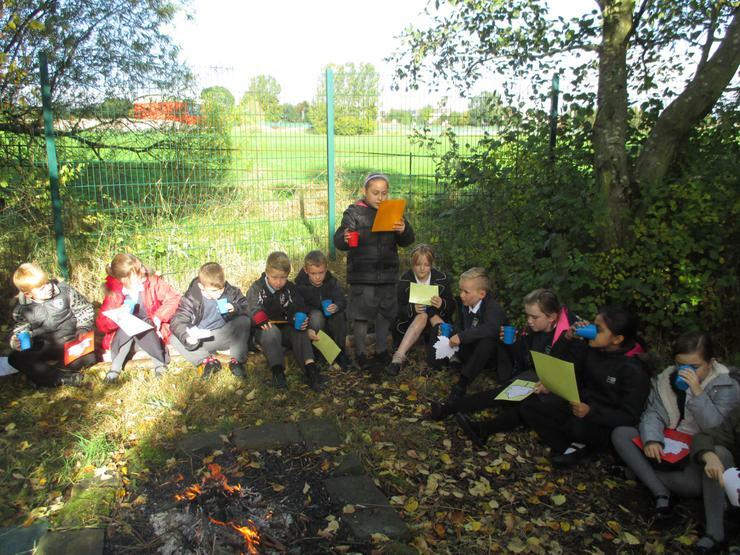 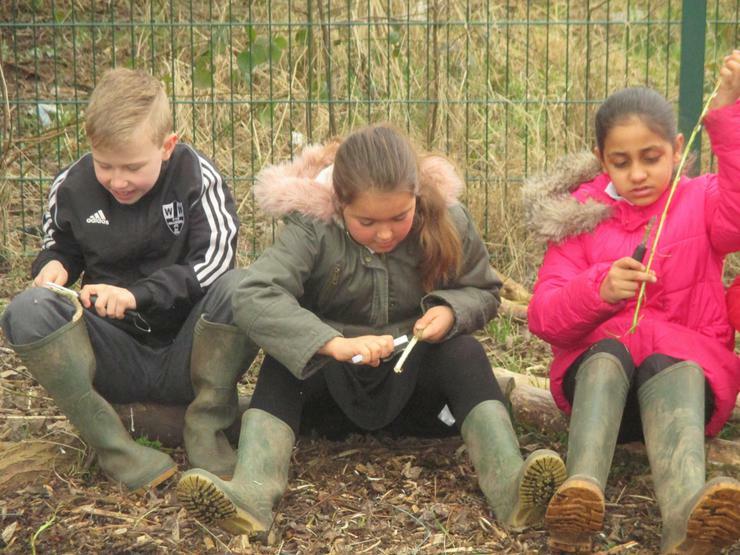 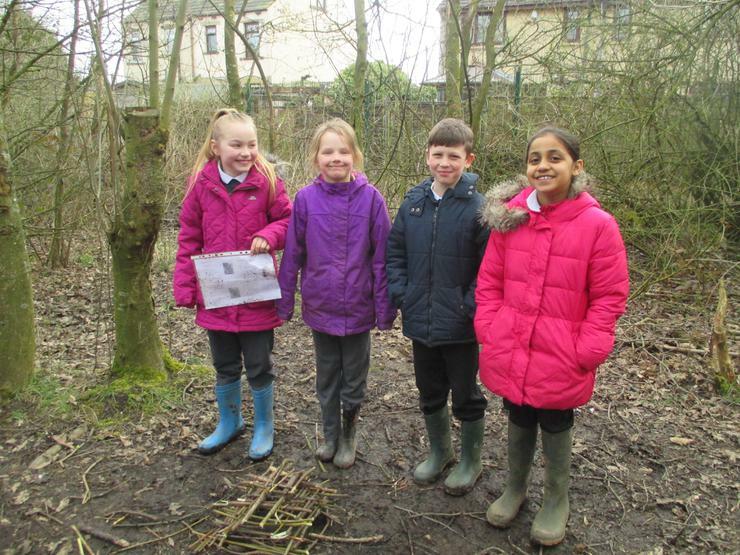 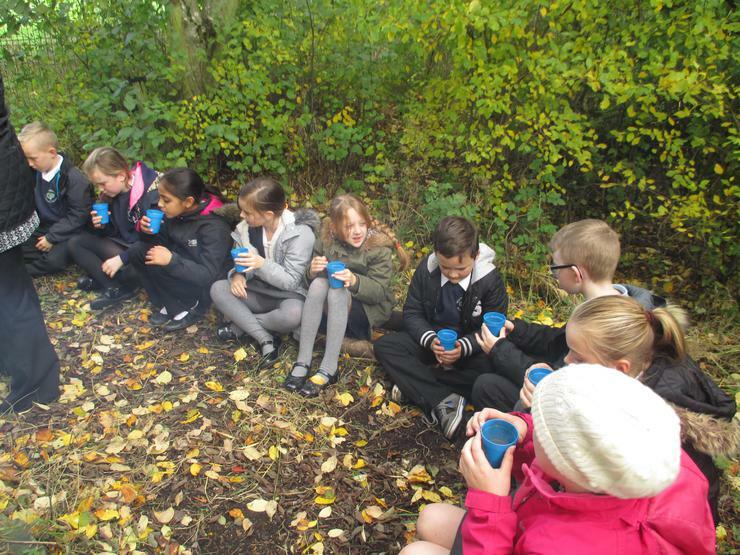 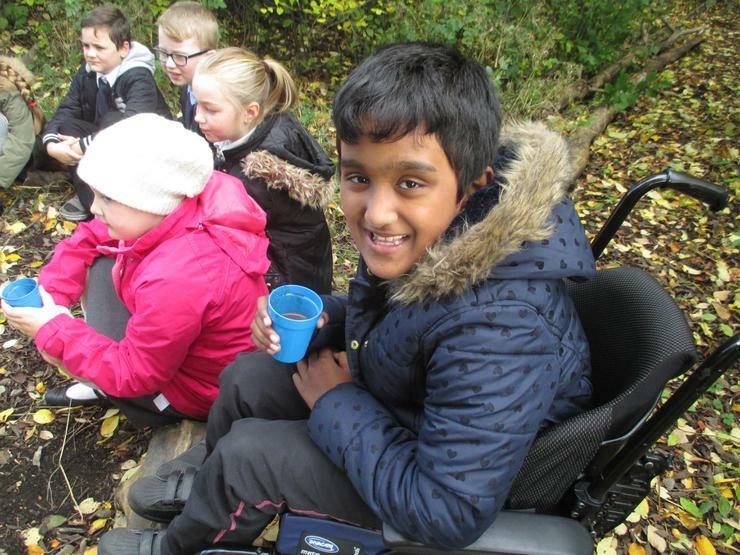 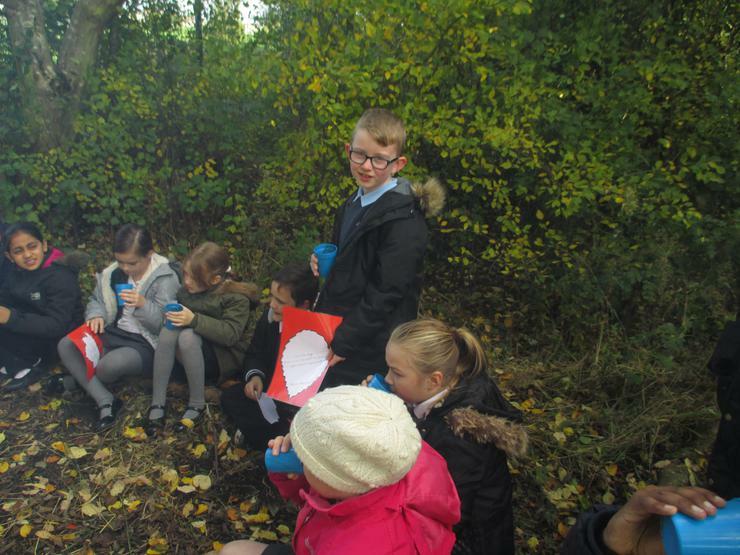 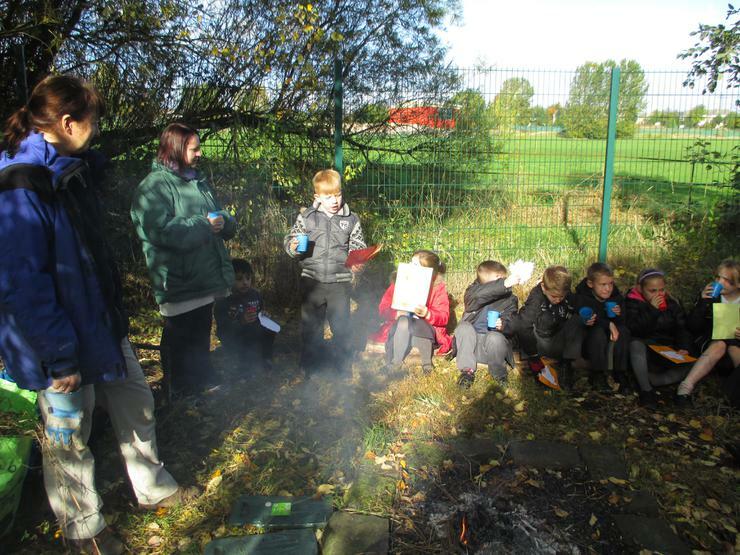 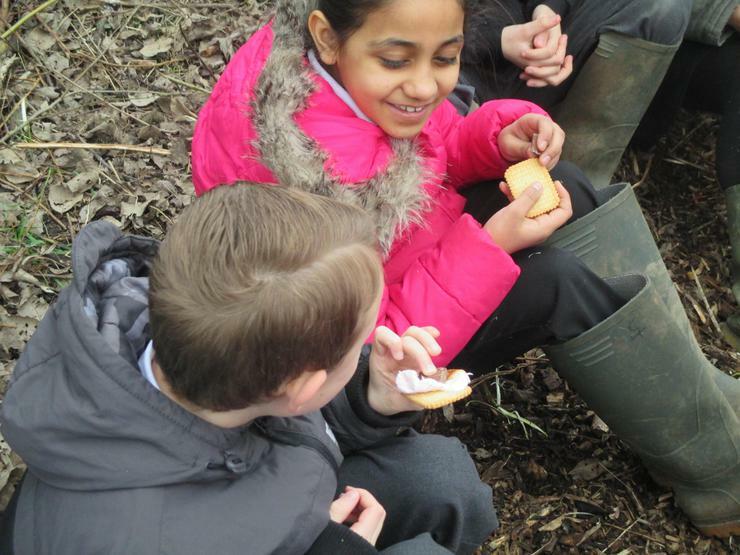 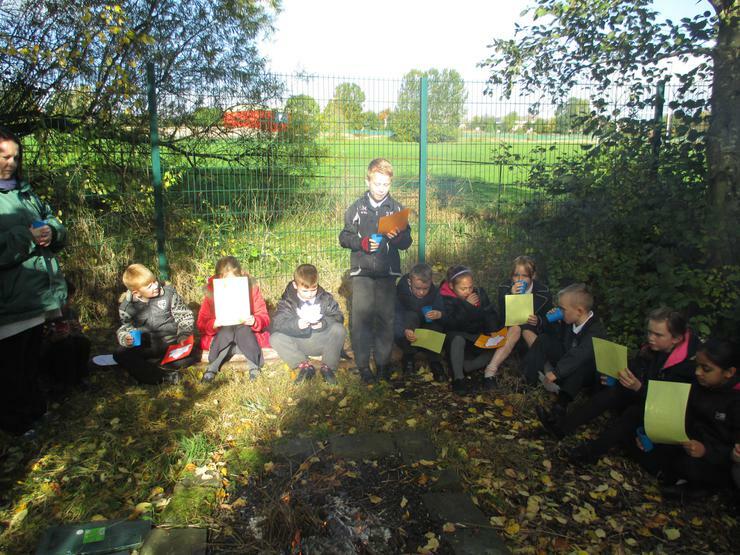 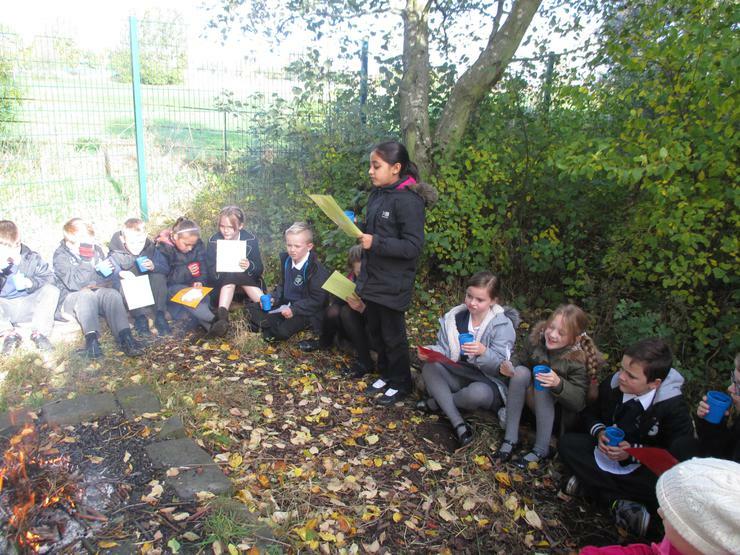 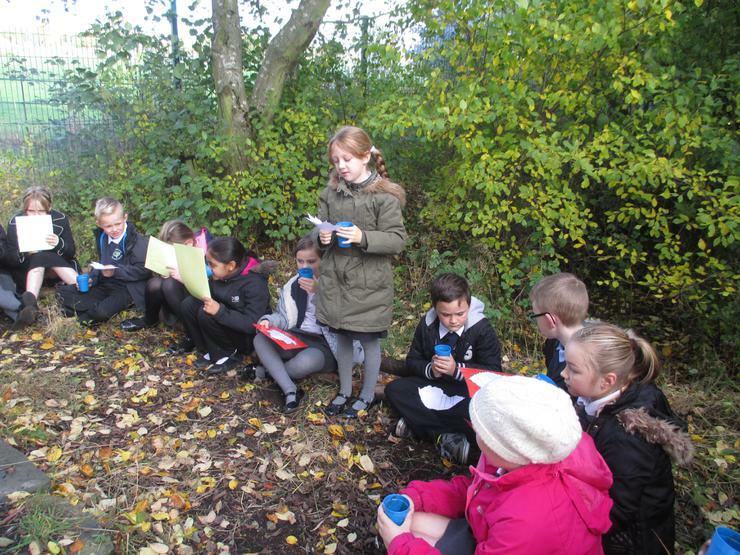 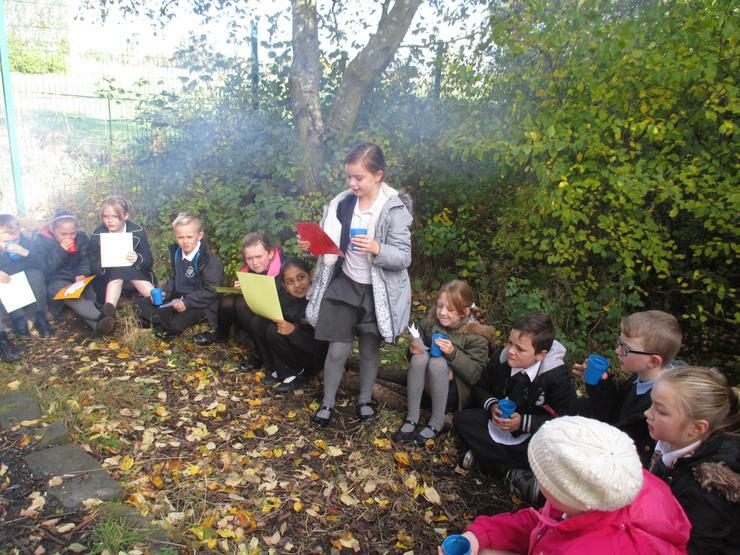 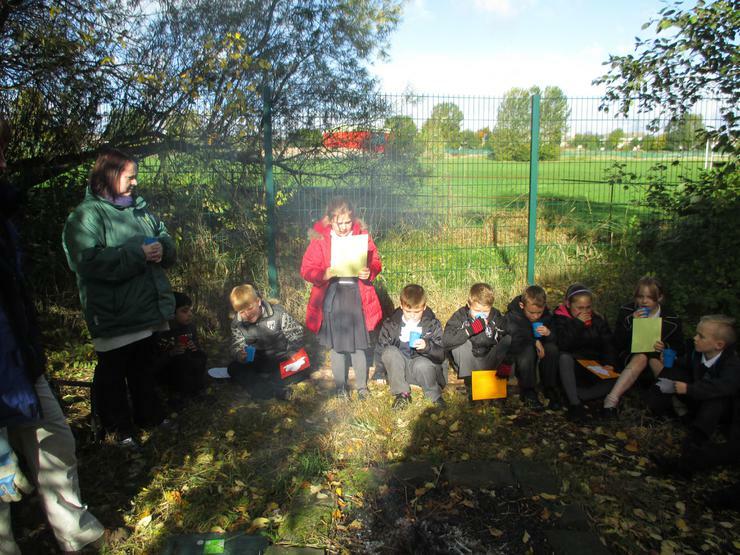 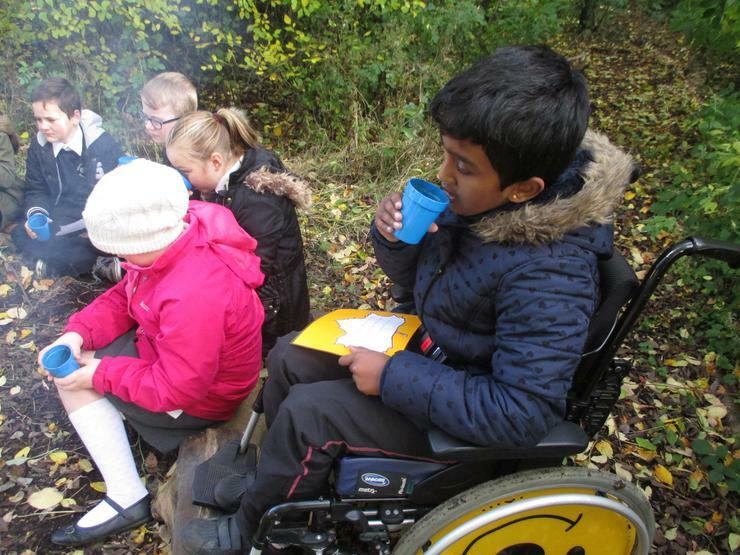 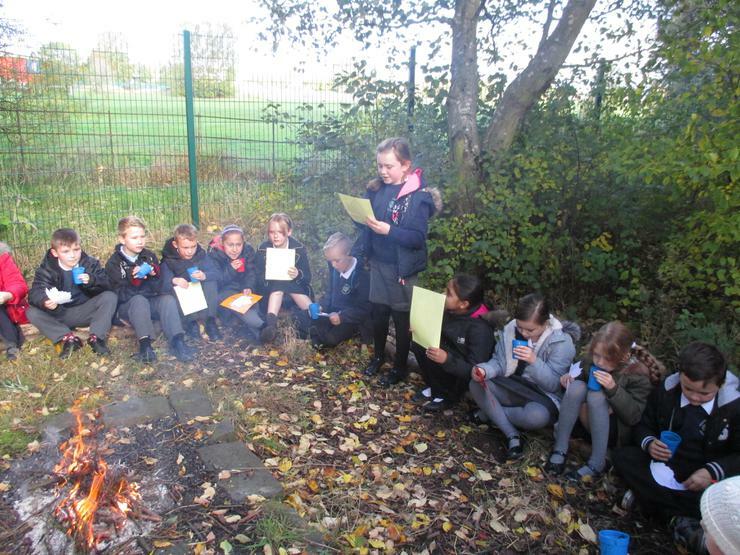 After we had spent the week writing our poems, we went back to the woods and read our poems around the fire with some delicious hot chocolate! 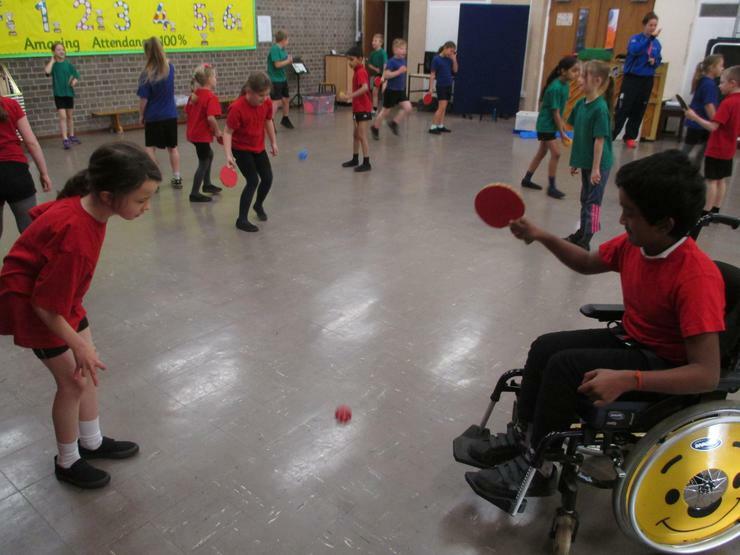 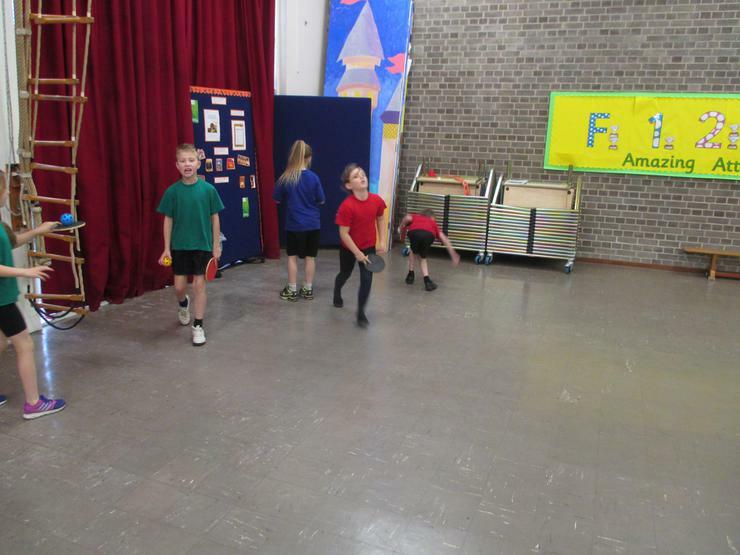 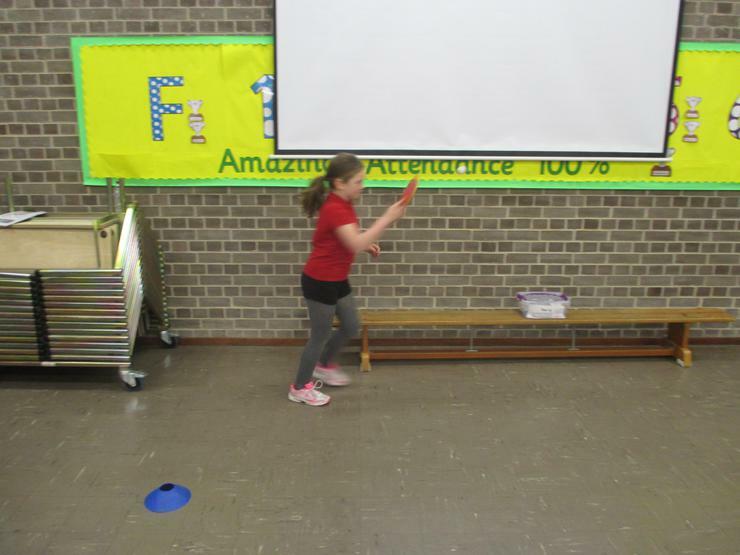 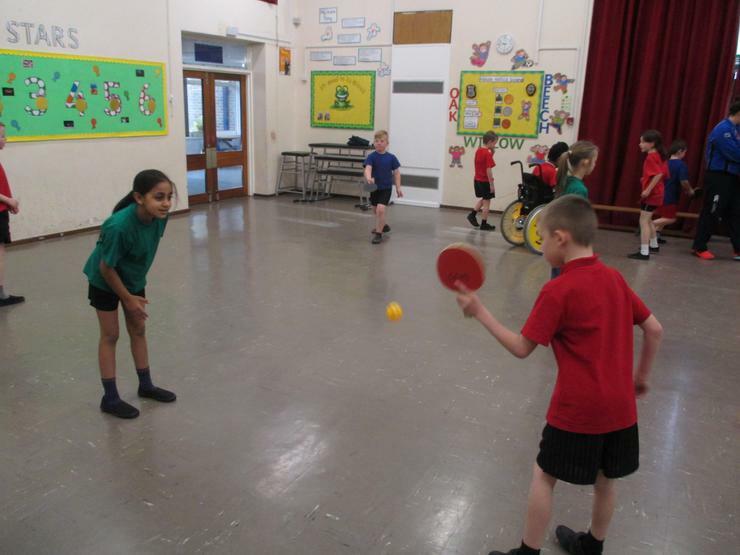 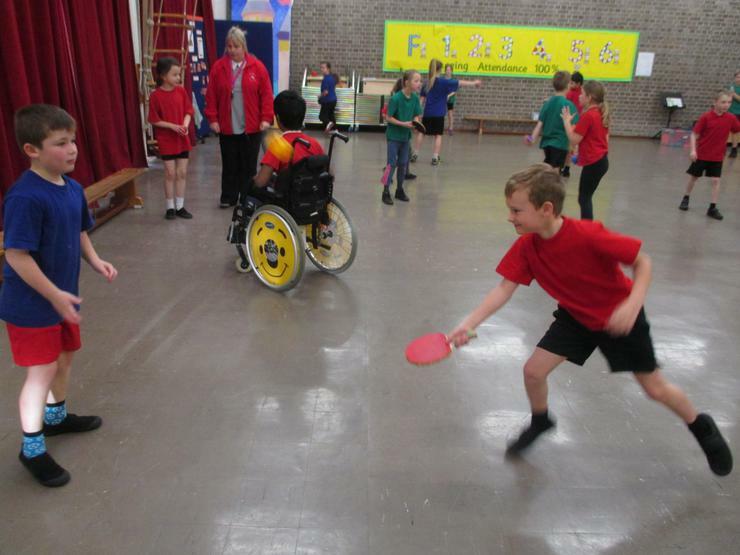 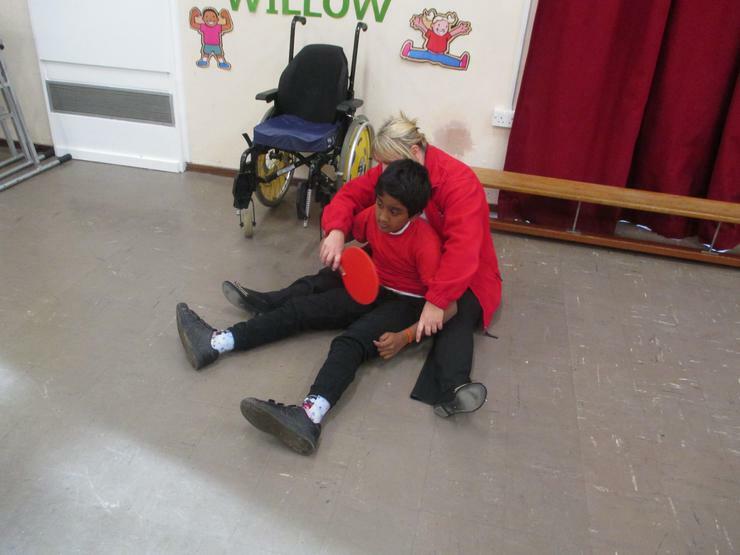 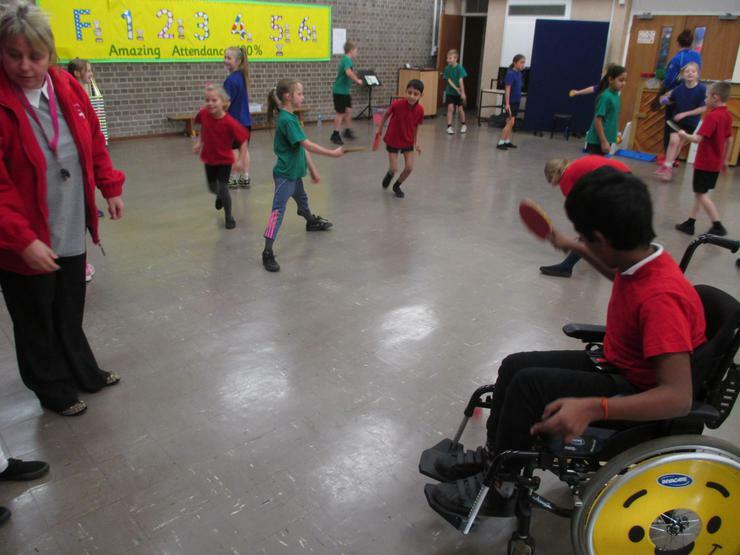 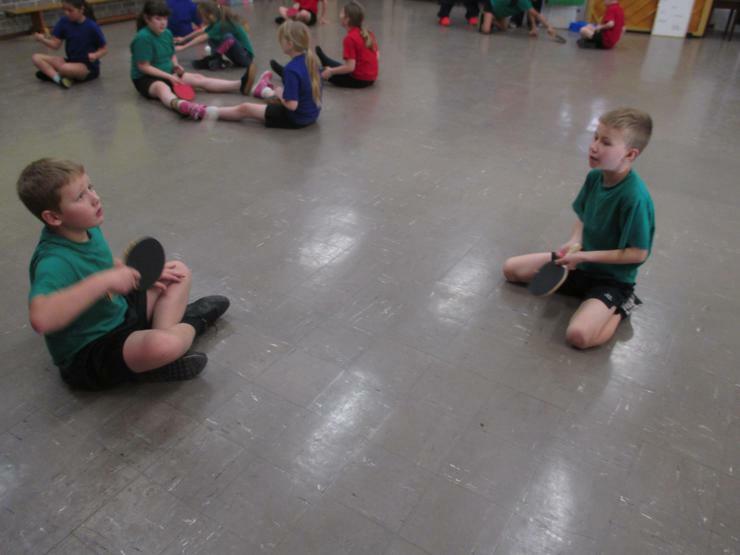 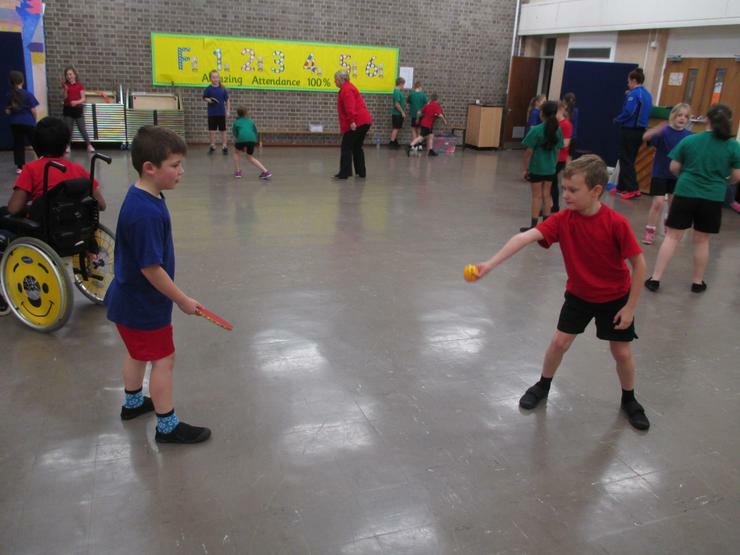 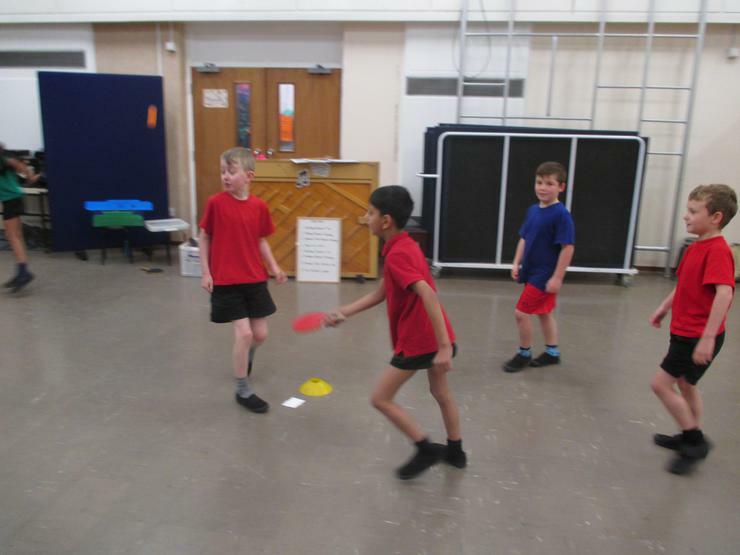 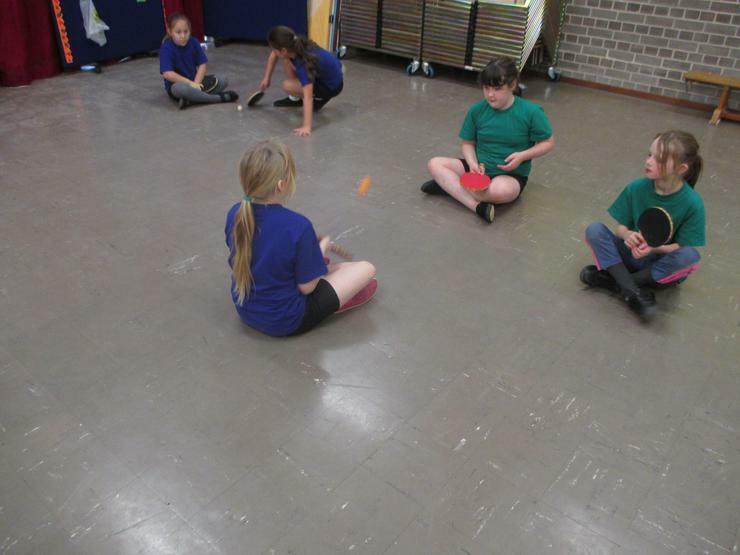 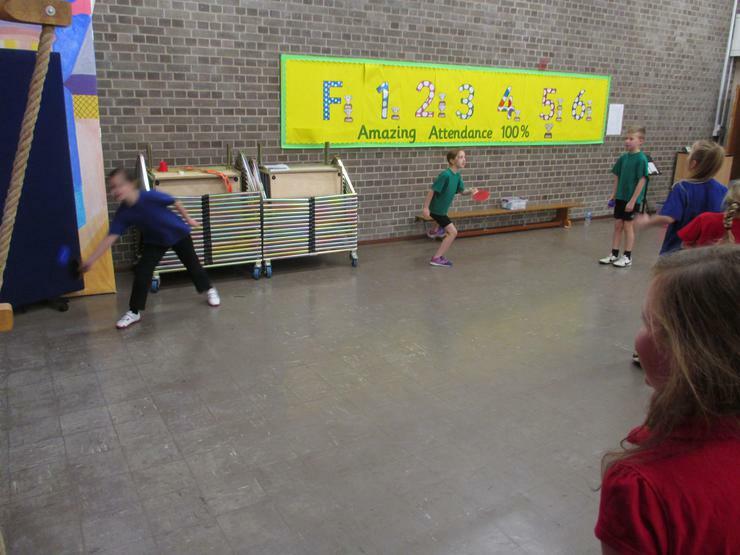 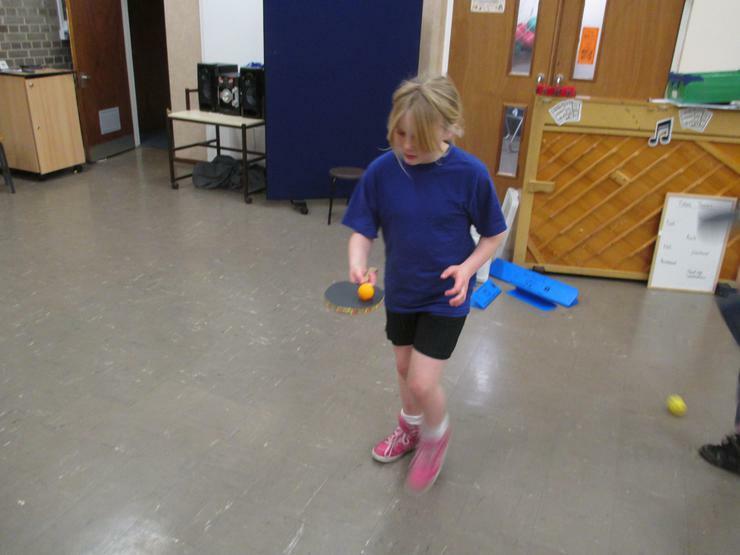 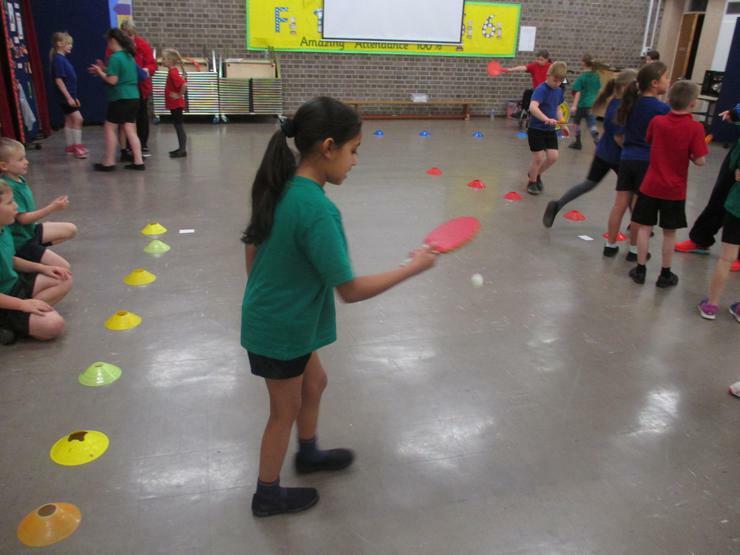 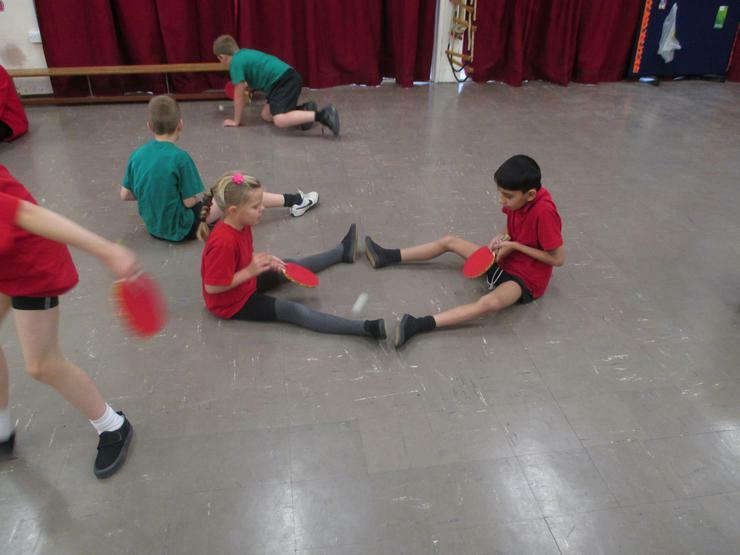 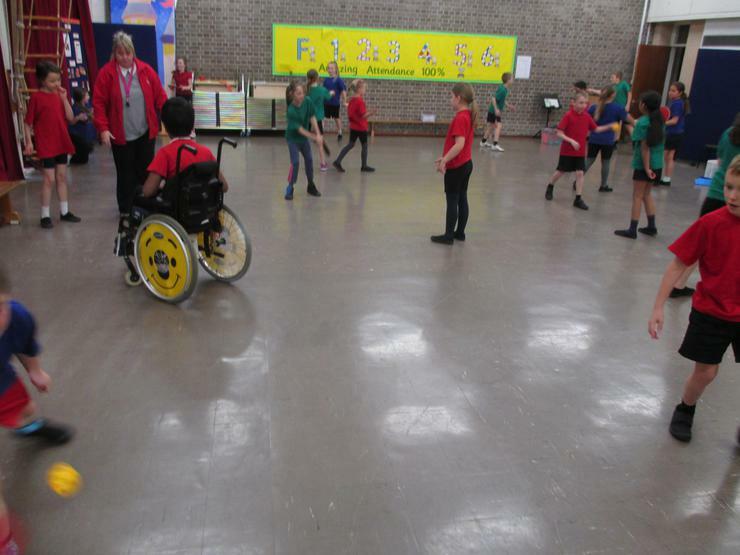 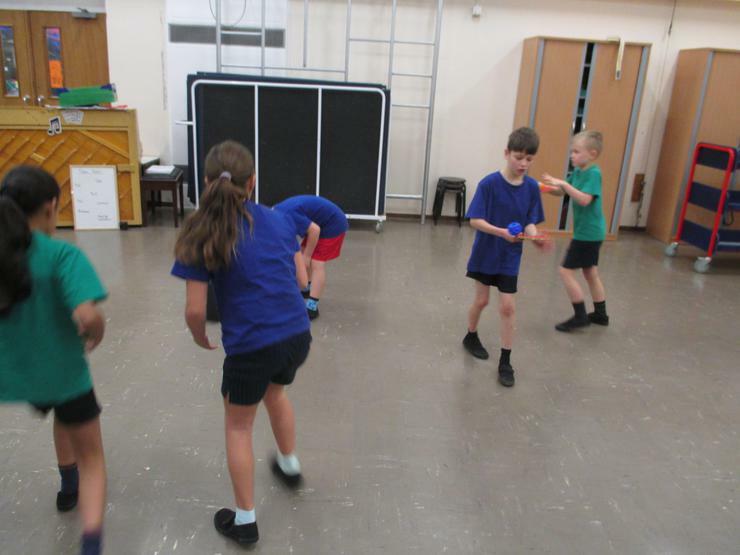 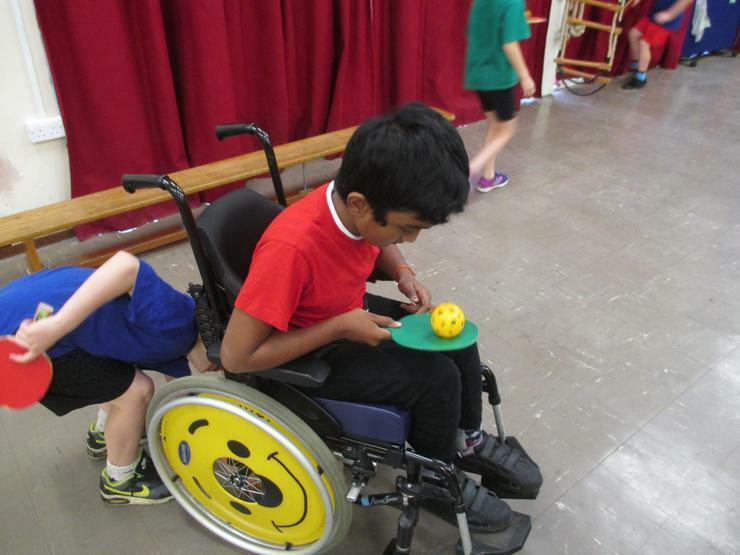 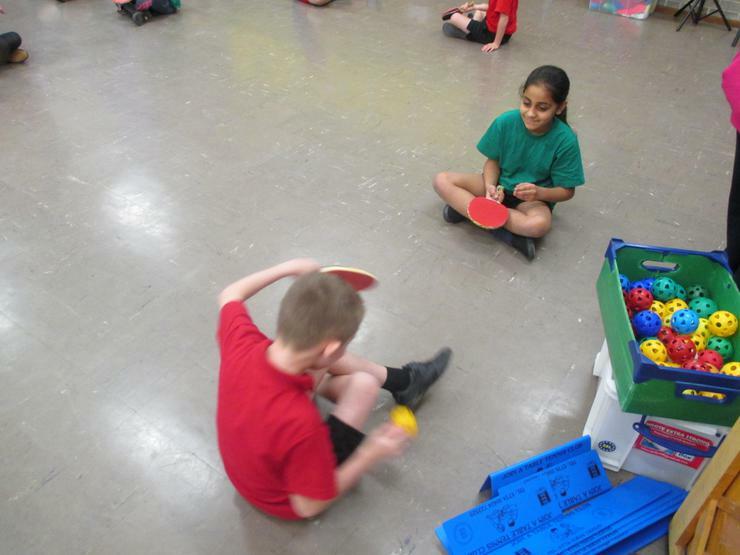 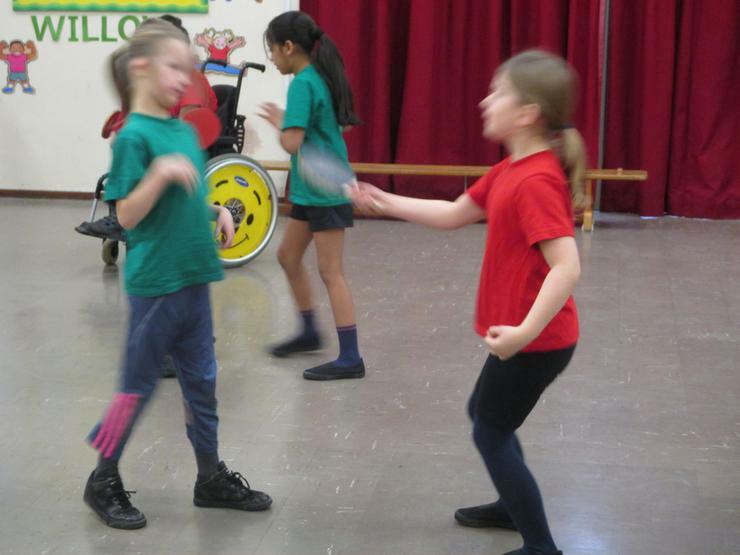 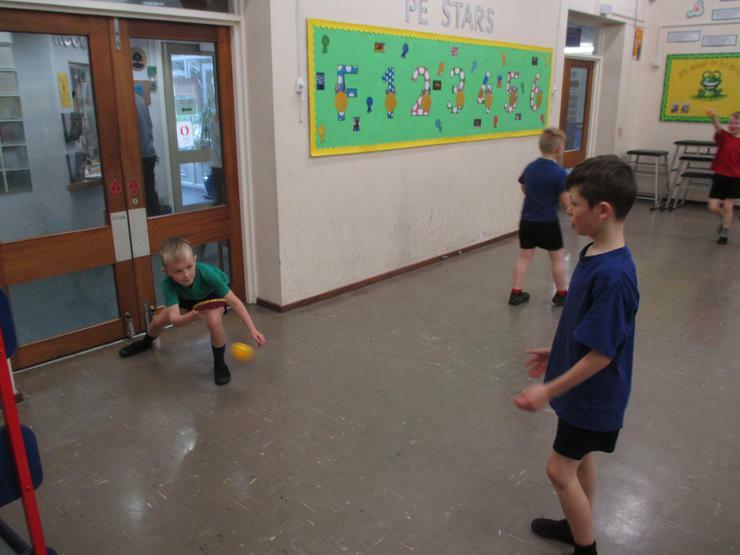 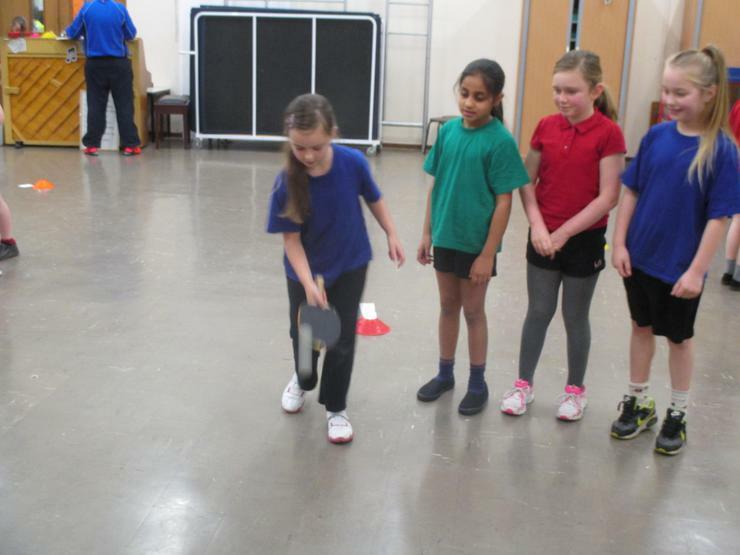 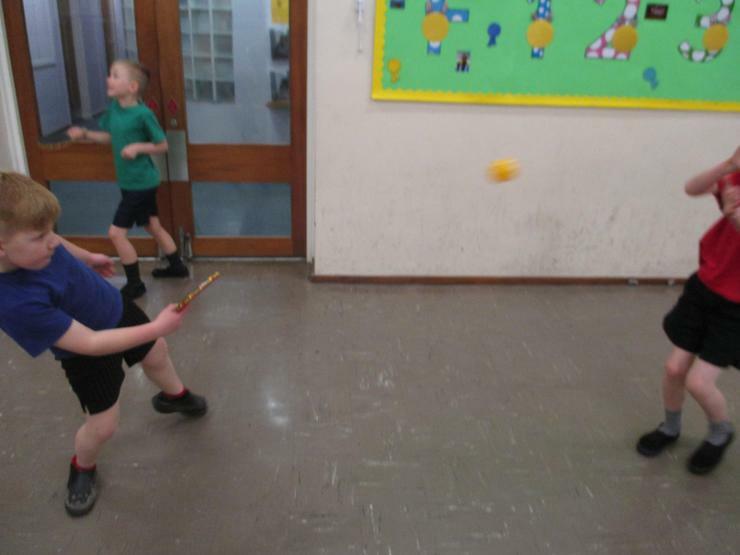 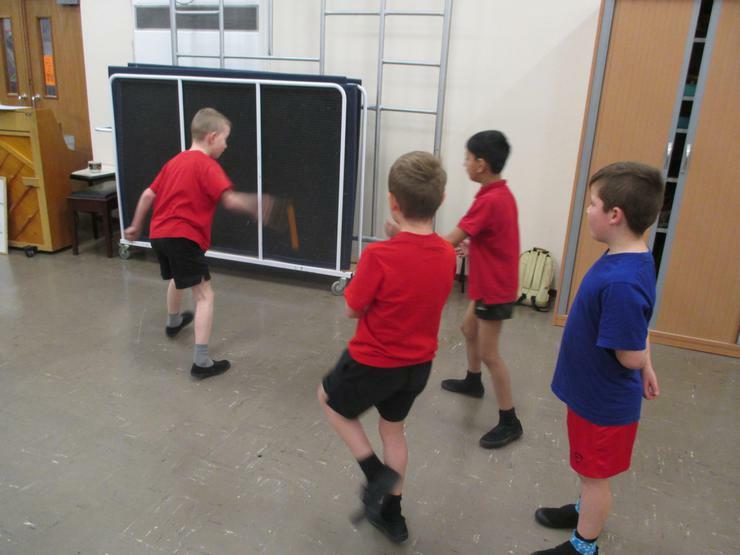 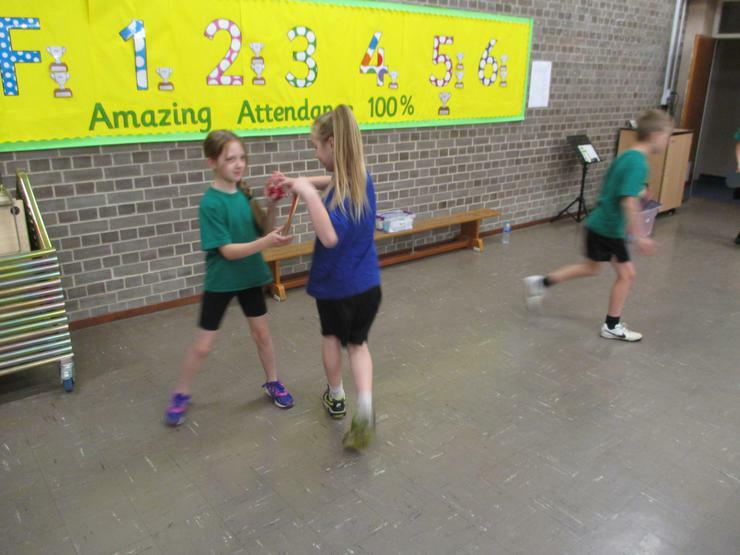 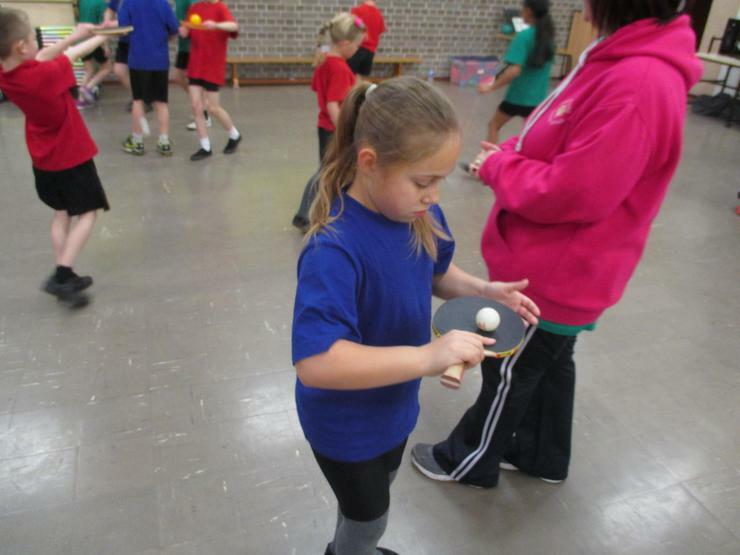 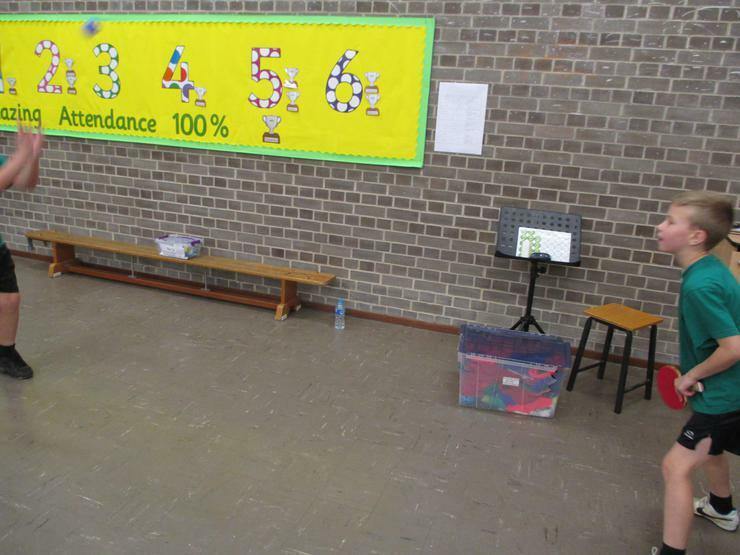 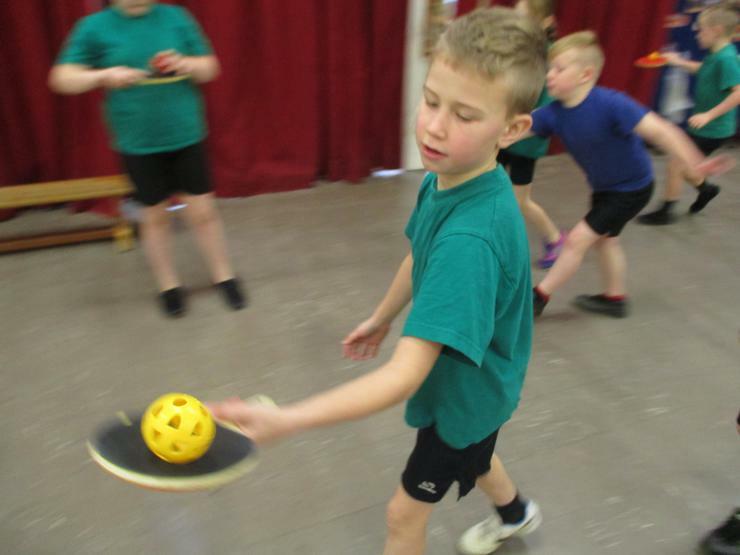 We enjoyed having a morning of table tennis training on Monday 23rd November!